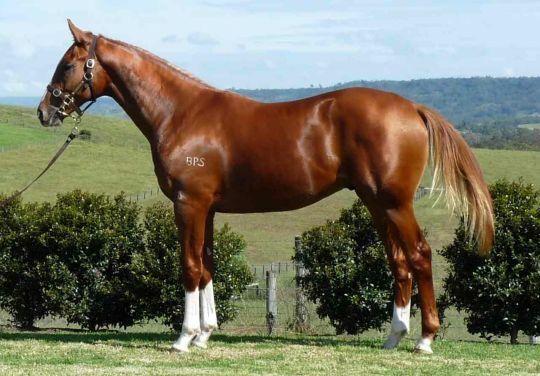 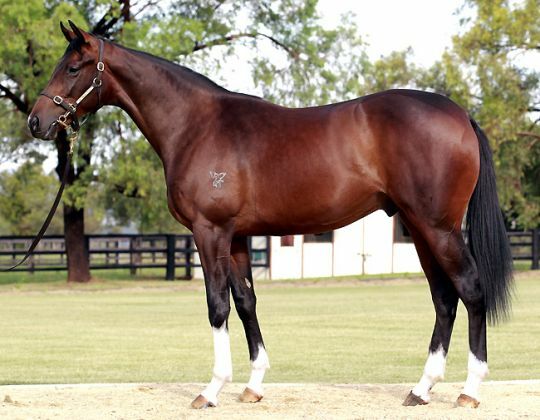 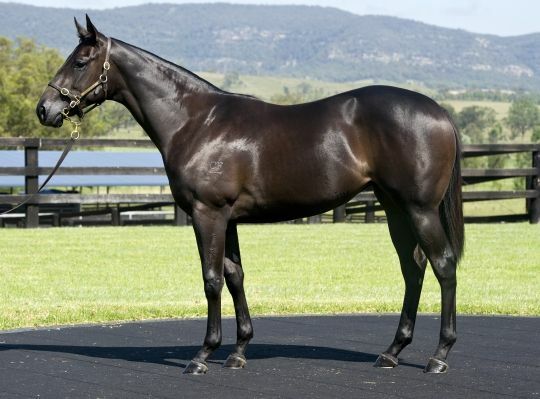 The 96th annual Inglis Australia Easter Yearling Sale catalogue, featuring 579 of Australasia’s finest bred and conformed yearlings entered for sale was conducted at Inglis’ Newmarket Complex in Sydney on 10, 11 & 12 April 2012. 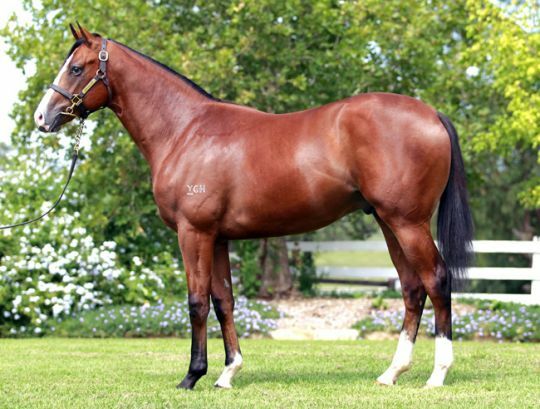 Representing the cream of the thoroughbred yearling crop from Australia and New Zealand’s leading breeders a total of $79,361,000 was traded on the 419 yearlings sold across Session One and Session Two. 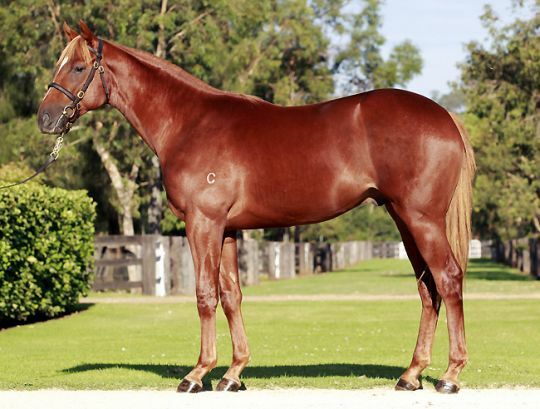 83% of lots offered in Session One (Lots 1-451) were sold, at an average of $220,181 and median of $160,000. 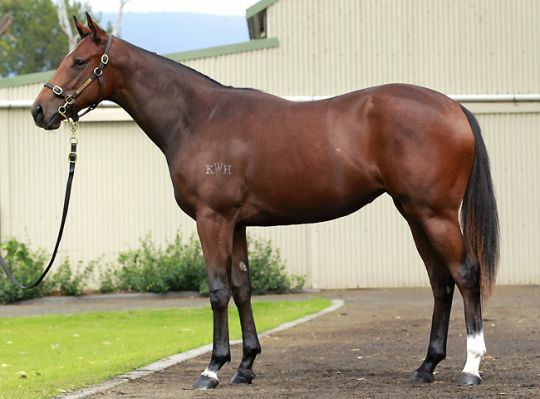 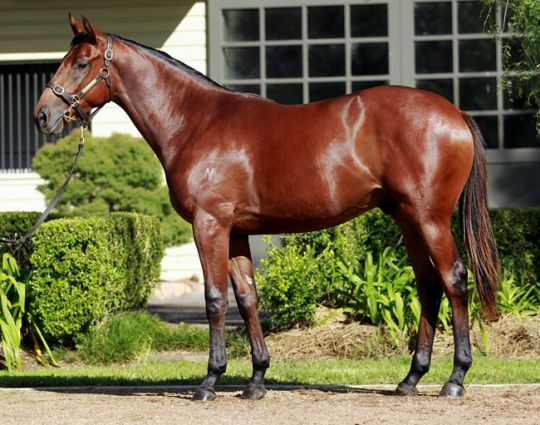 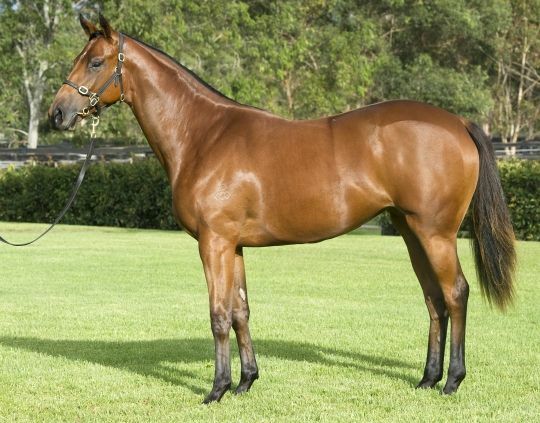 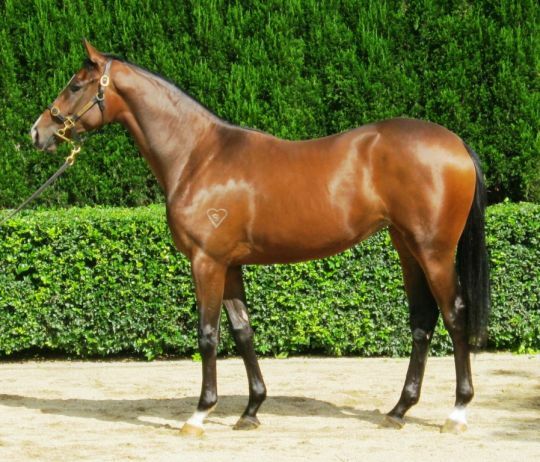 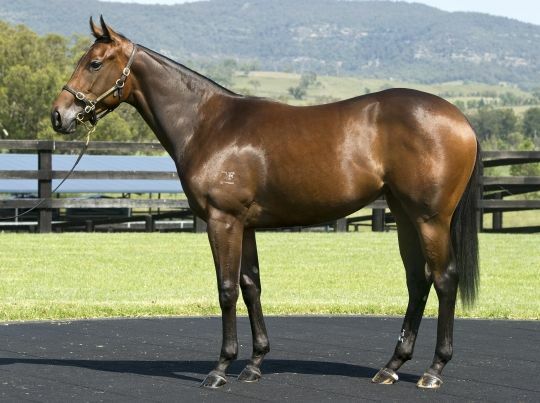 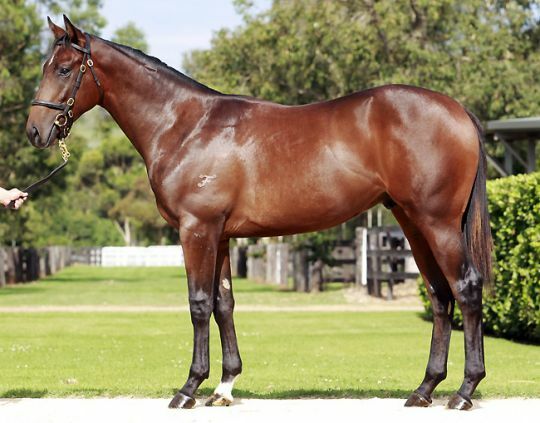 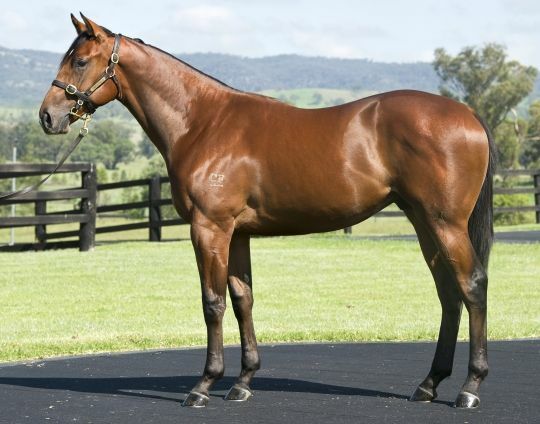 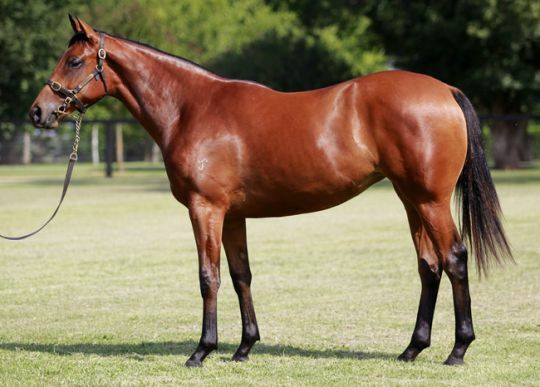 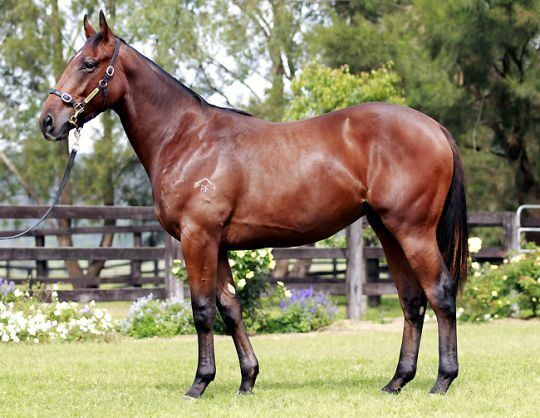 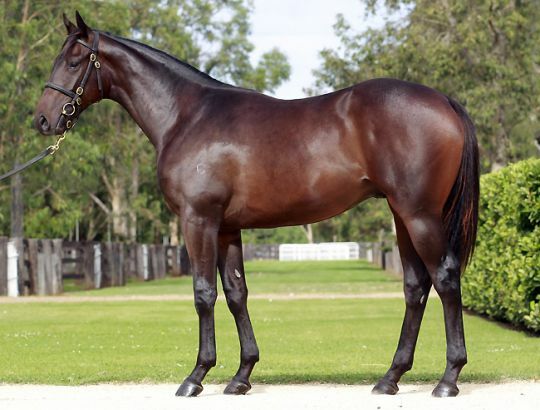 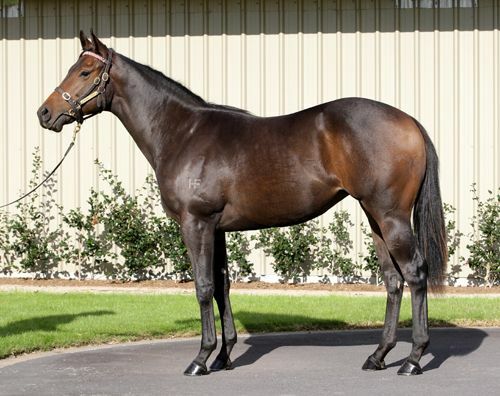 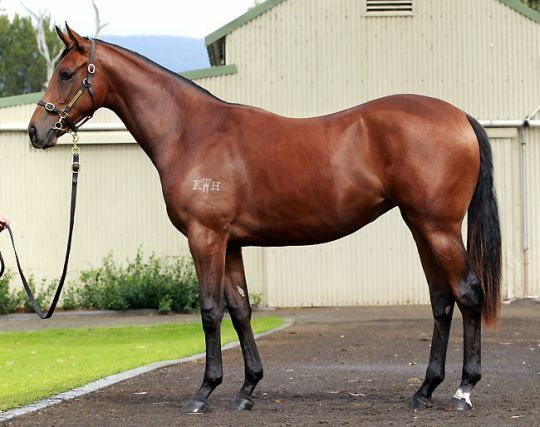 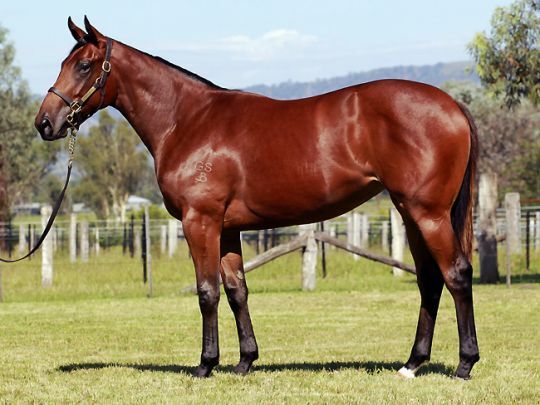 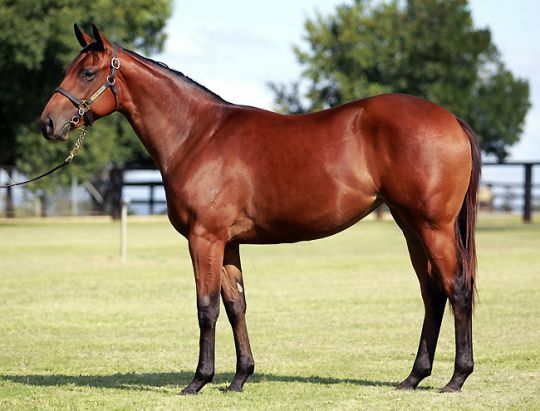 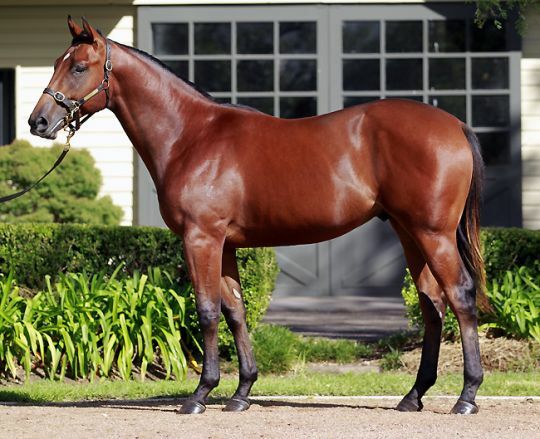 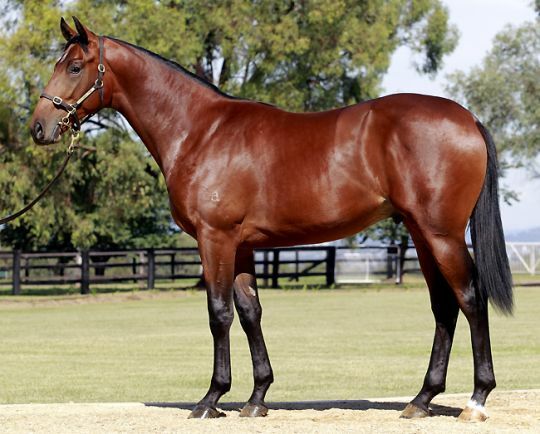 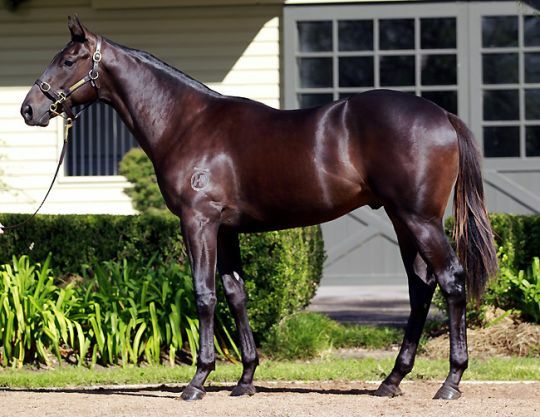 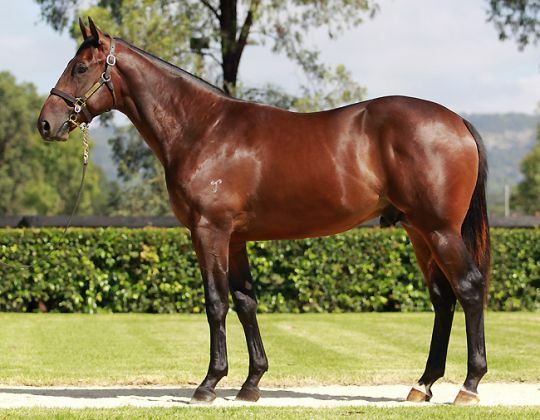 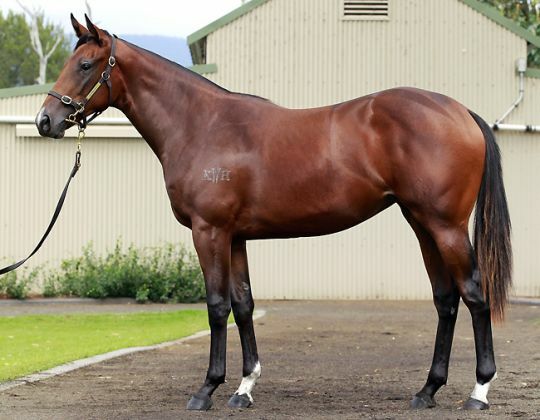 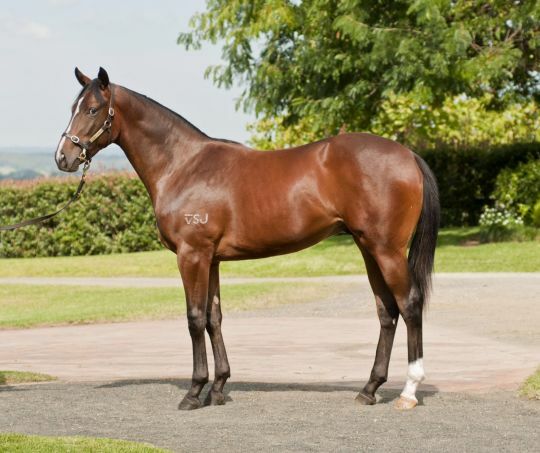 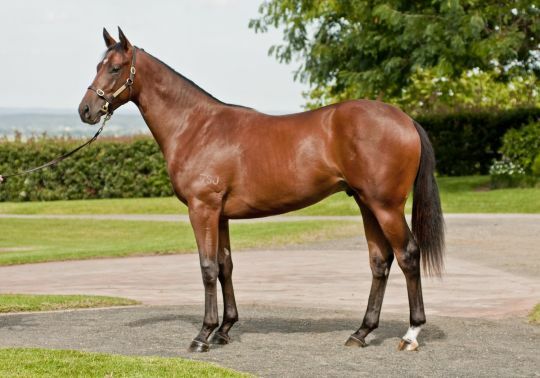 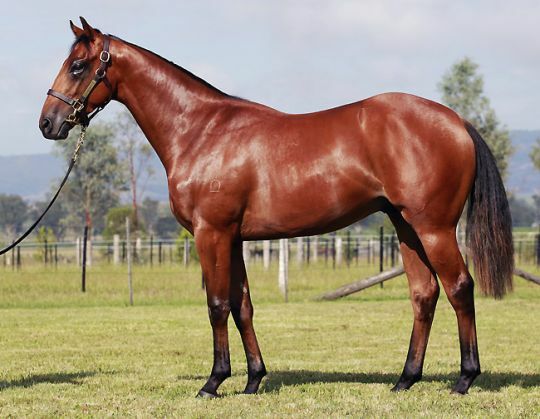 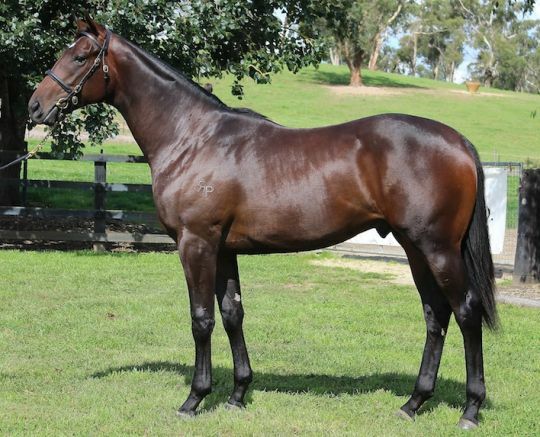 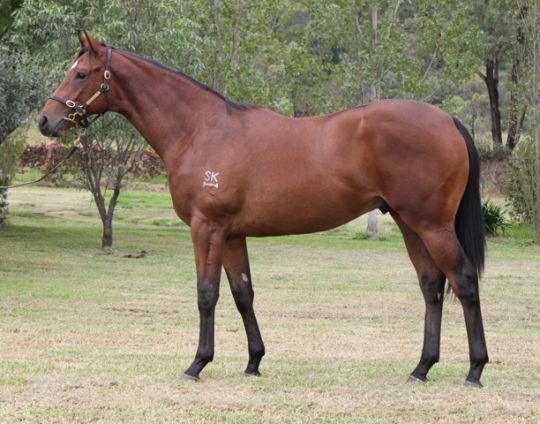 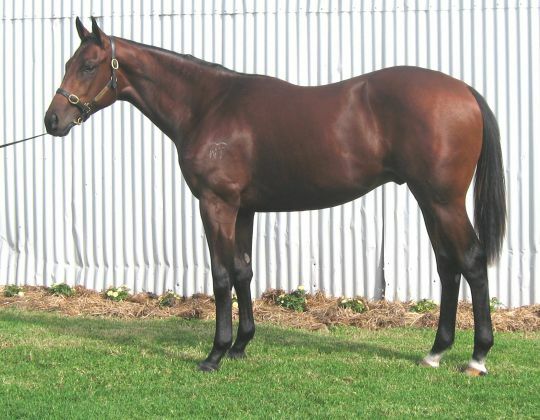 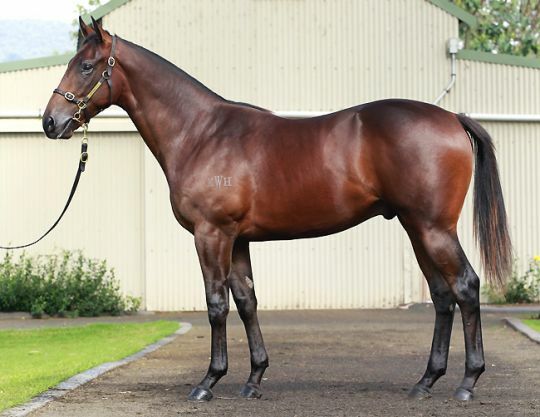 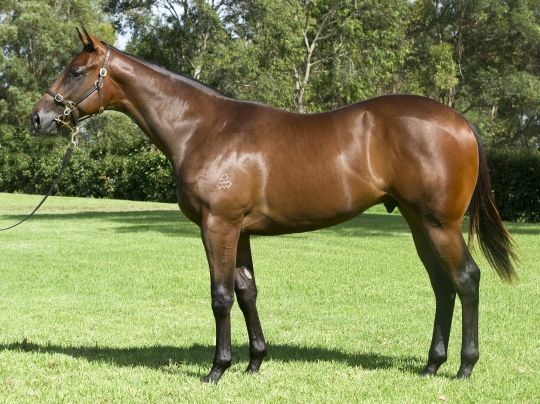 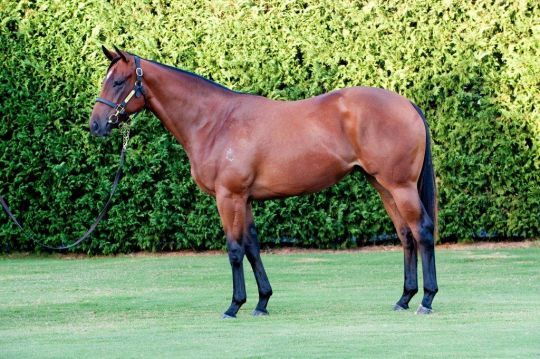 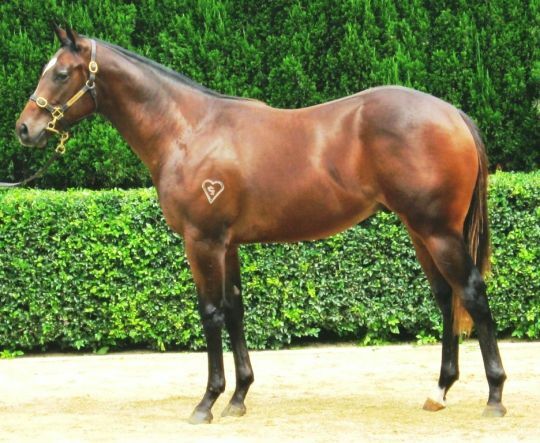 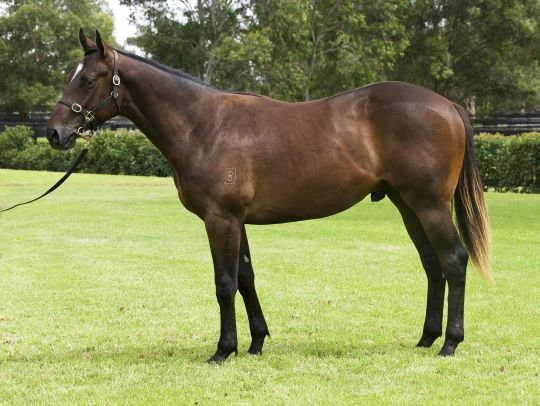 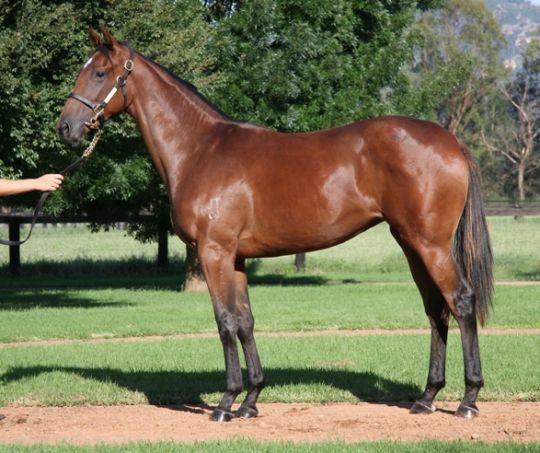 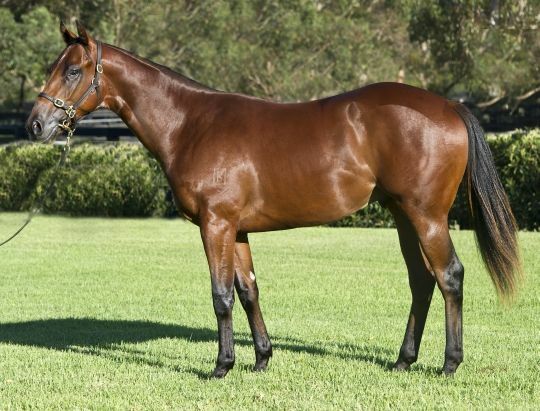 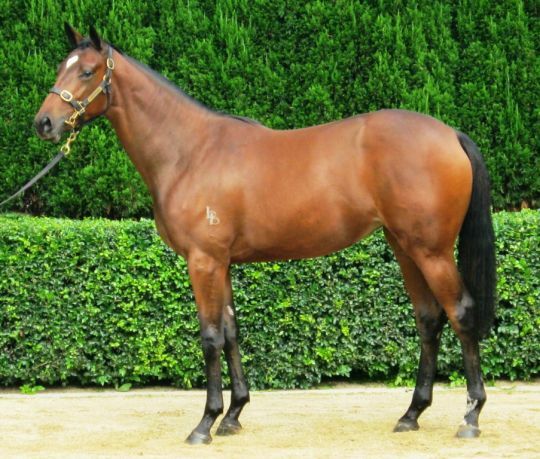 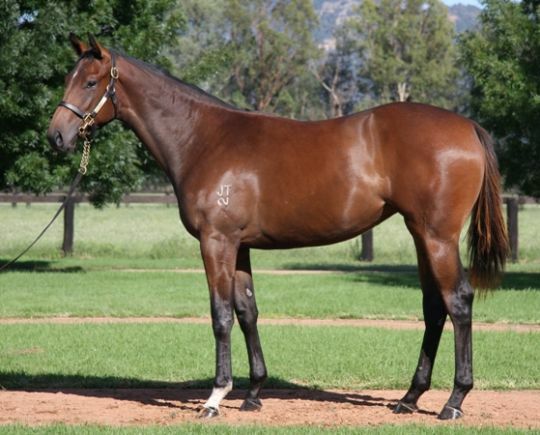 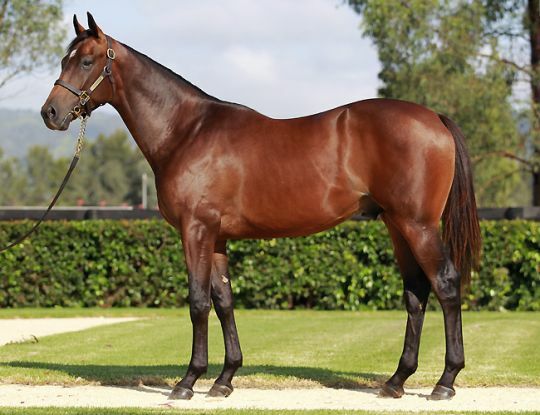 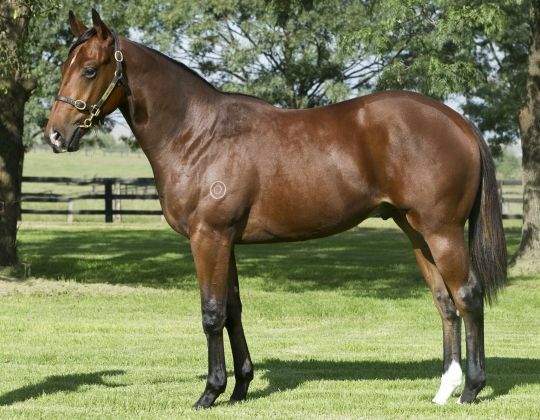 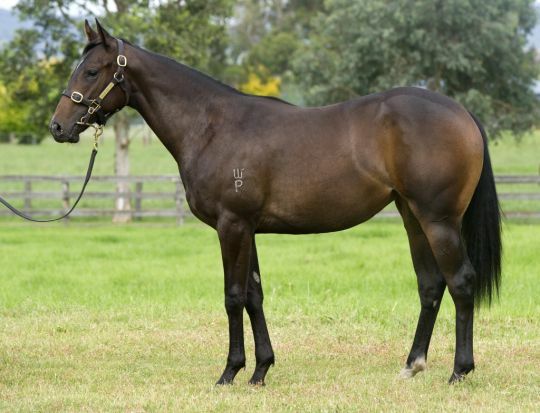 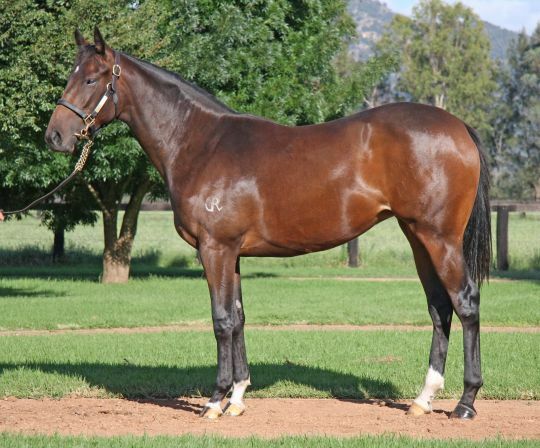 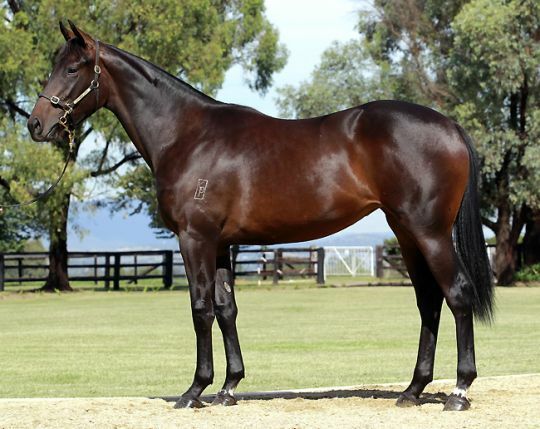 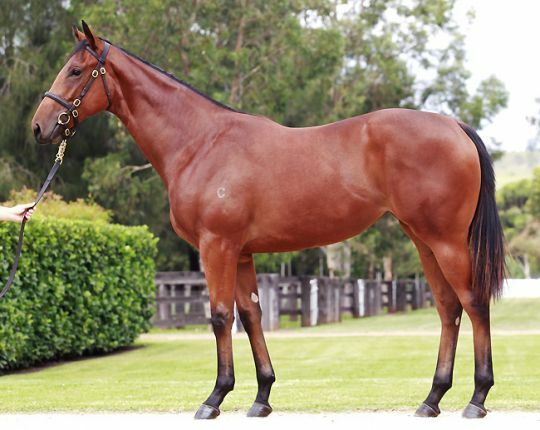 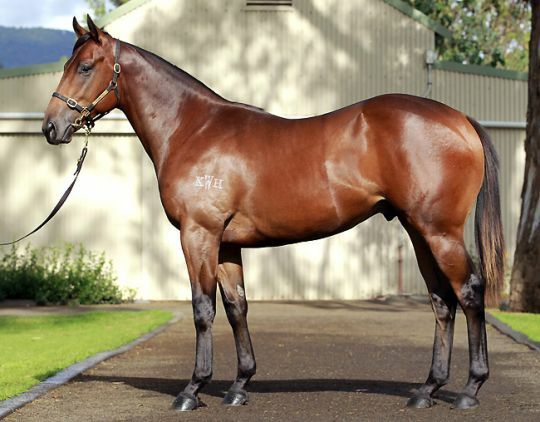 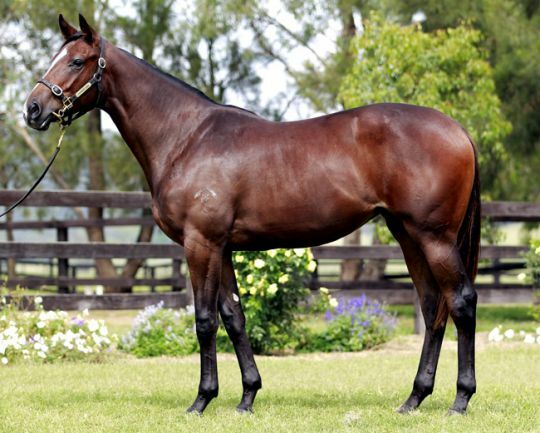 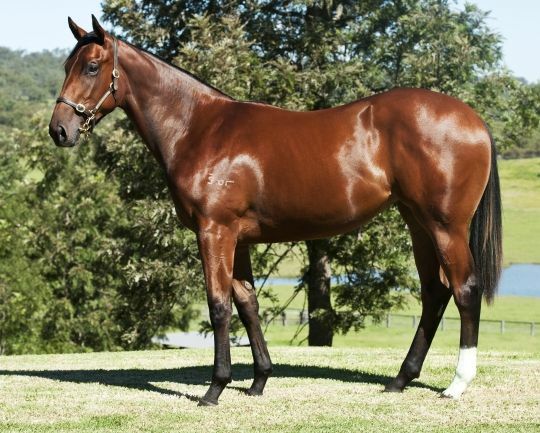 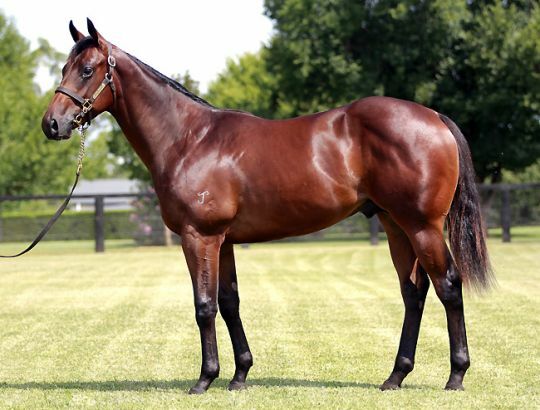 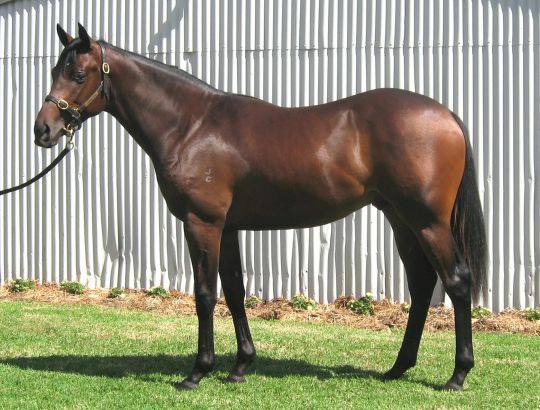 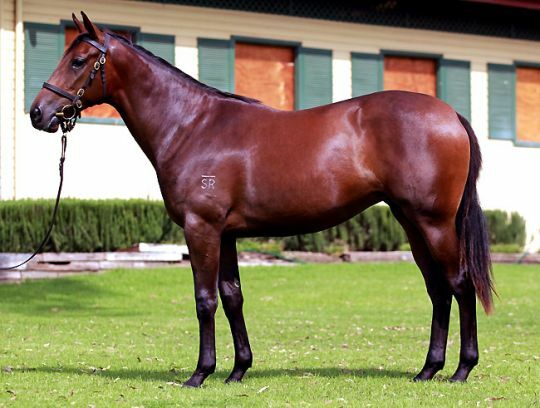 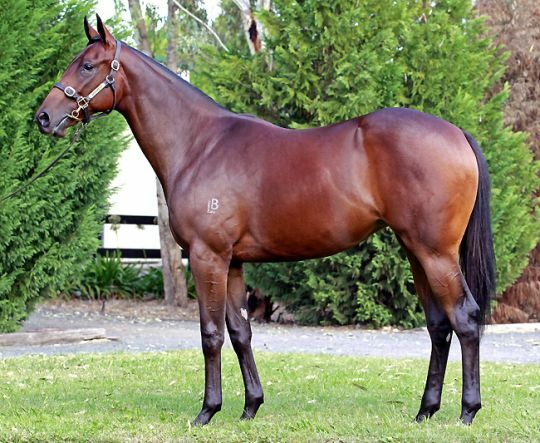 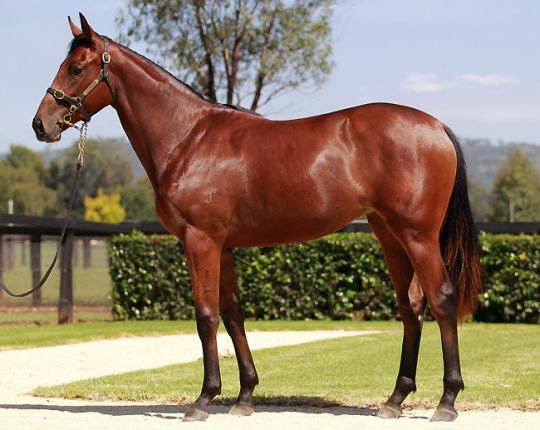 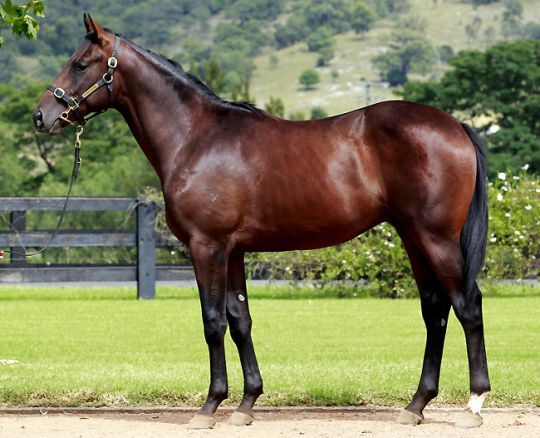 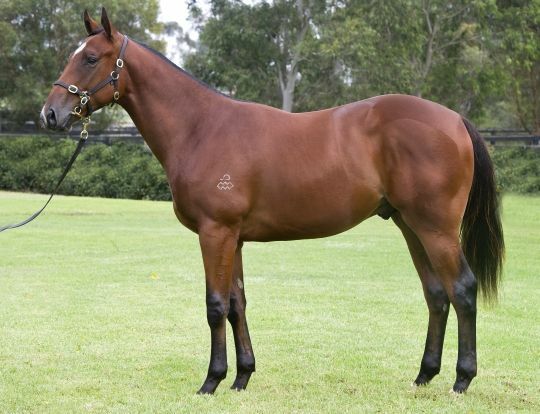 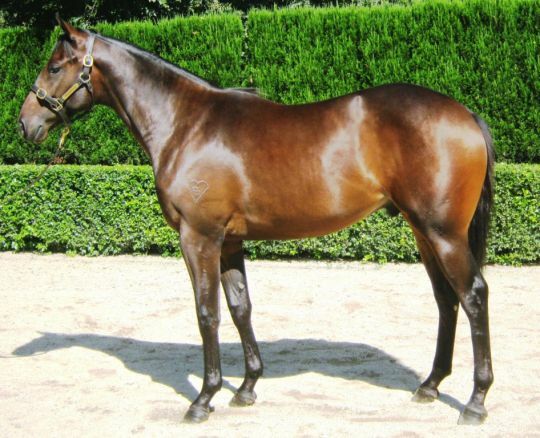 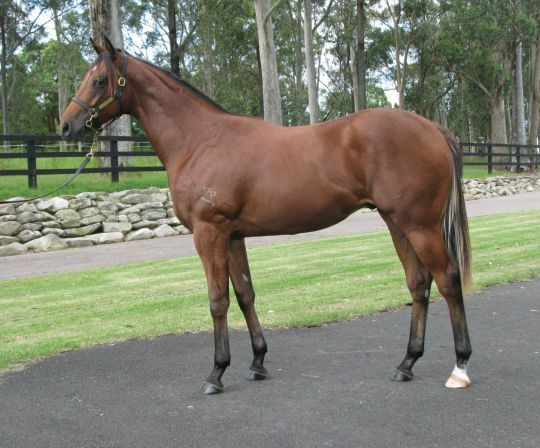 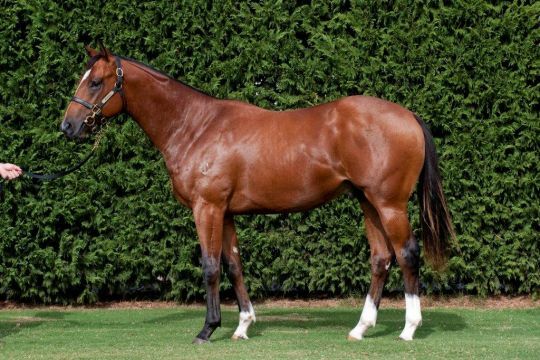 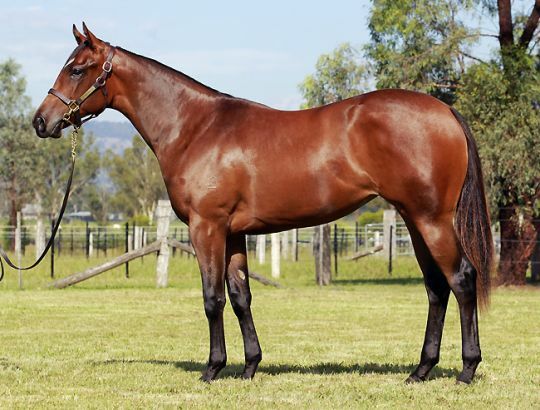 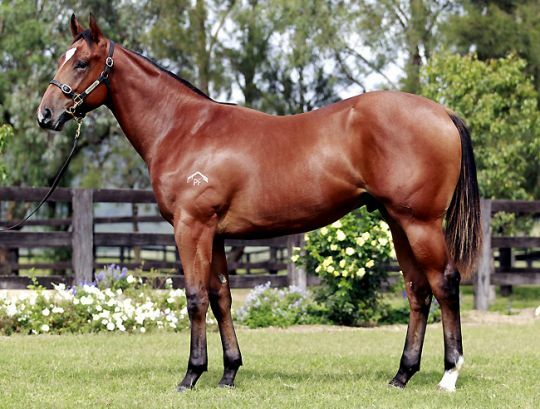 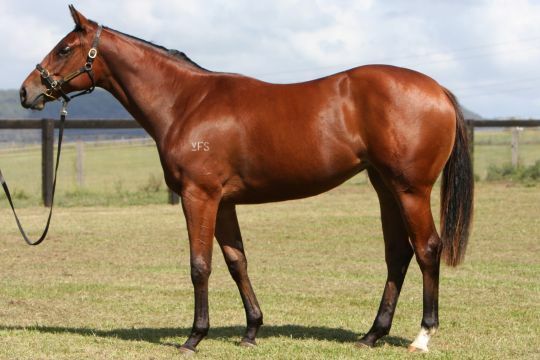 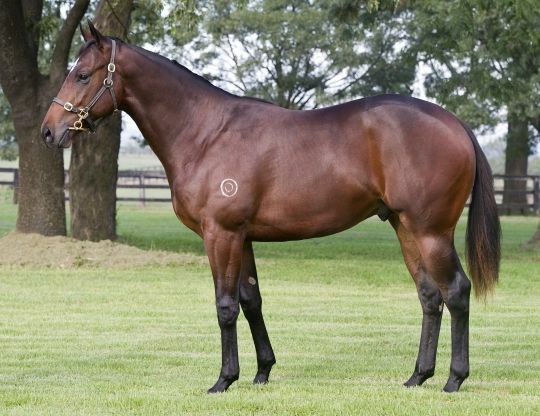 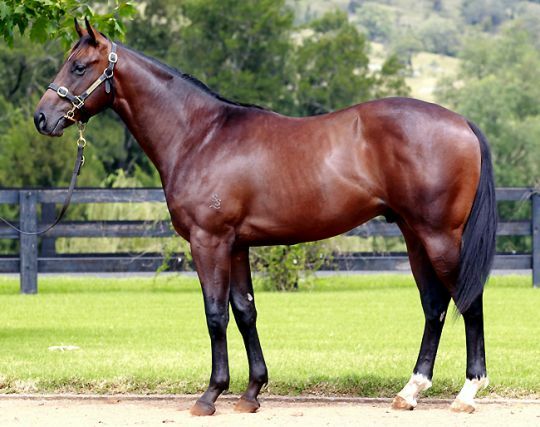 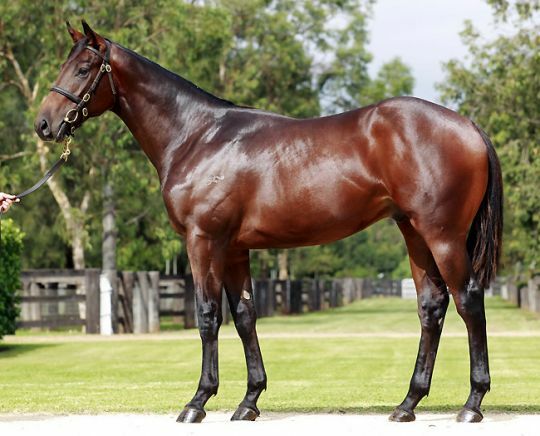 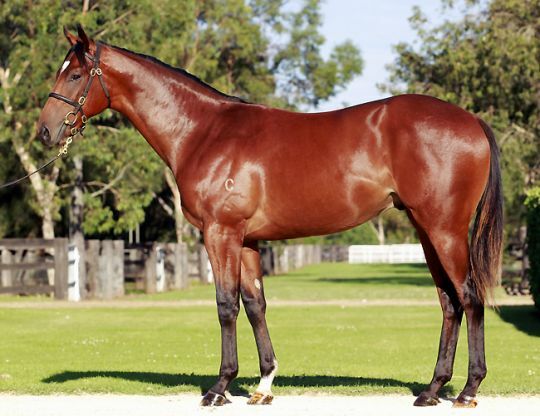 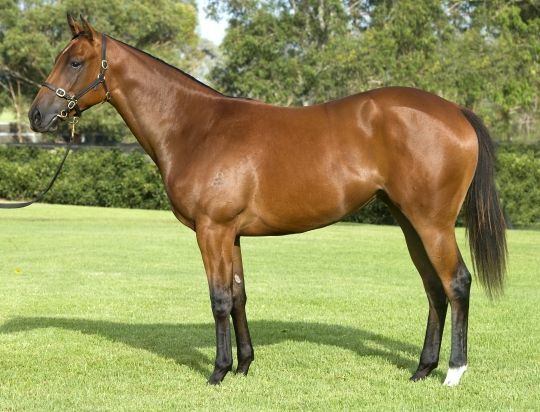 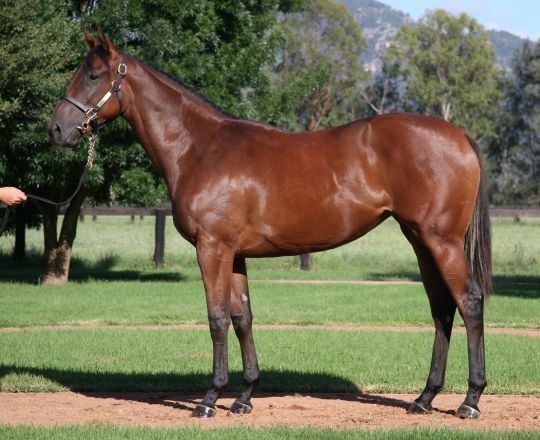 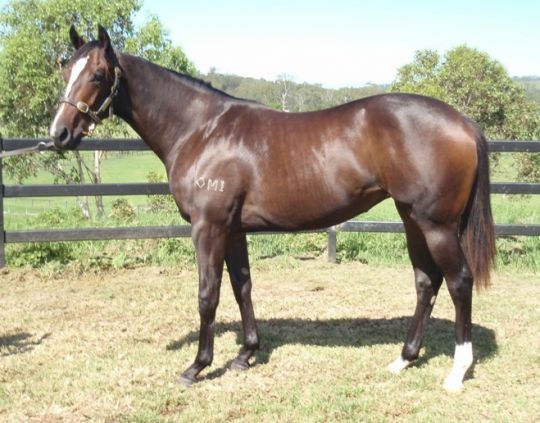 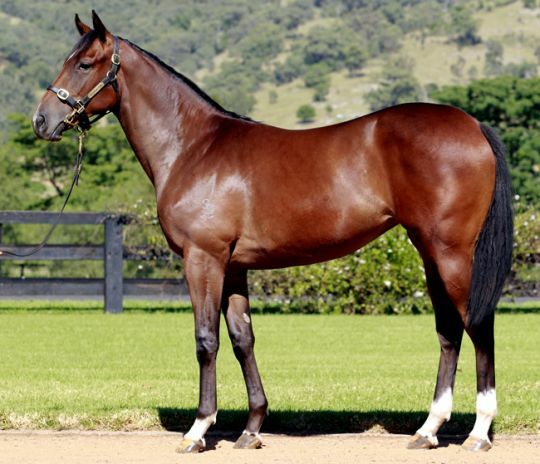 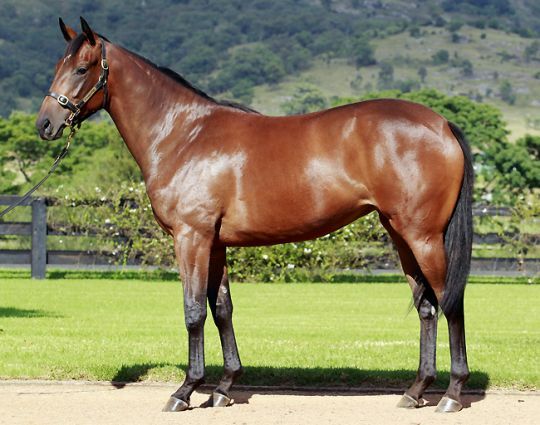 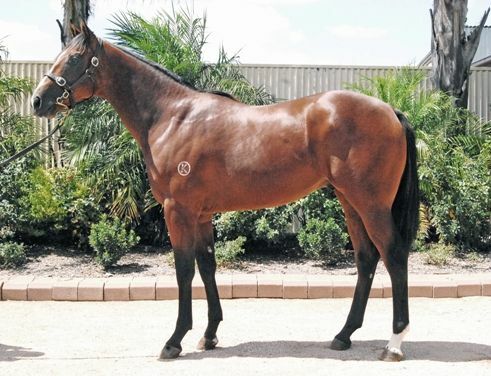 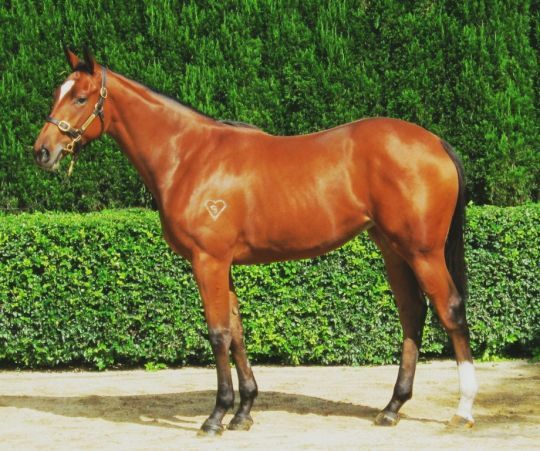 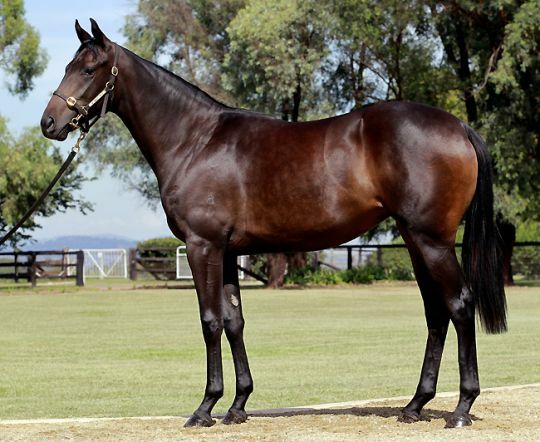 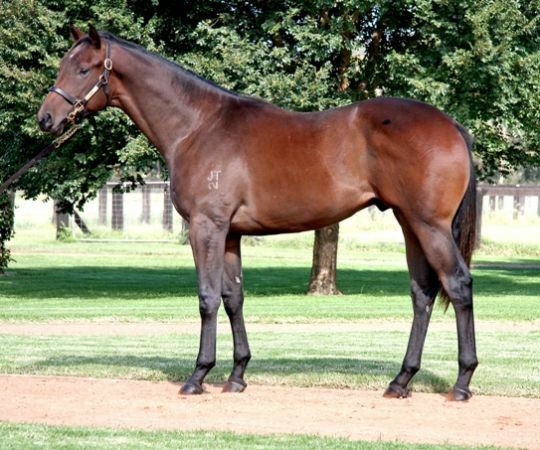 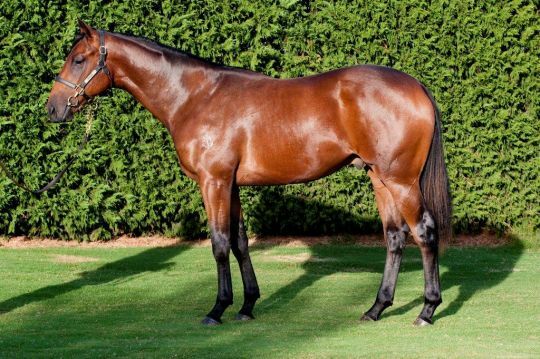 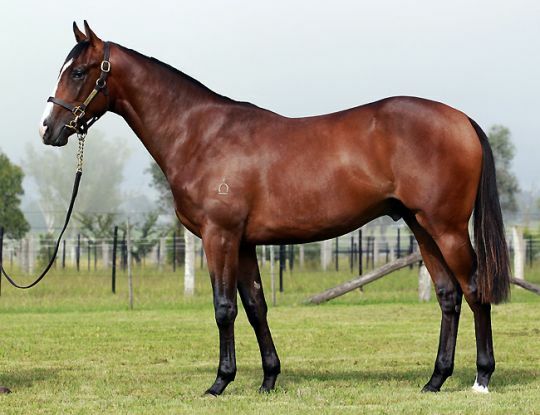 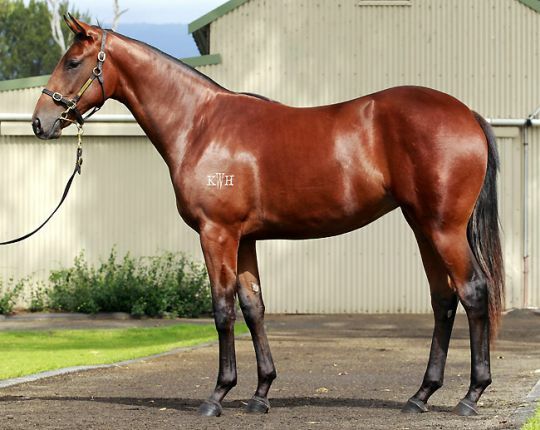 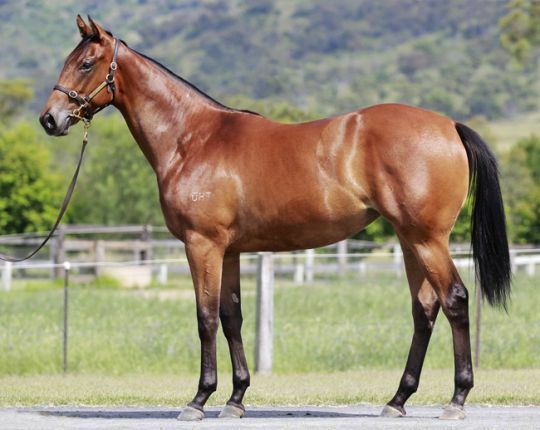 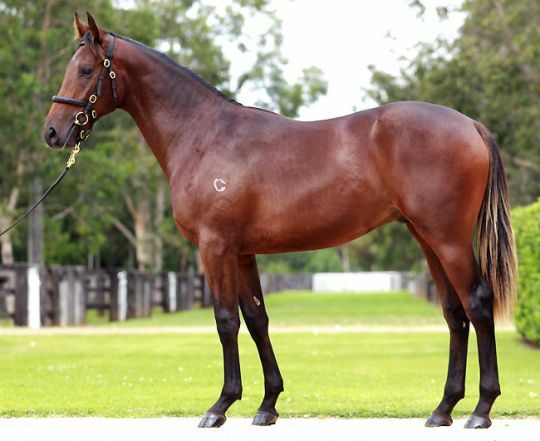 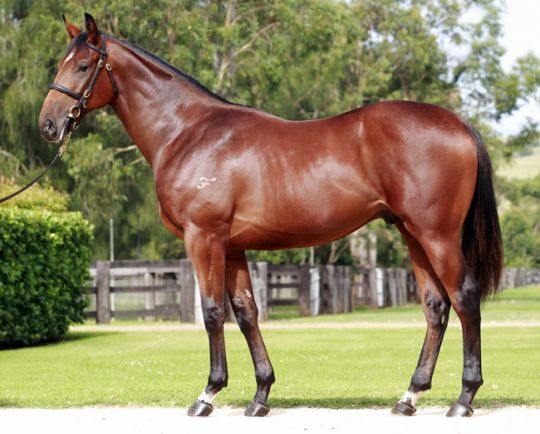 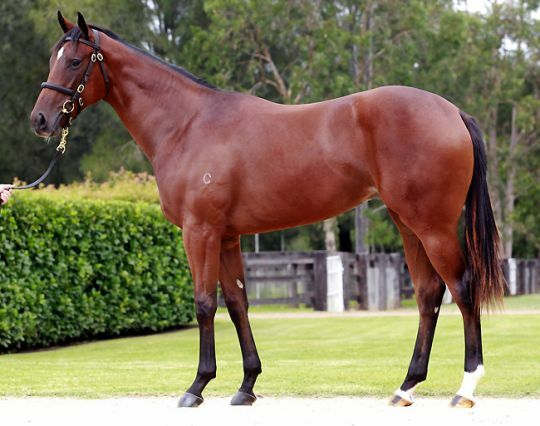 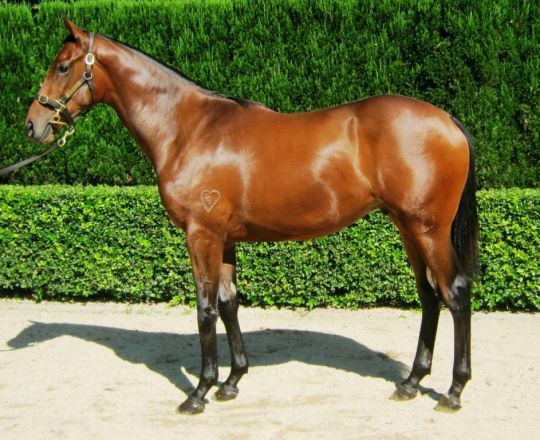 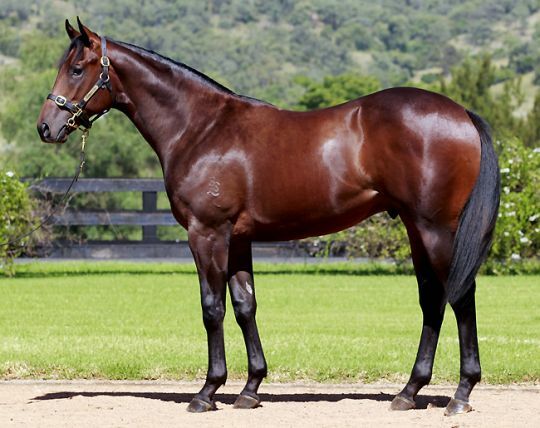 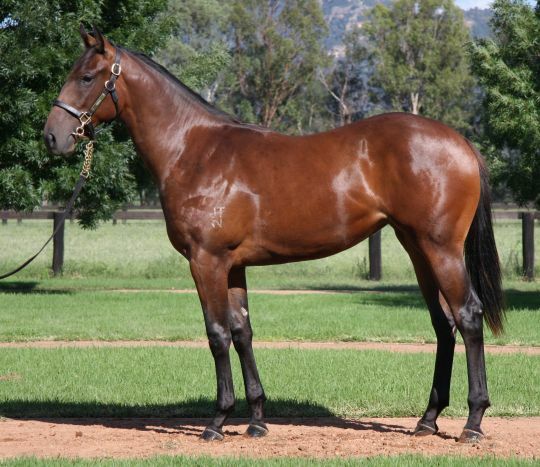 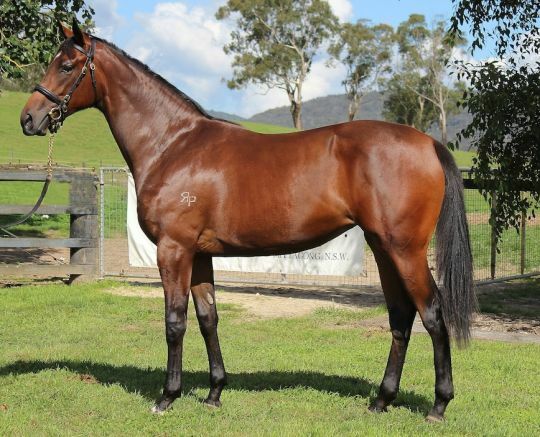 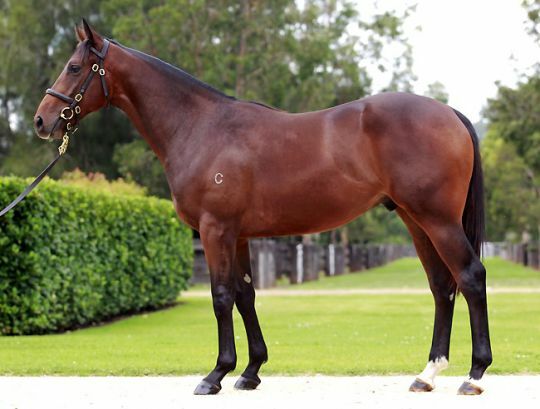 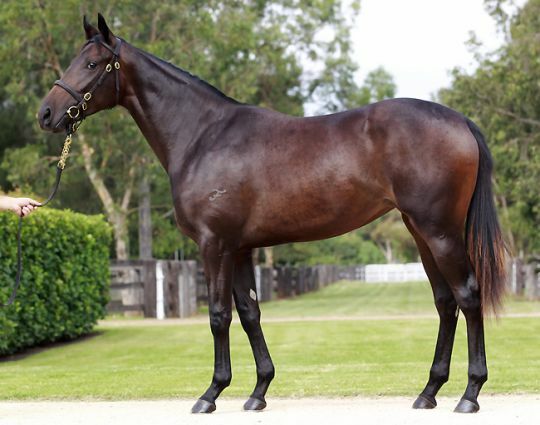 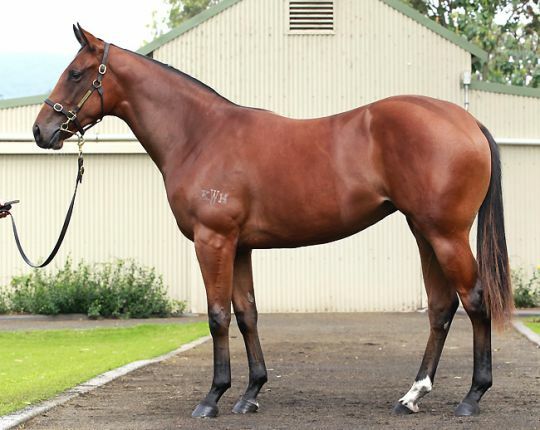 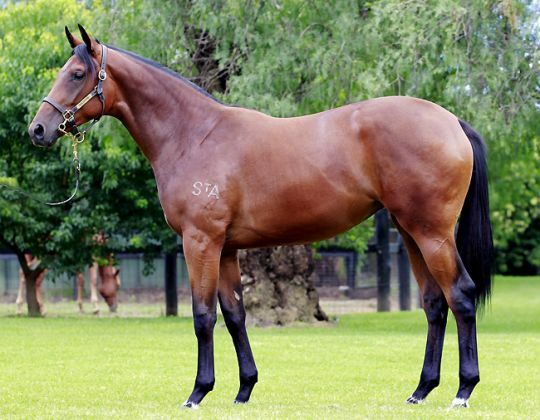 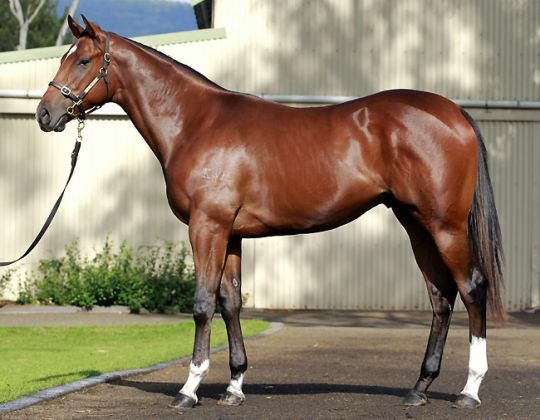 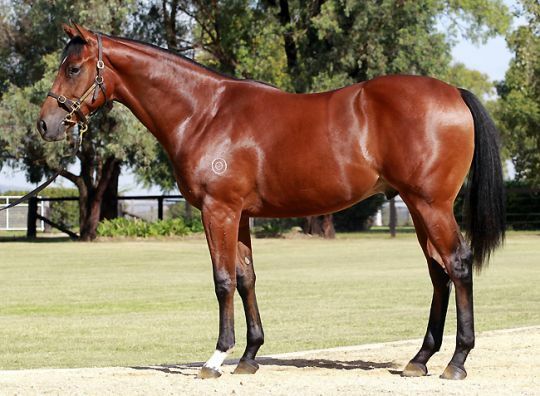 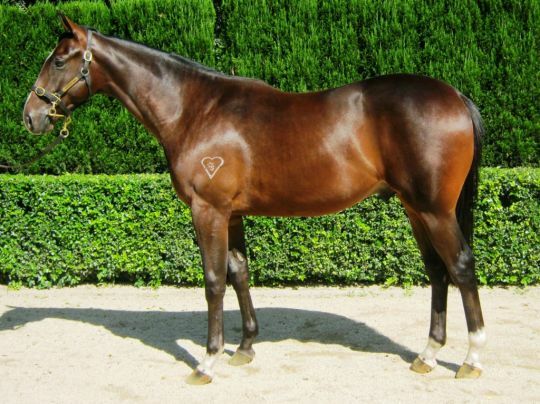 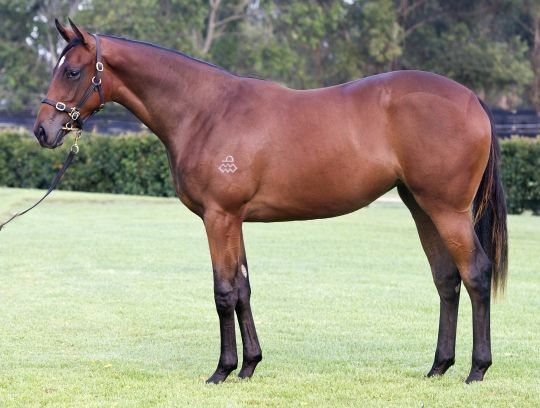 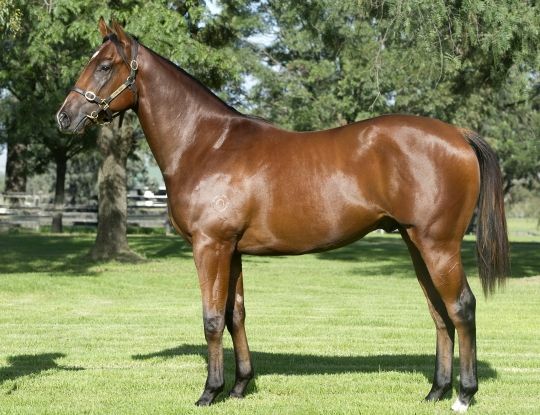 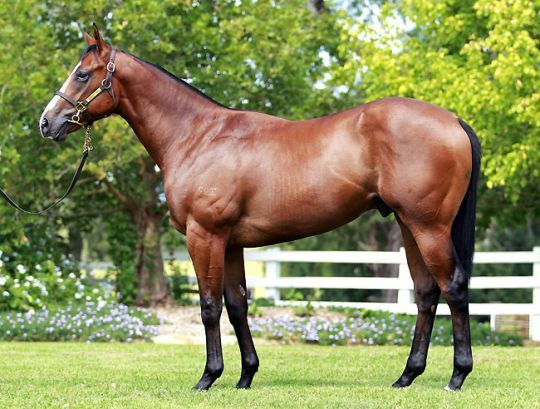 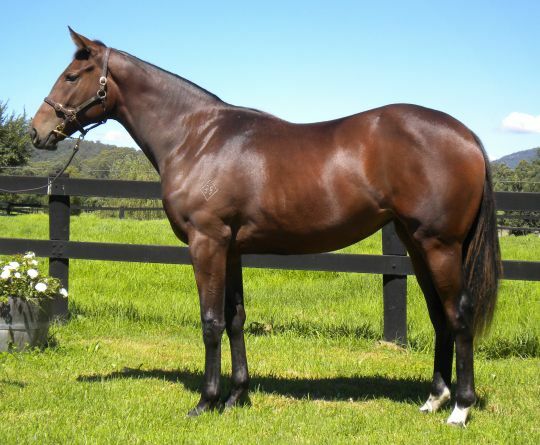 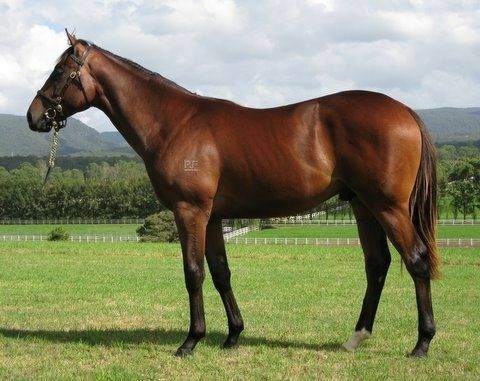 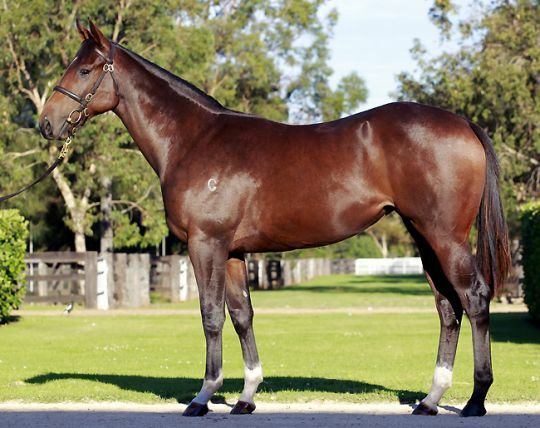 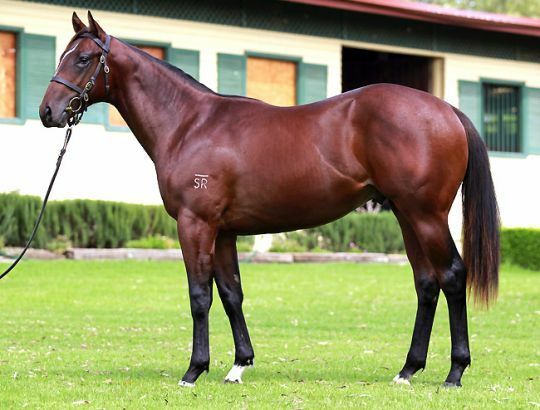 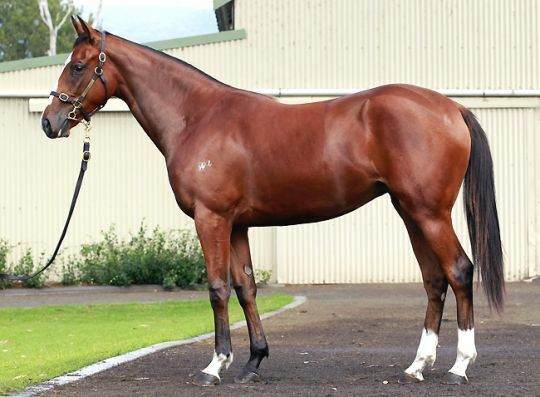 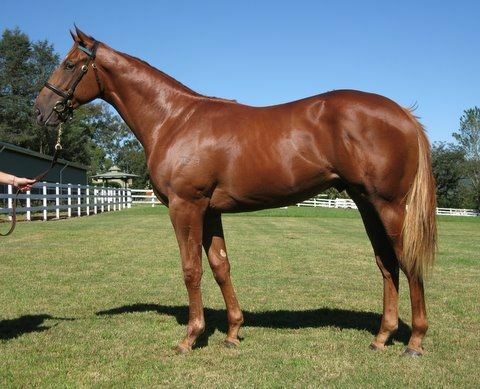 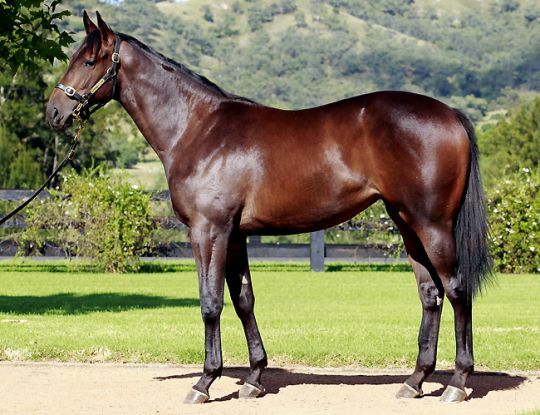 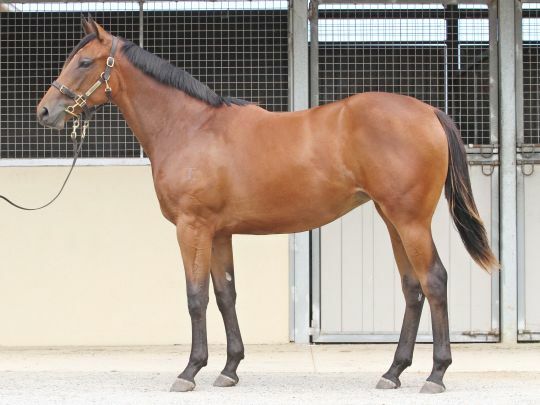 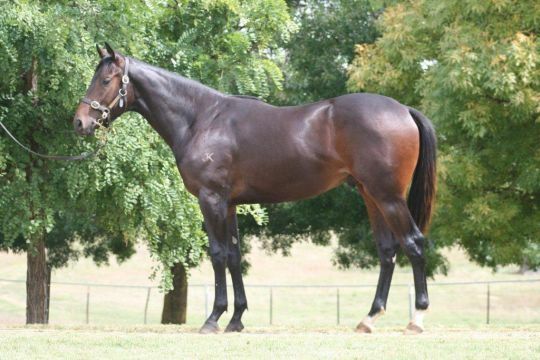 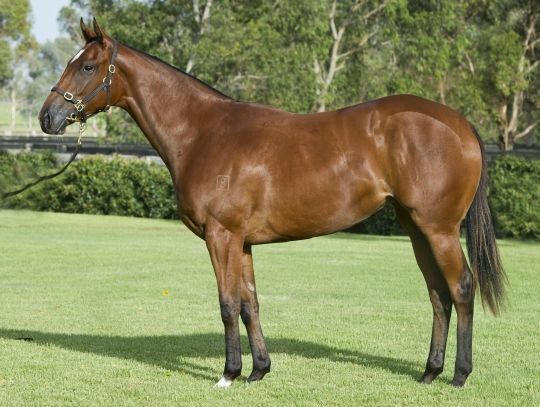 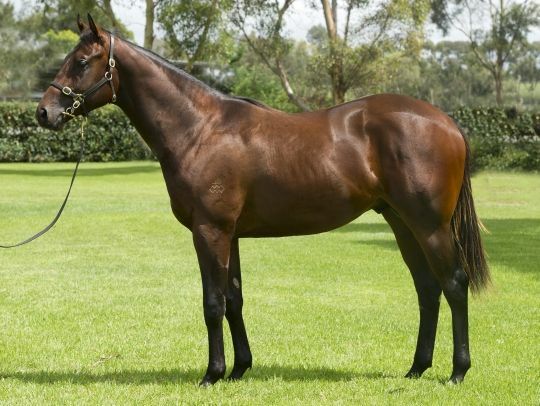 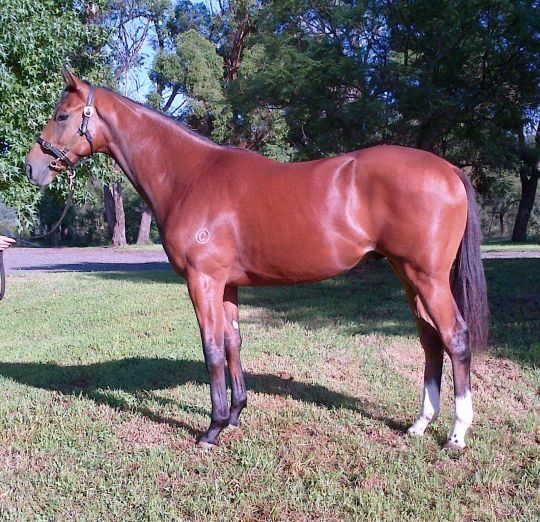 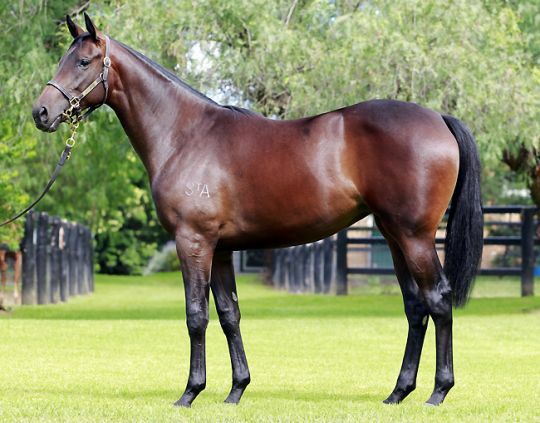 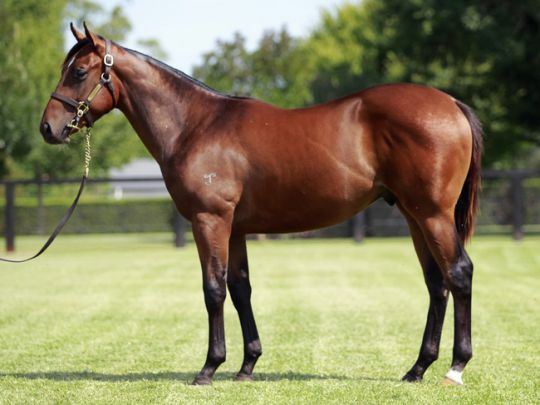 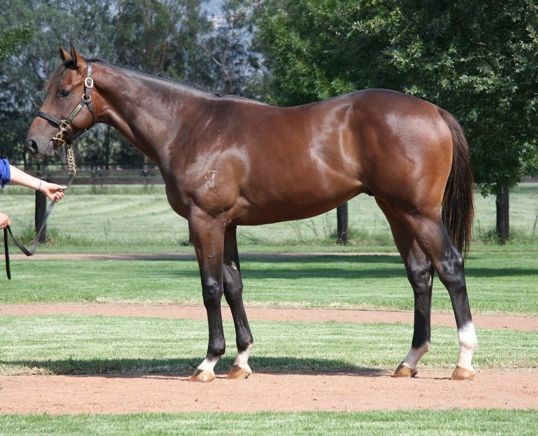 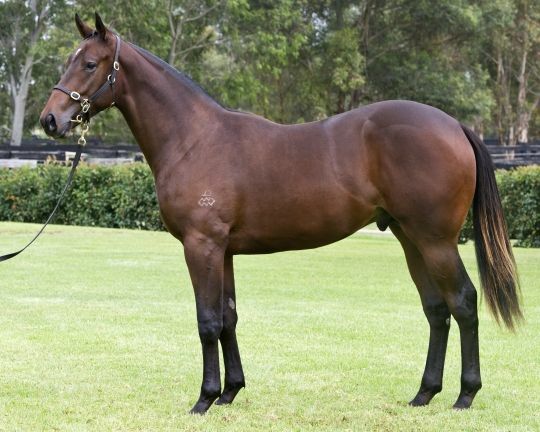 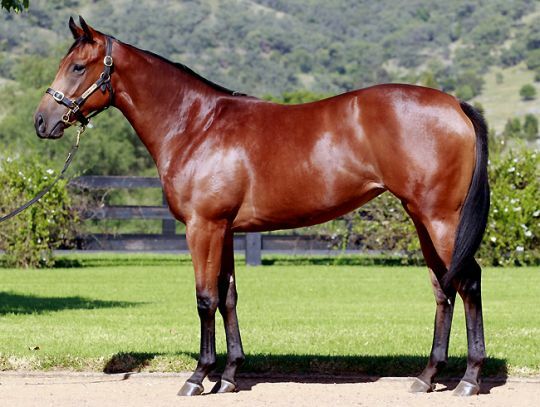 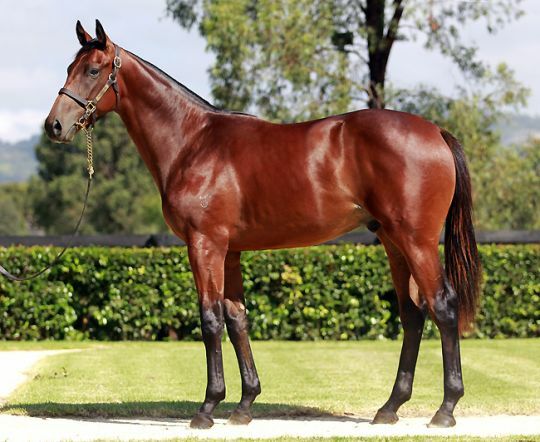 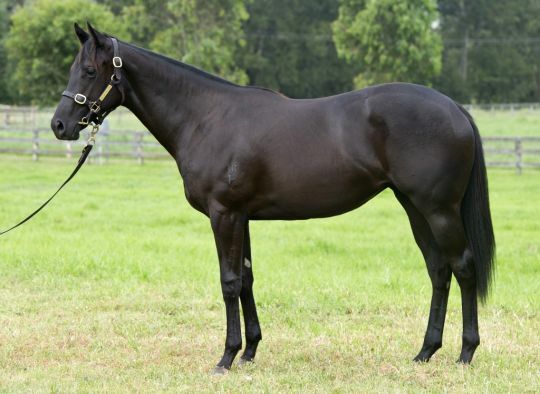 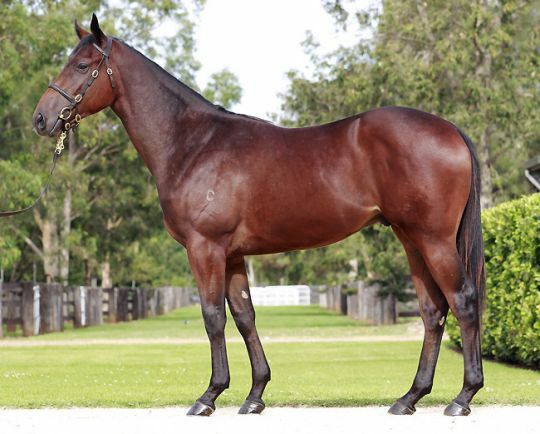 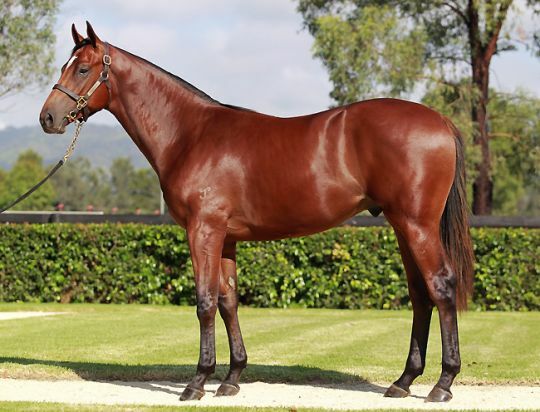 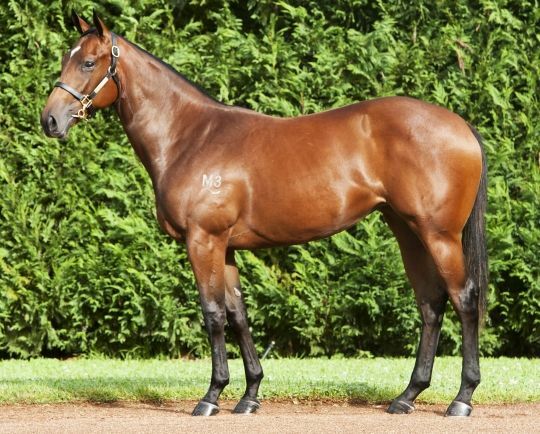 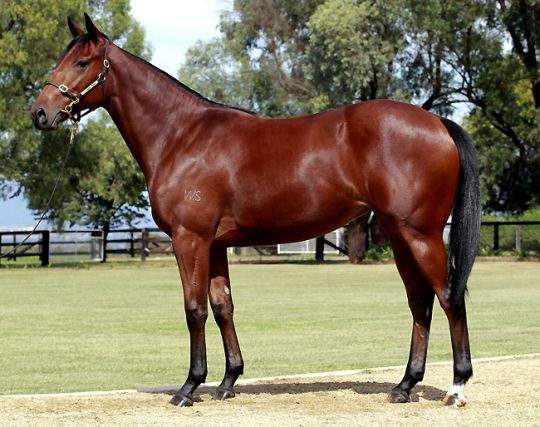 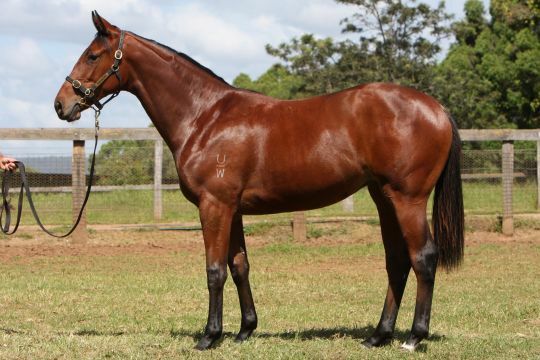 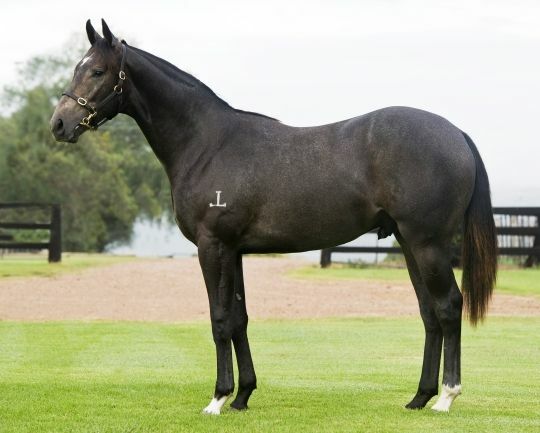 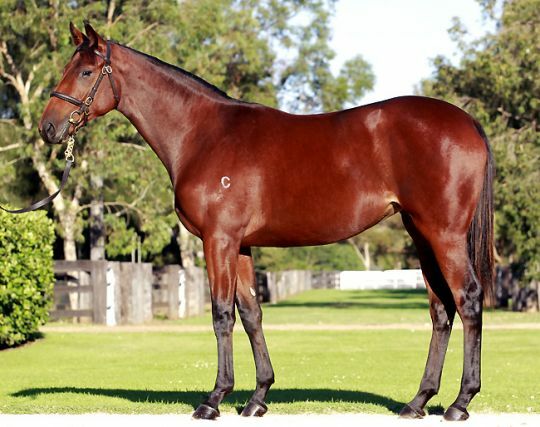 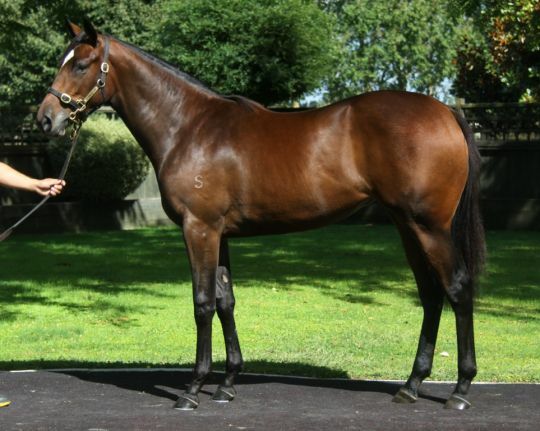 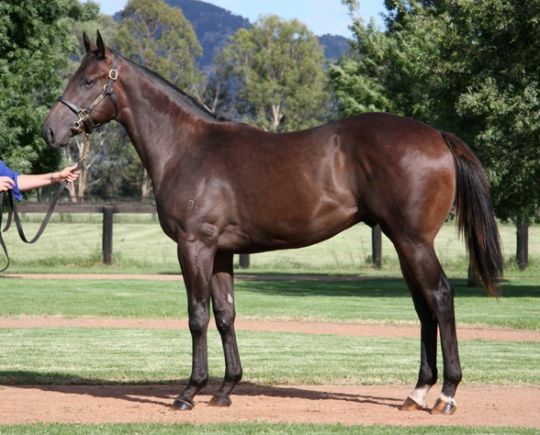 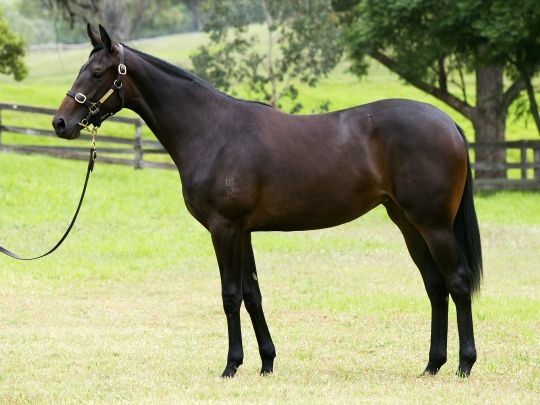 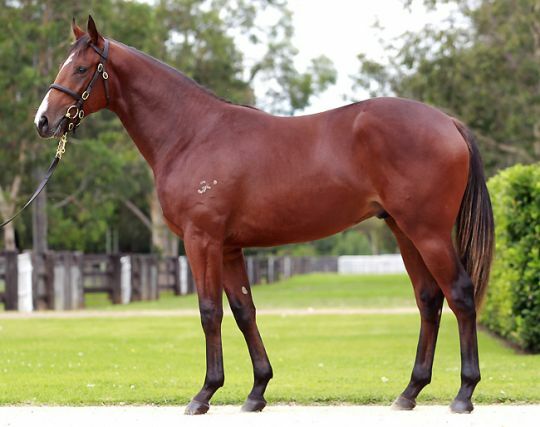 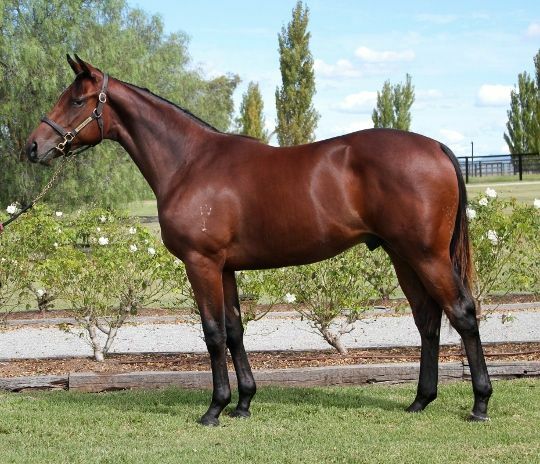 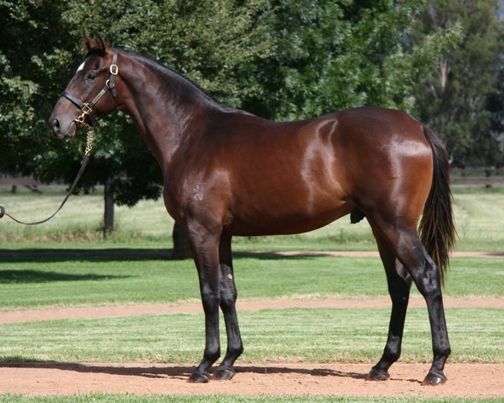 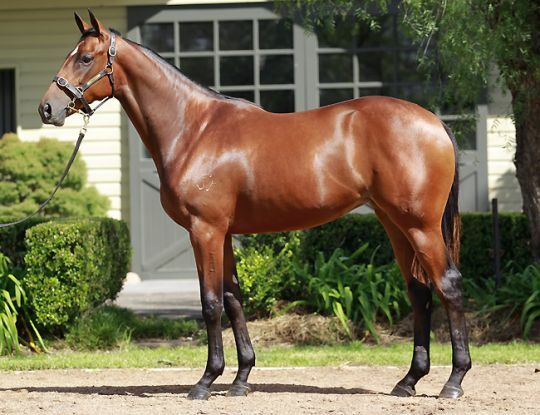 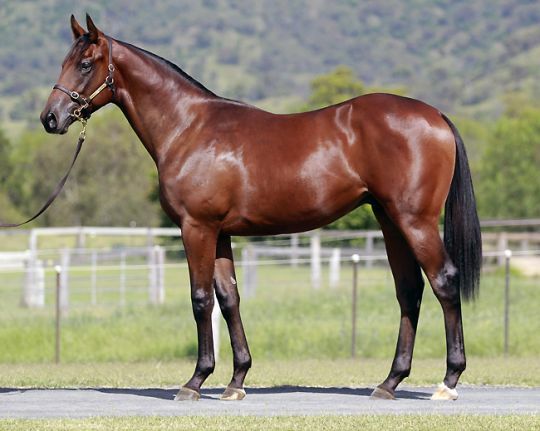 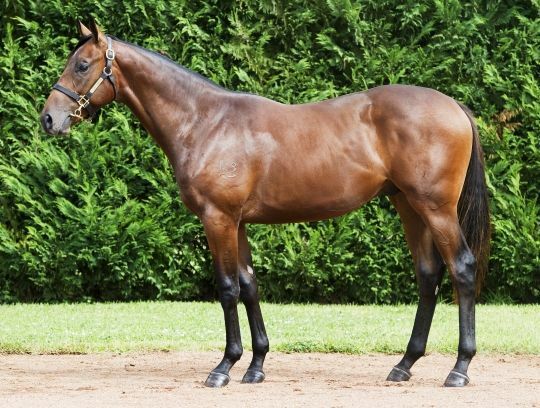 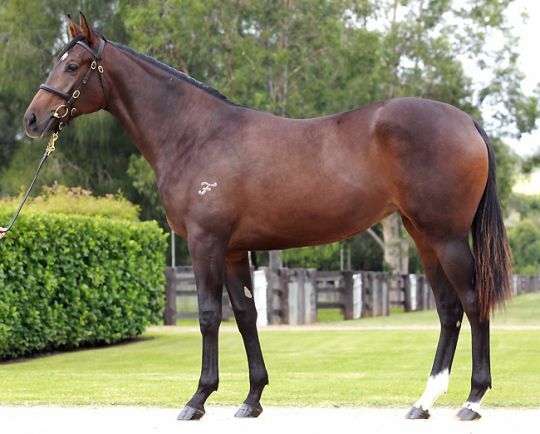 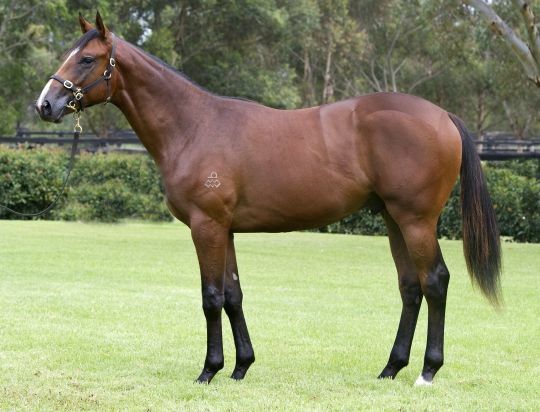 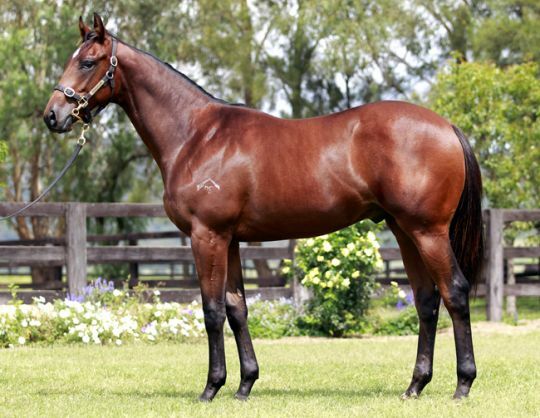 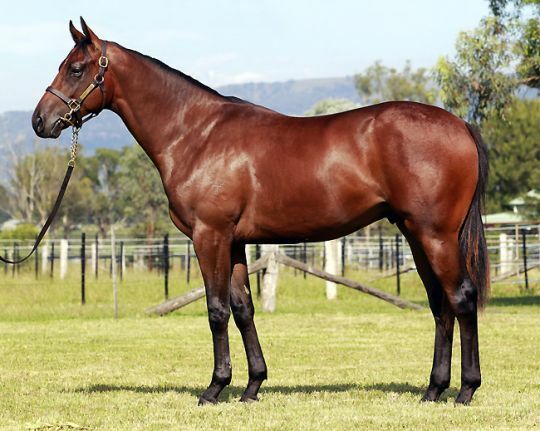 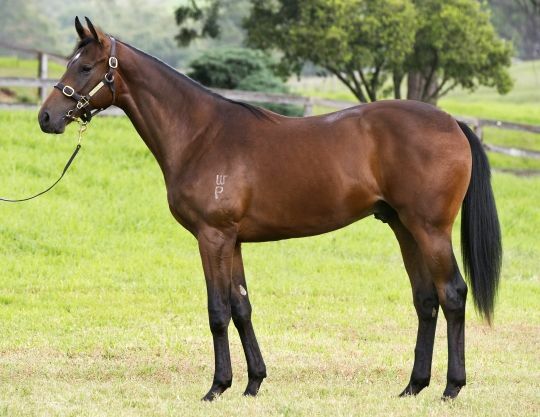 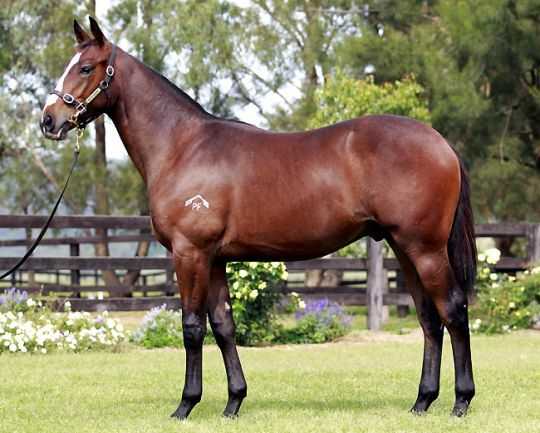 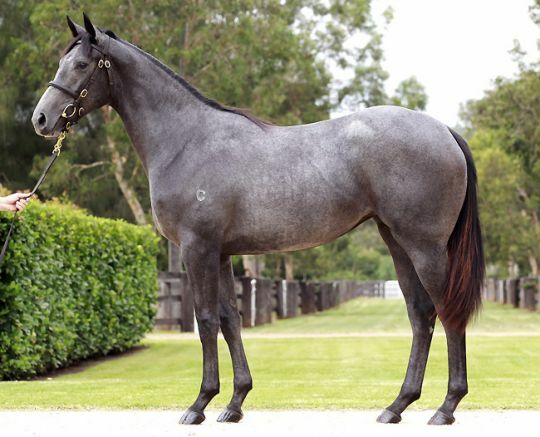 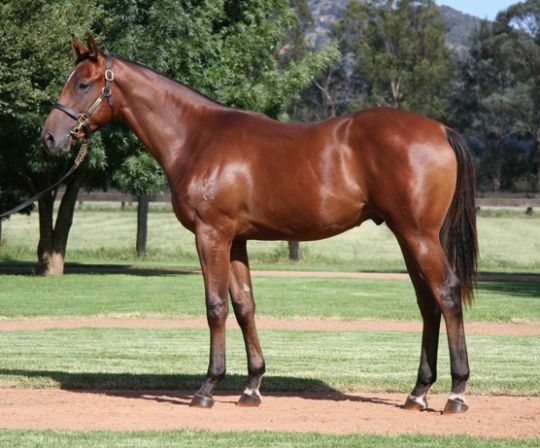 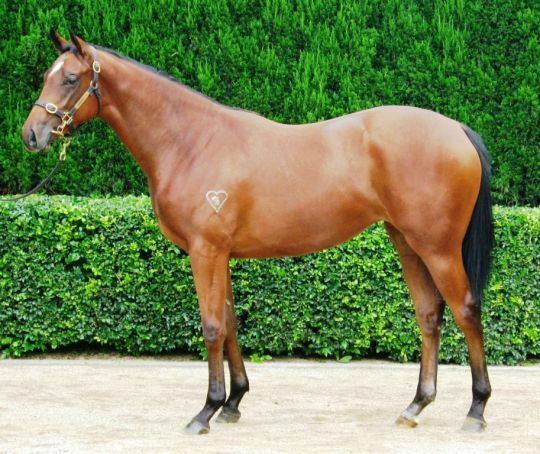 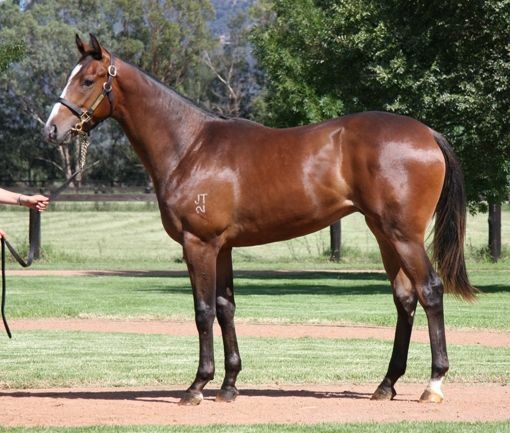 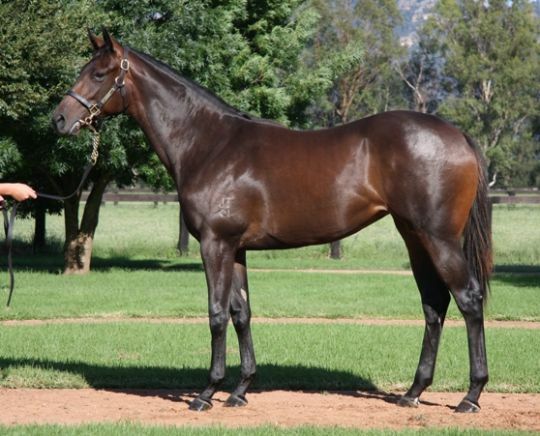 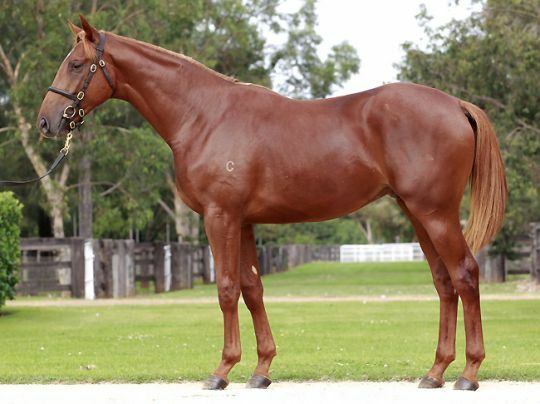 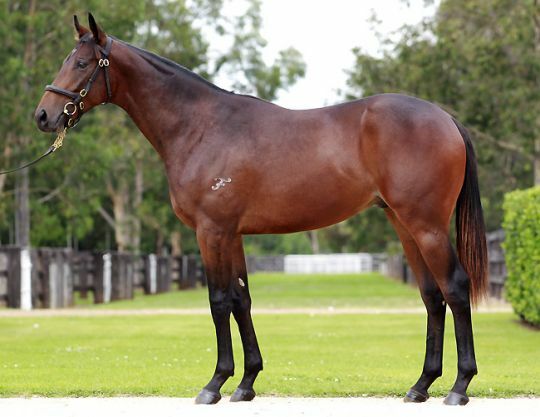 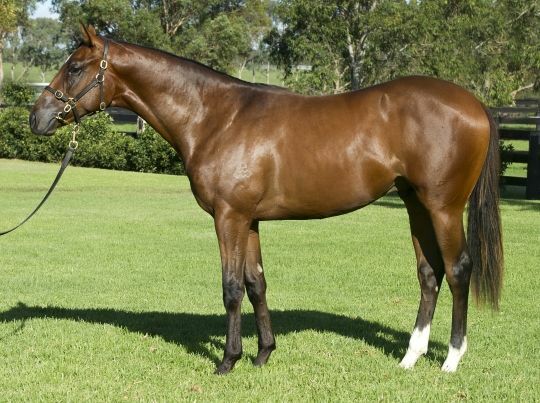 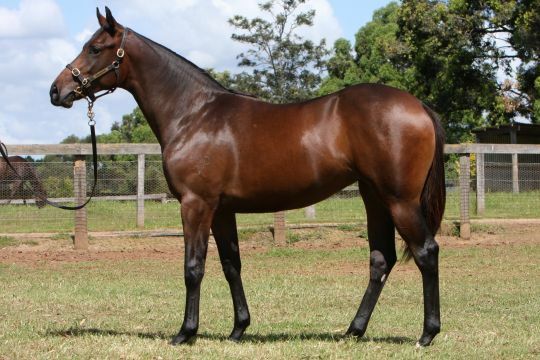 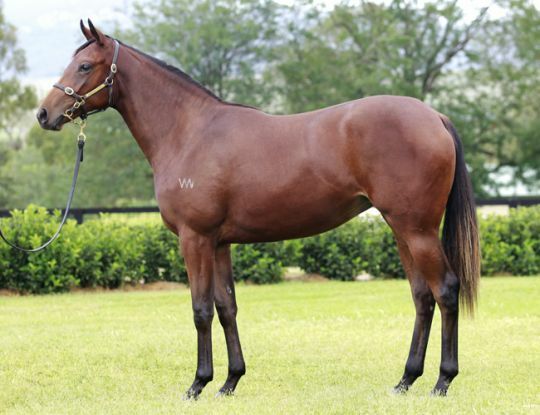 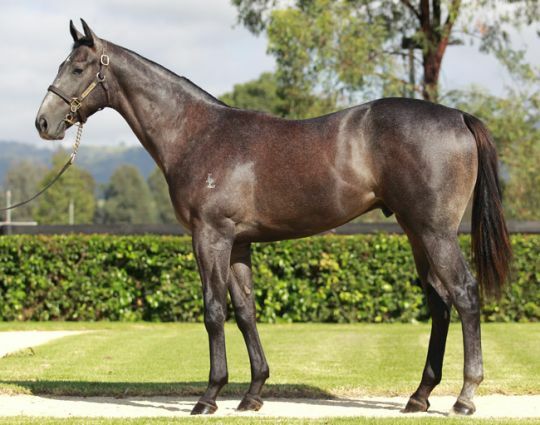 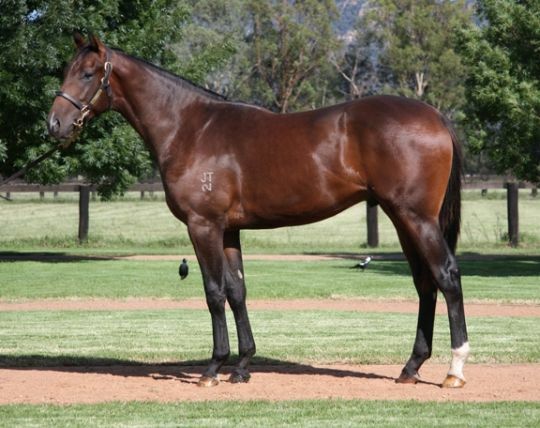 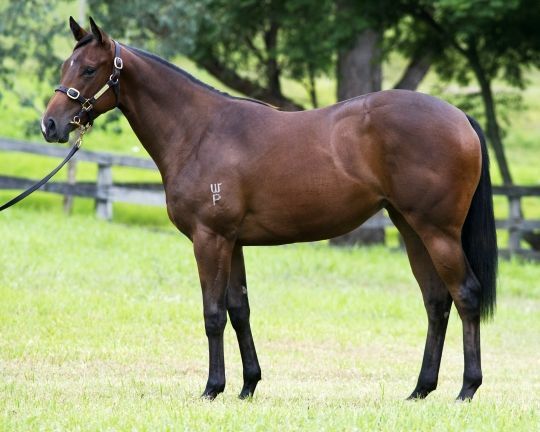 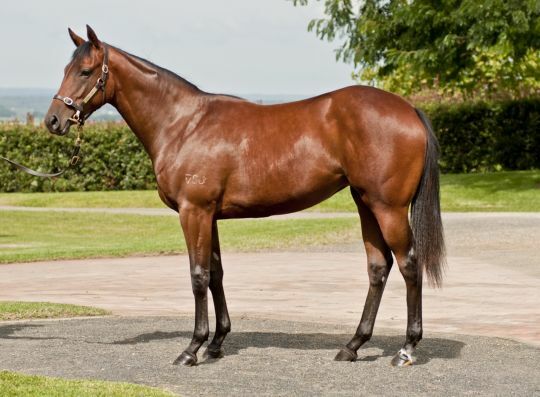 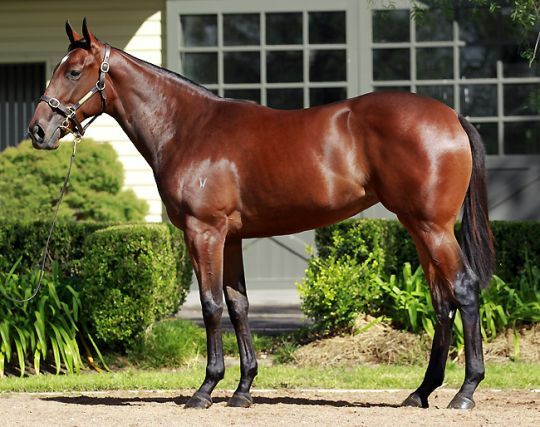 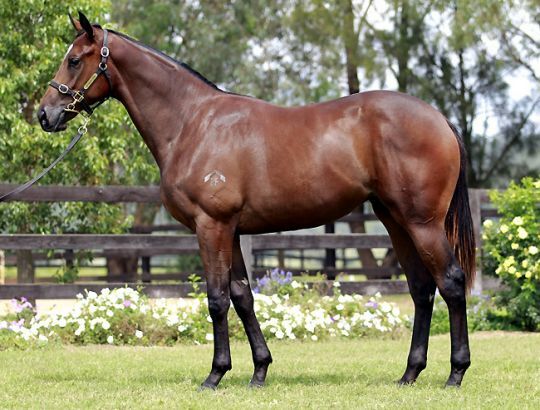 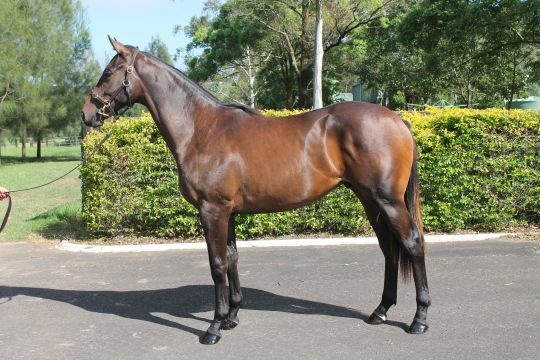 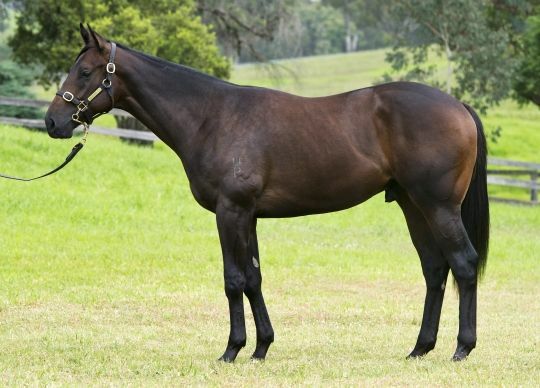 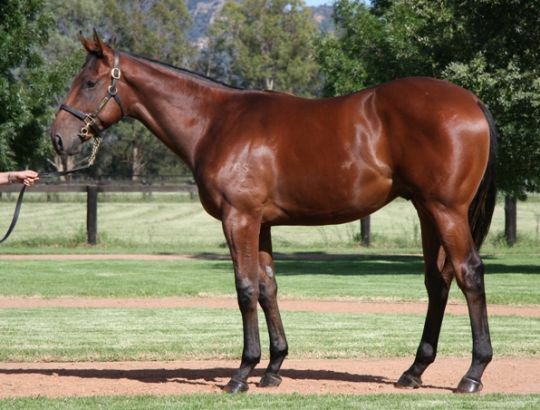 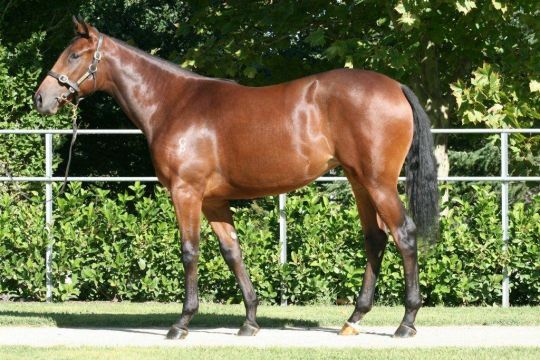 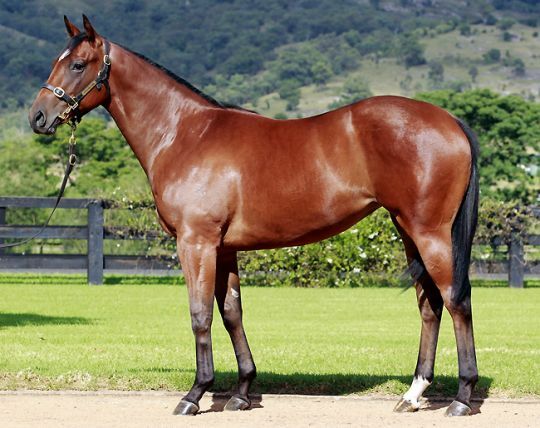 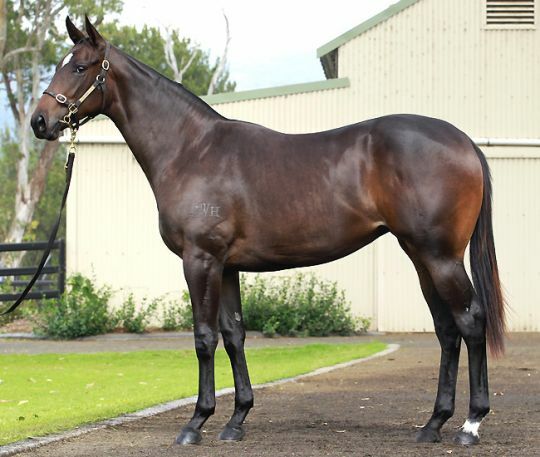 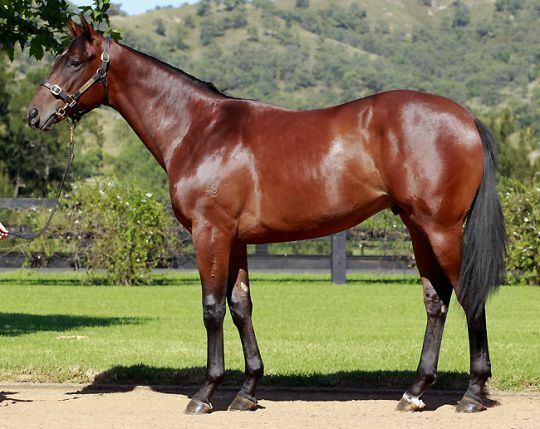 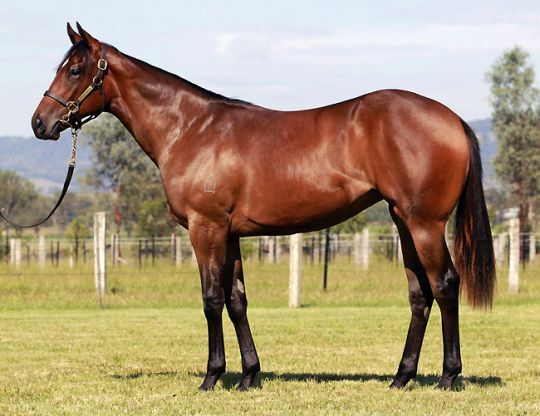 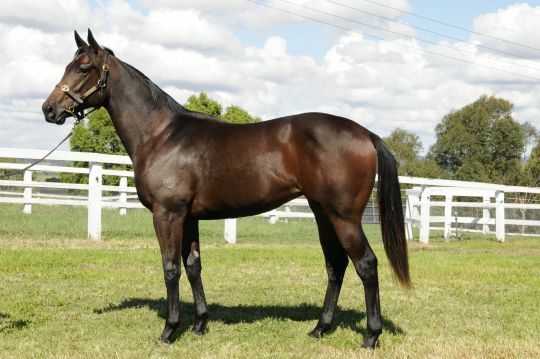 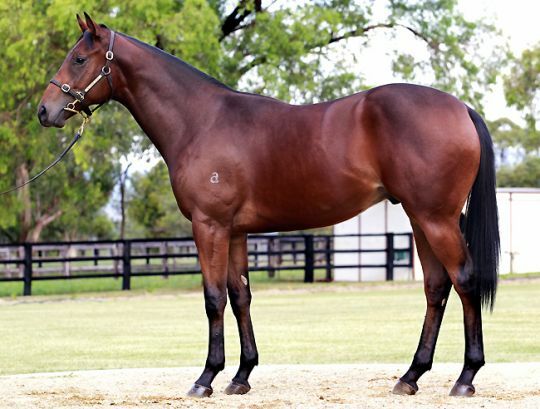 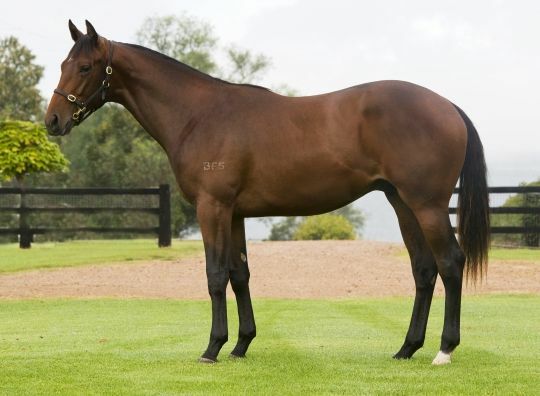 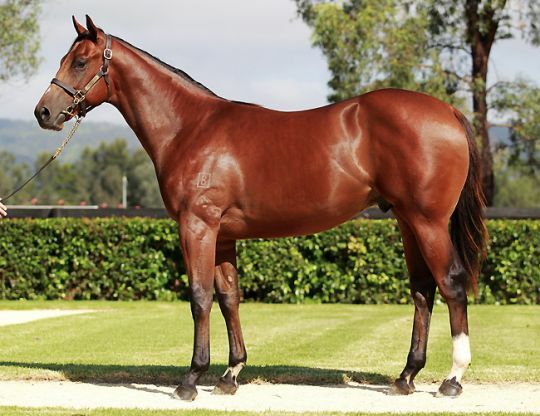 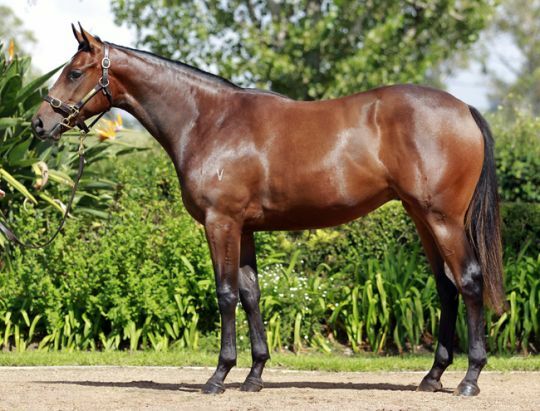 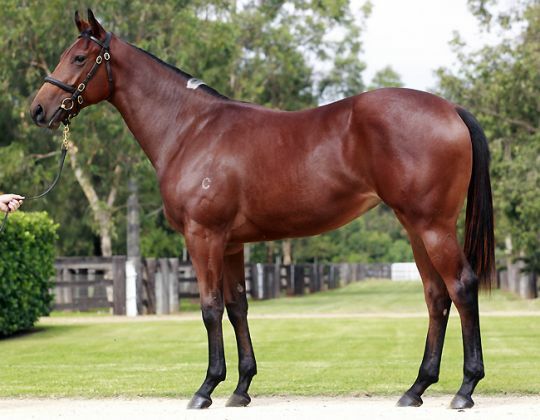 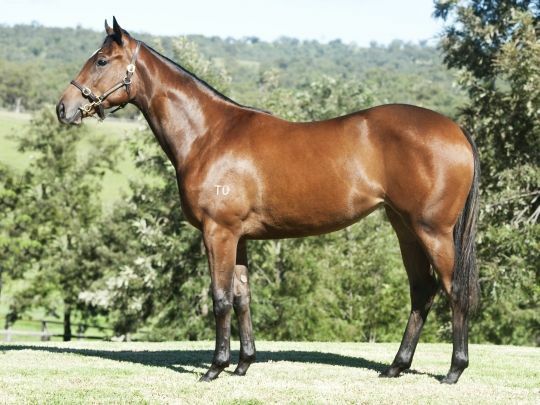 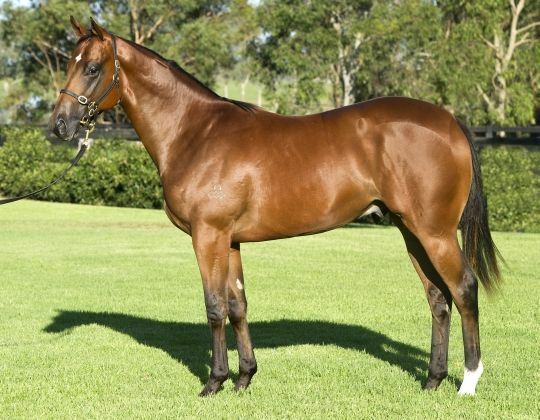 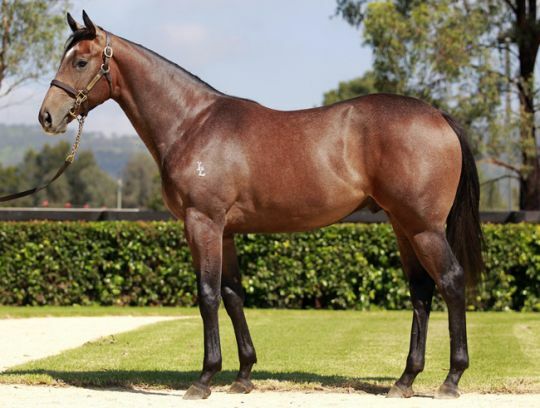 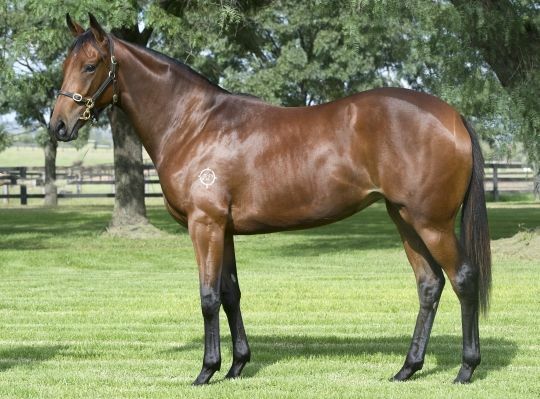 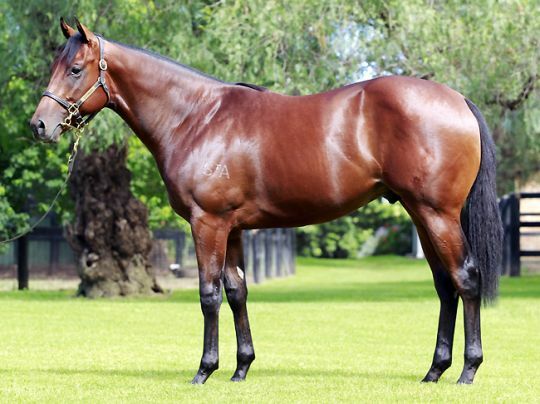 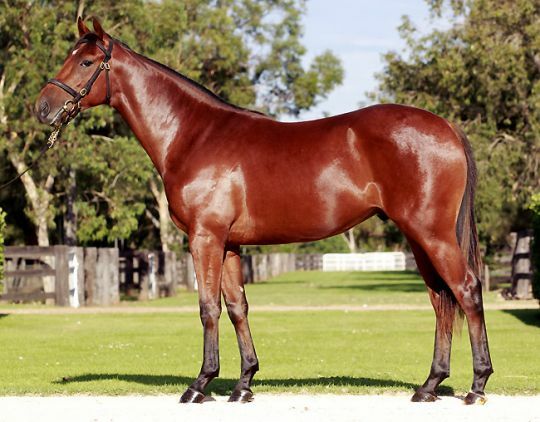 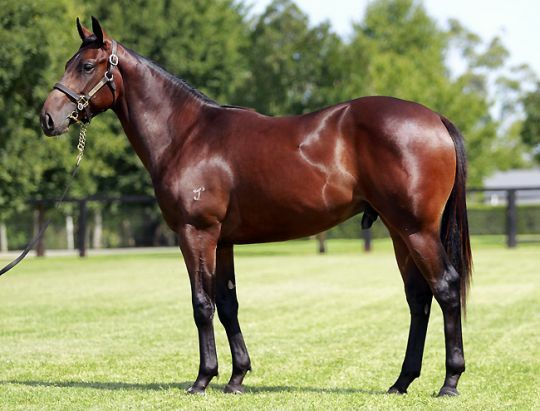 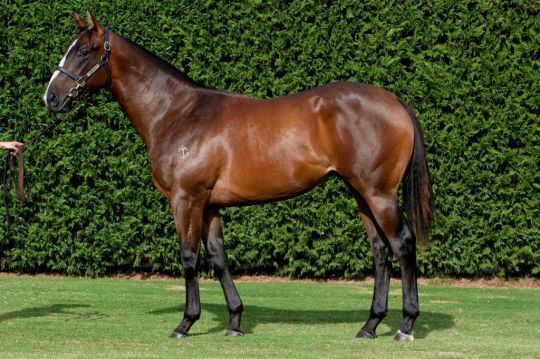 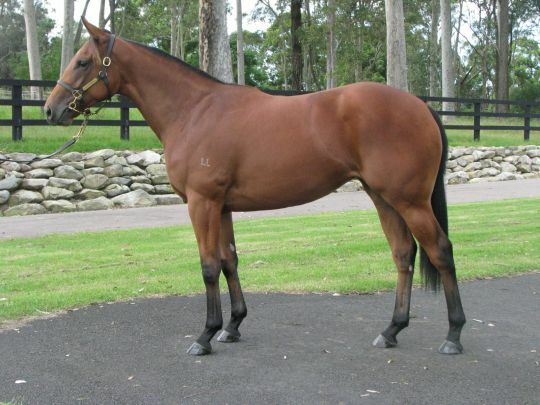 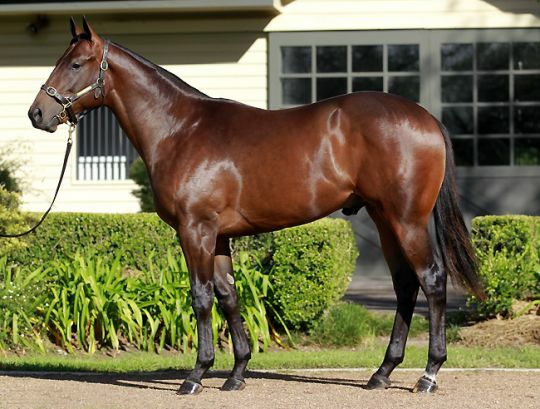 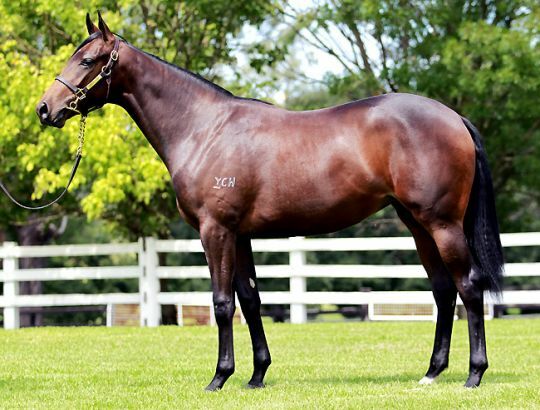 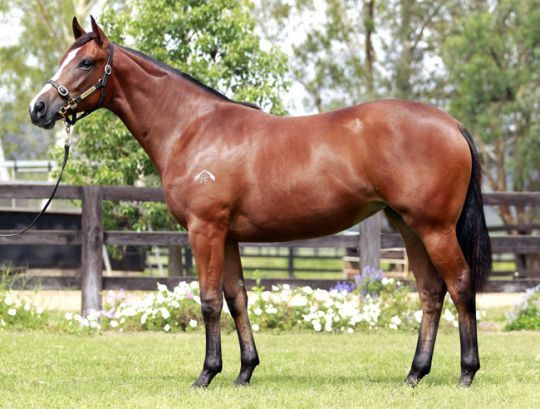 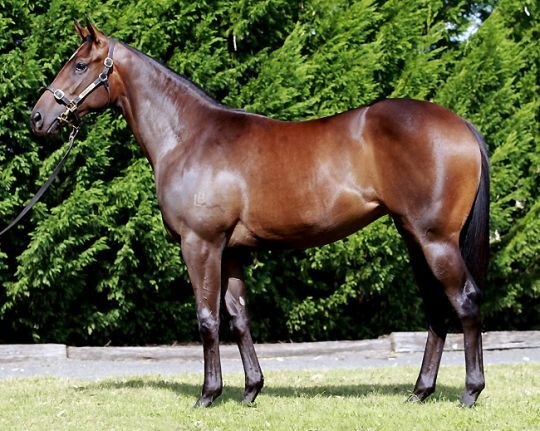 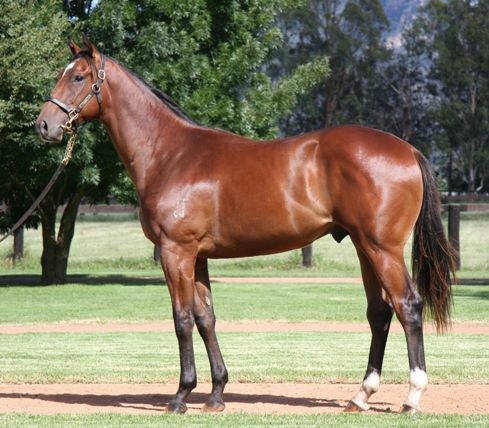 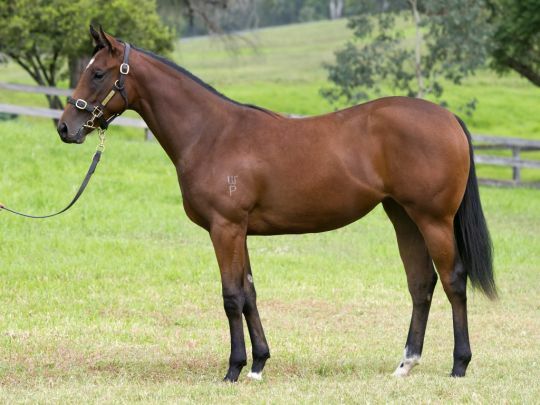 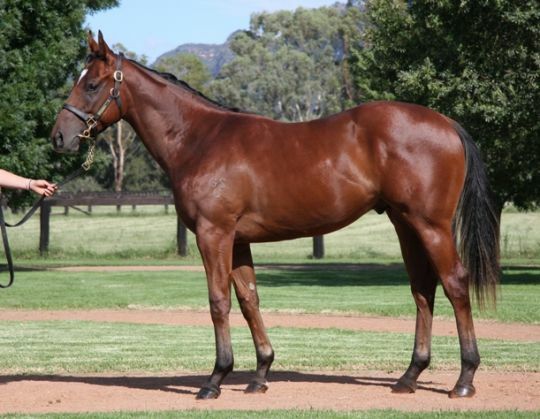 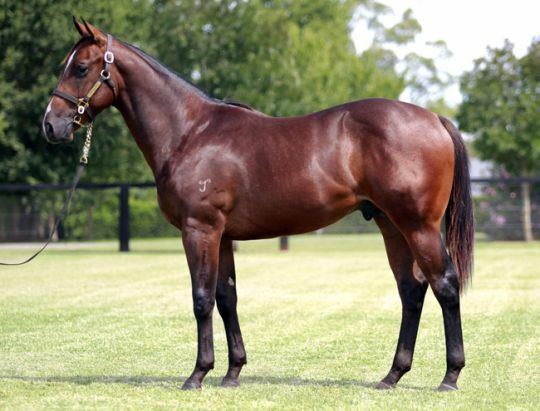 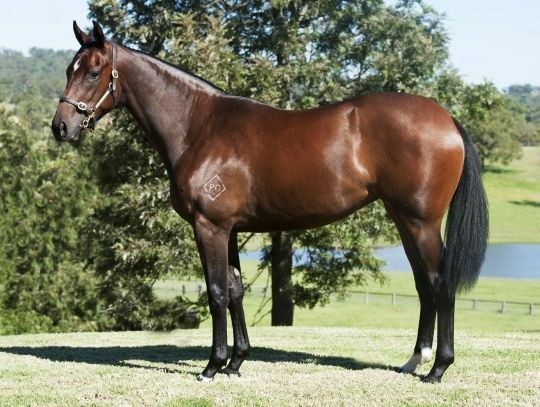 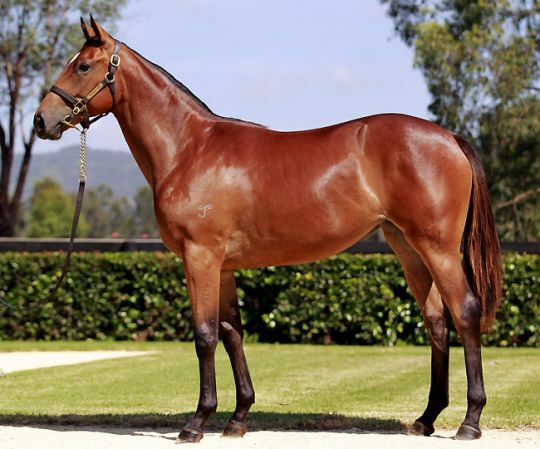 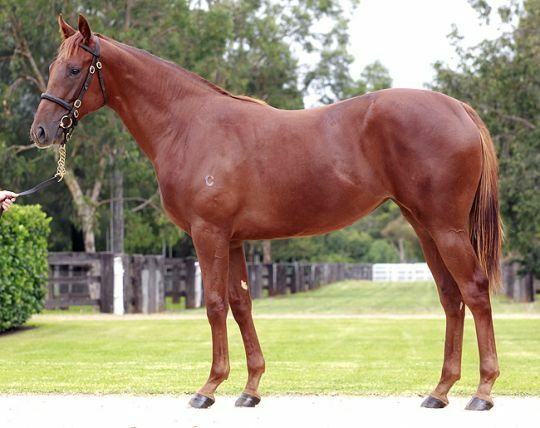 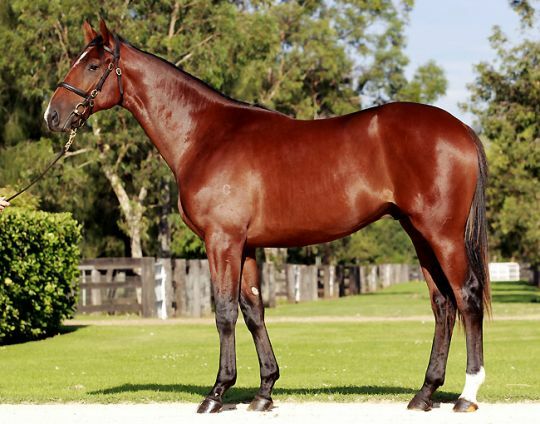 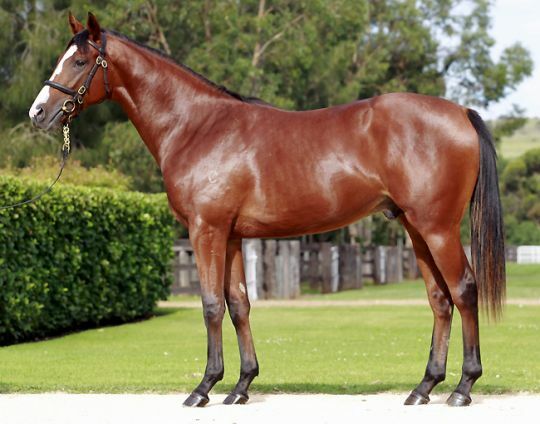 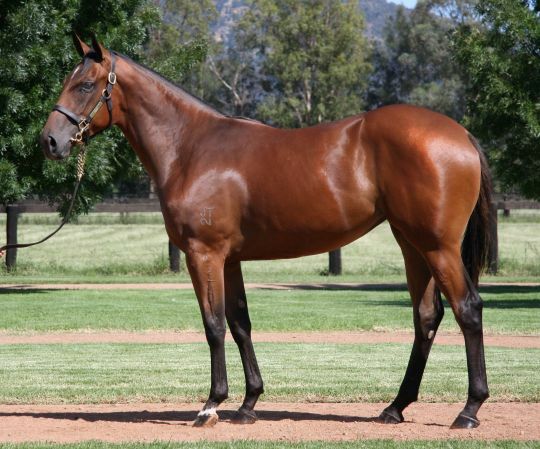 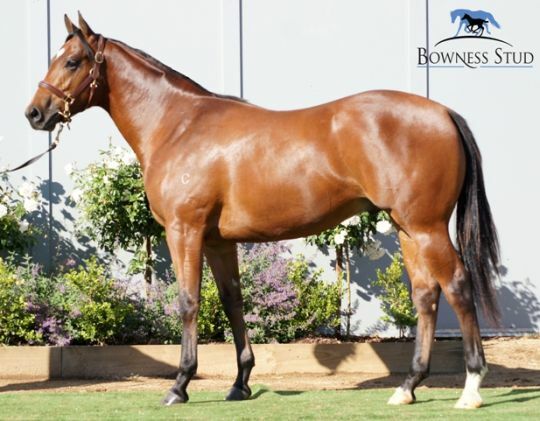 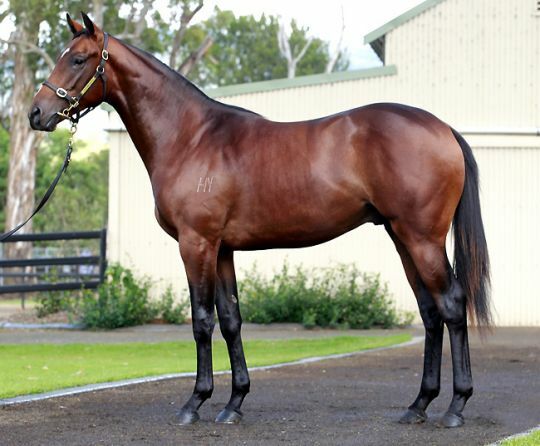 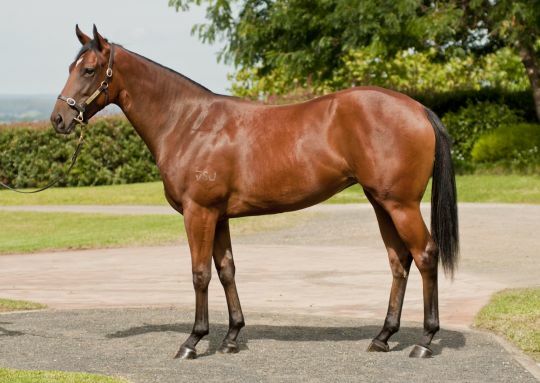 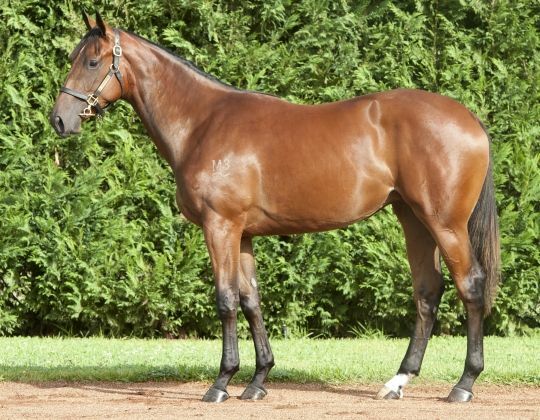 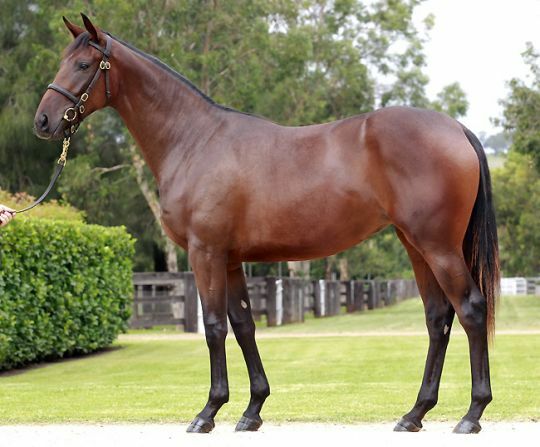 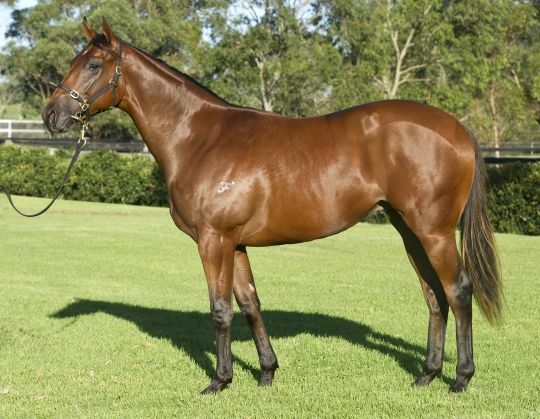 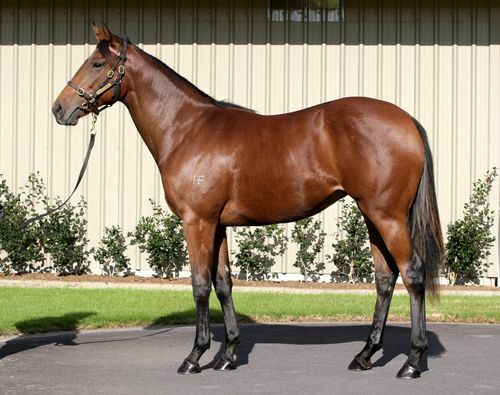 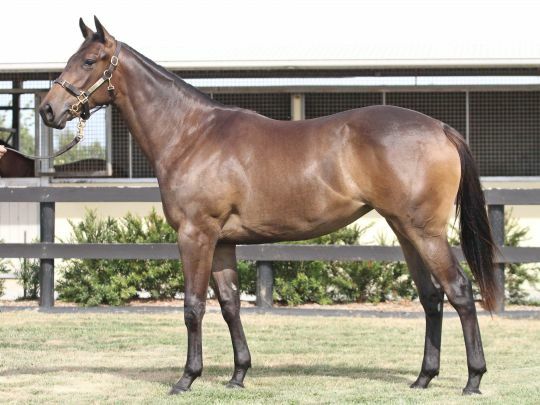 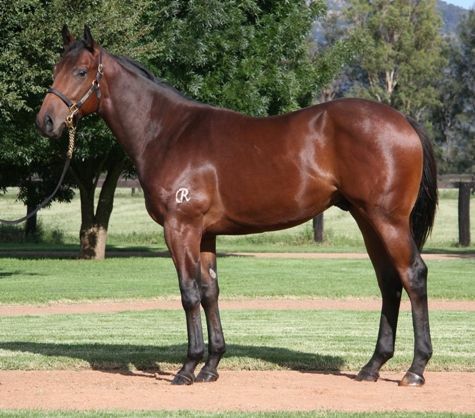 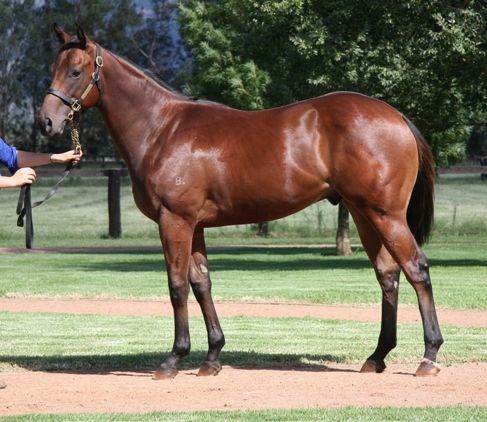 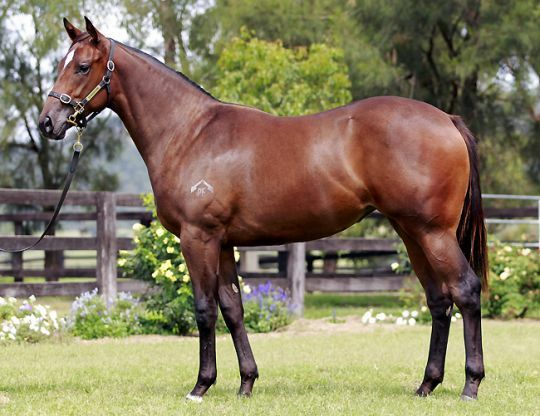 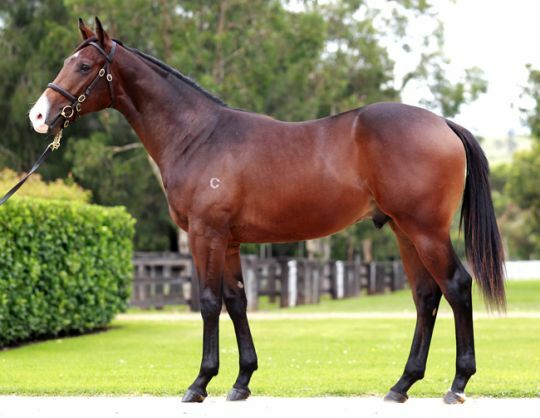 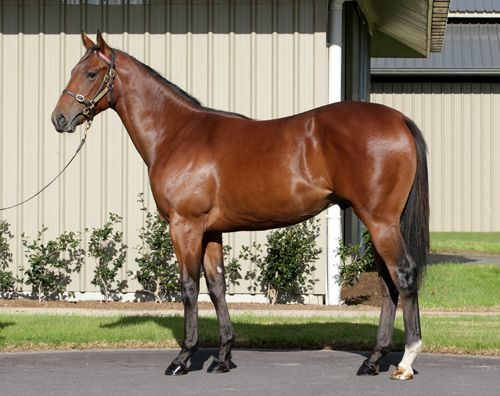 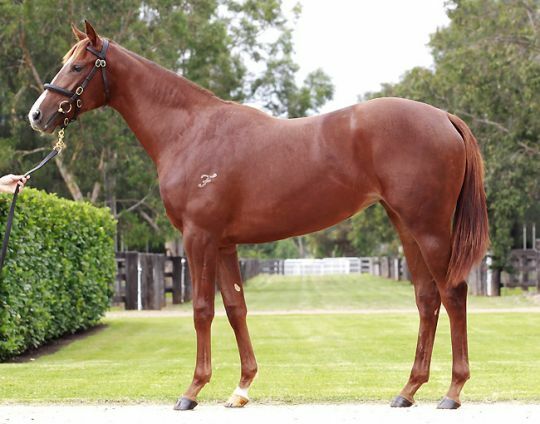 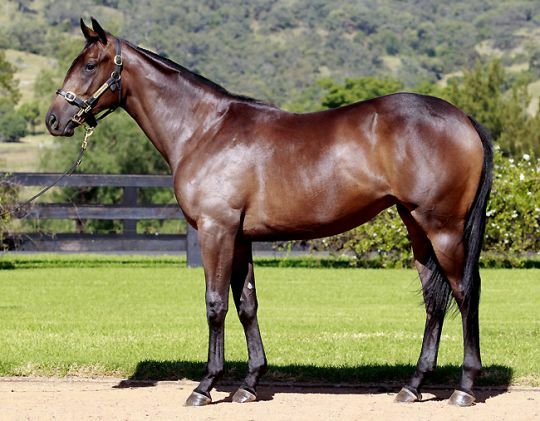 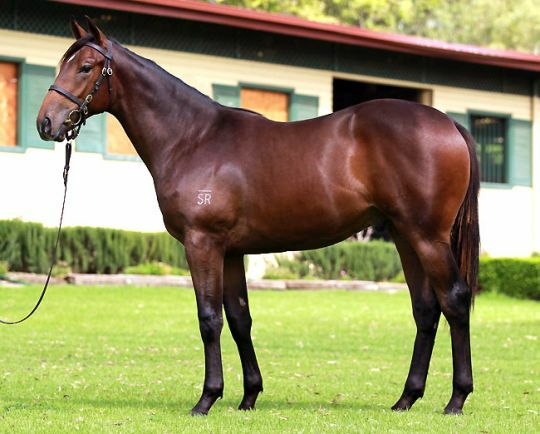 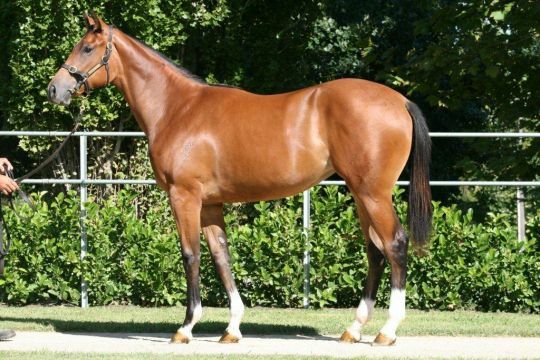 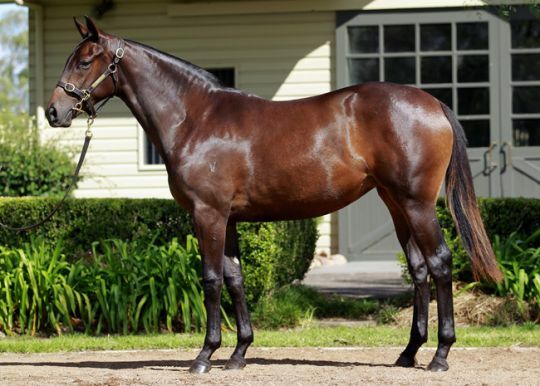 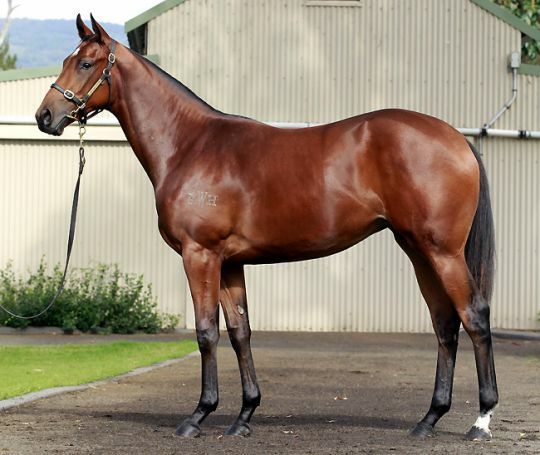 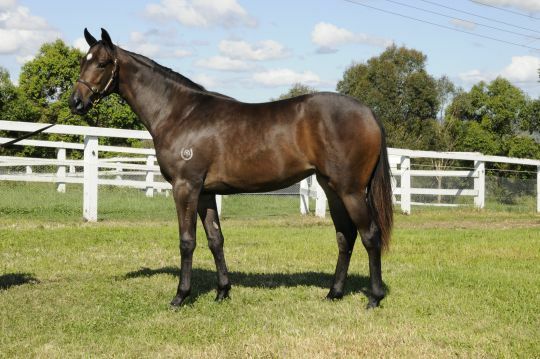 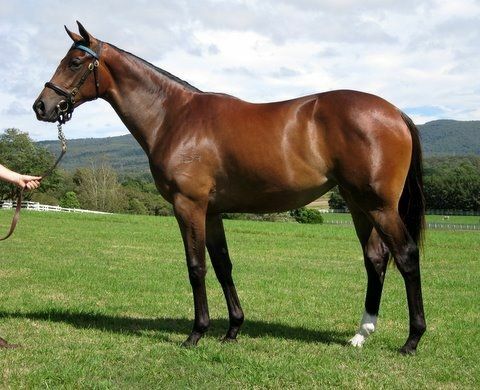 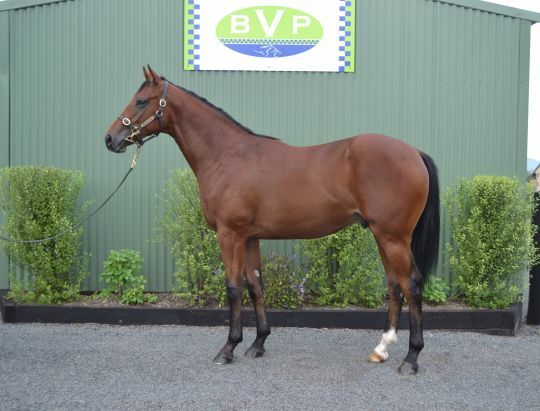 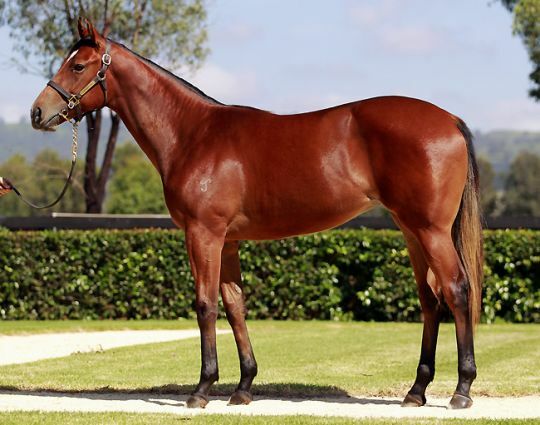 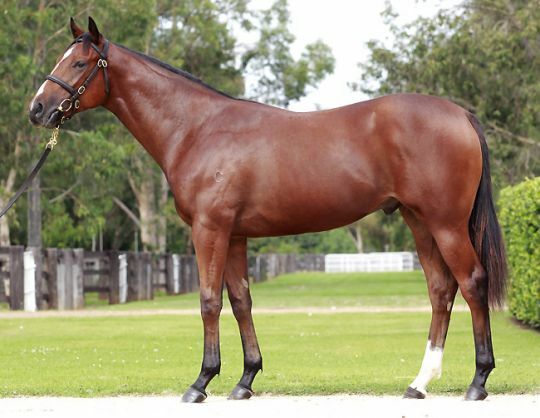 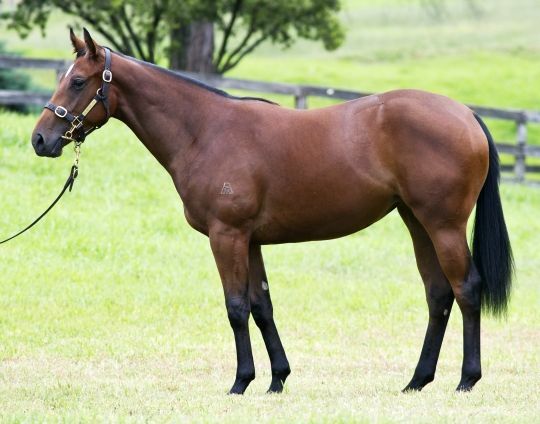 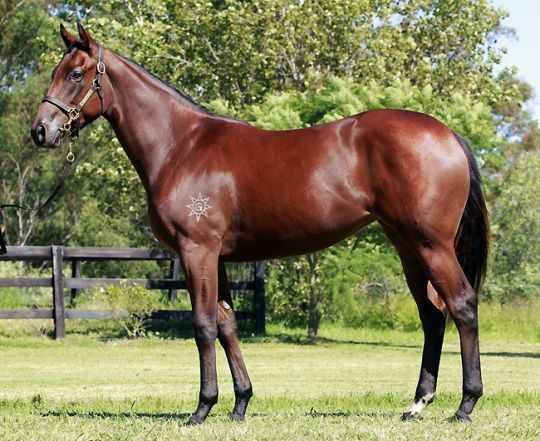 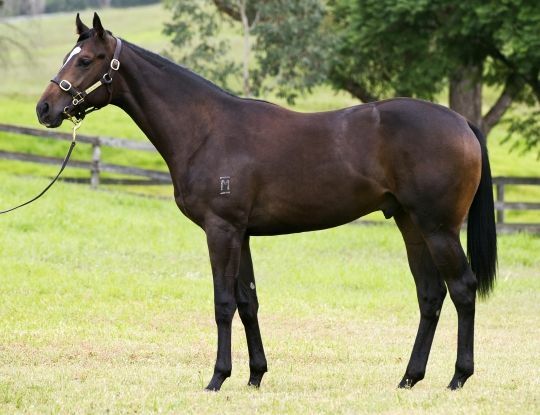 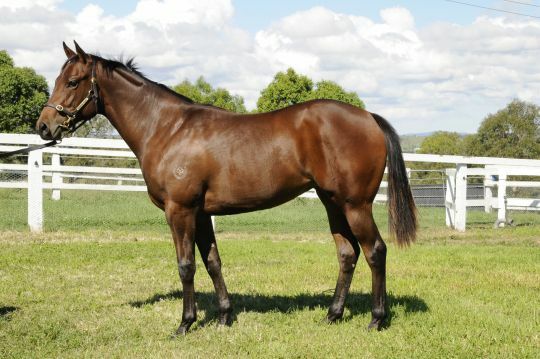 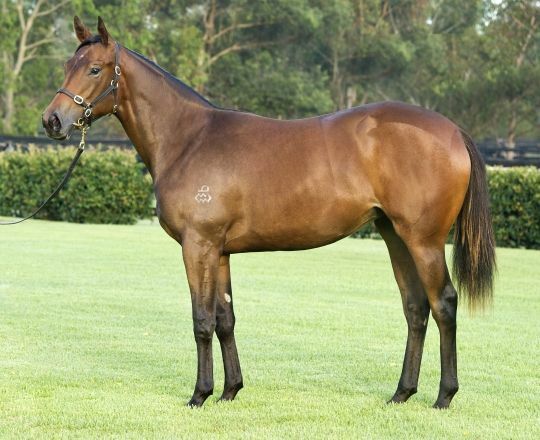 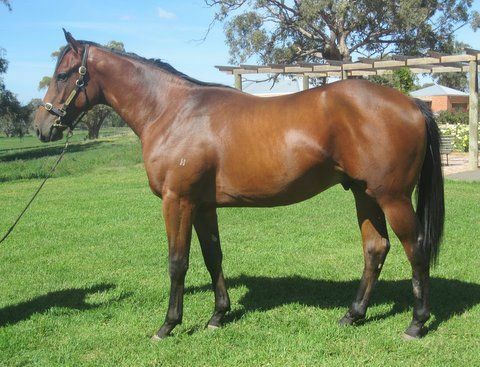 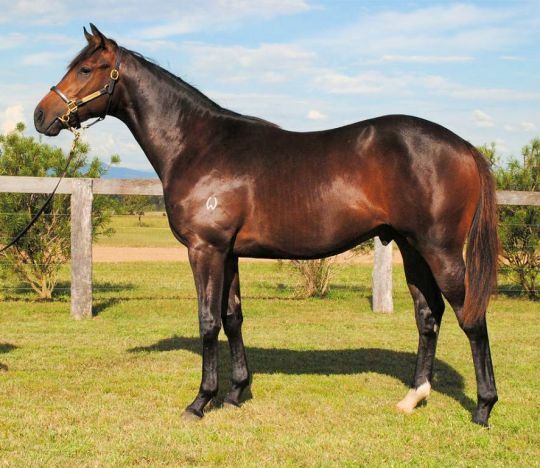 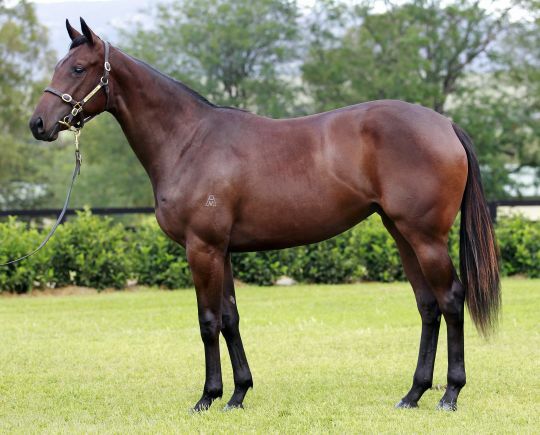 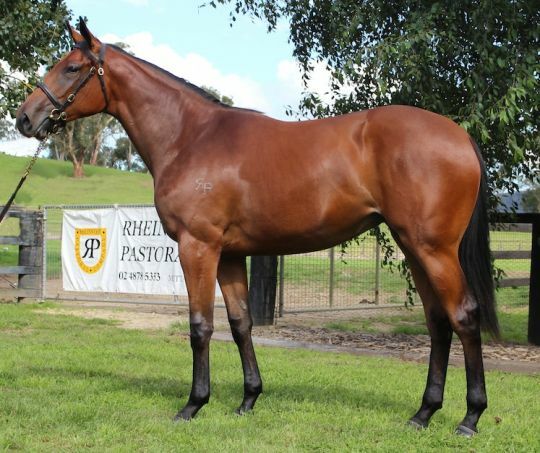 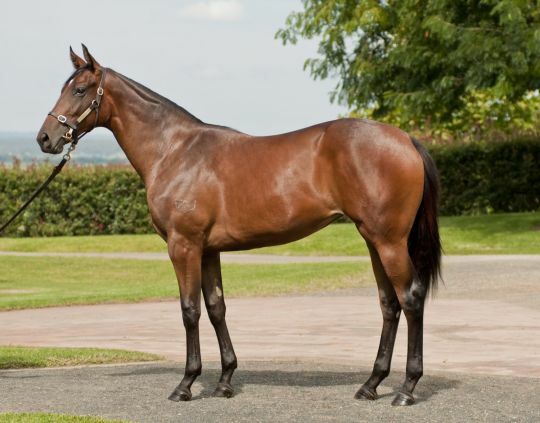 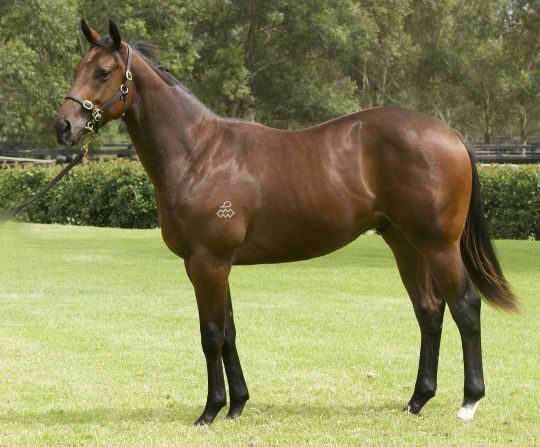 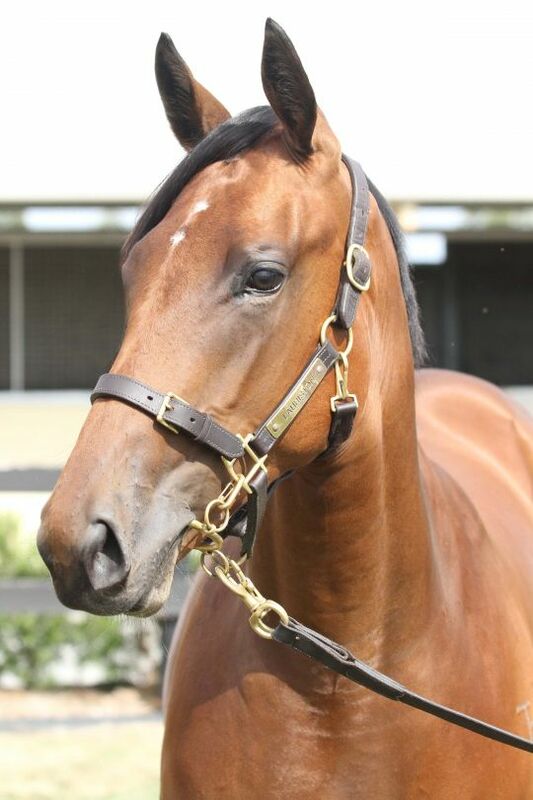 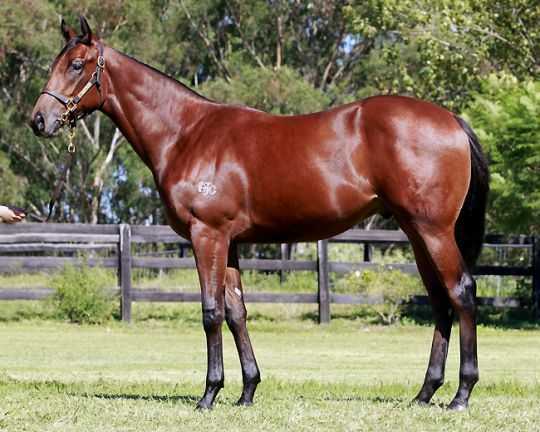 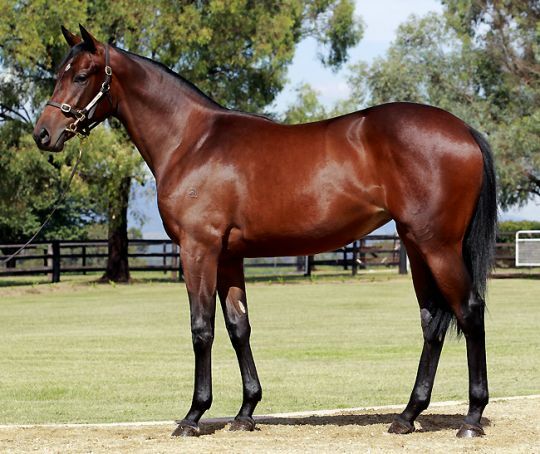 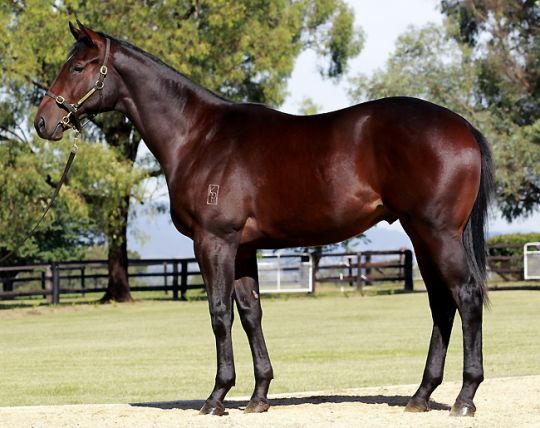 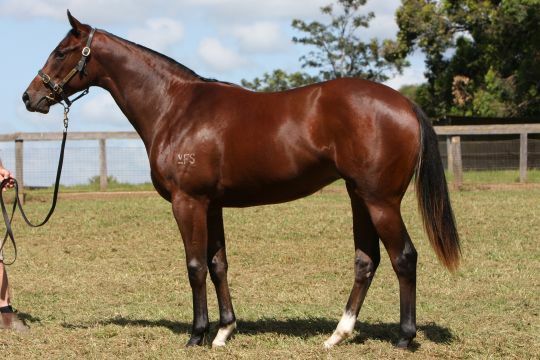 Newgate Farm’s Fastnet Rock colt from Catreign (Lot 94) made the early running when sold to Coolmore Stud’s Demi O’Byrne for an even $1million on Day One. 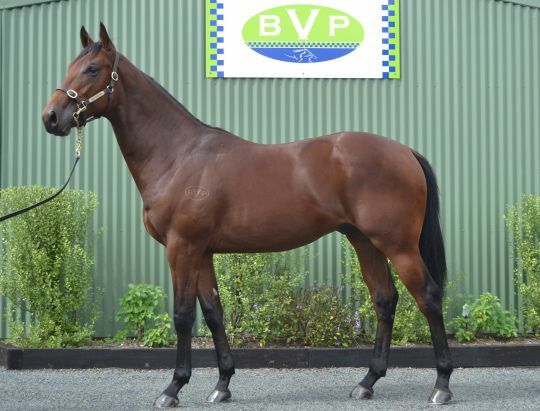 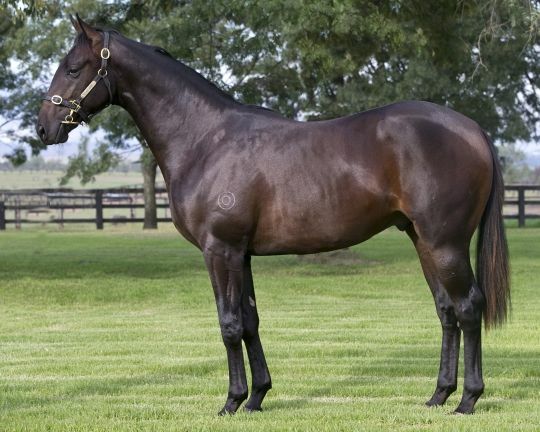 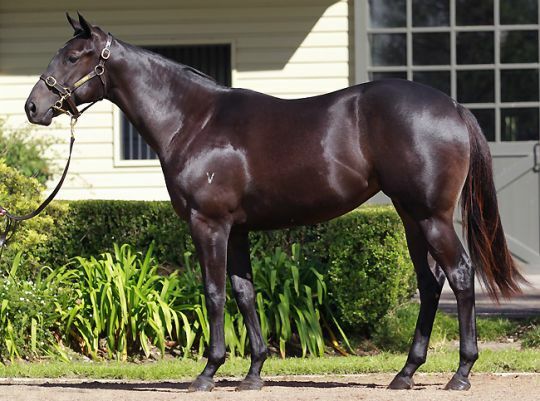 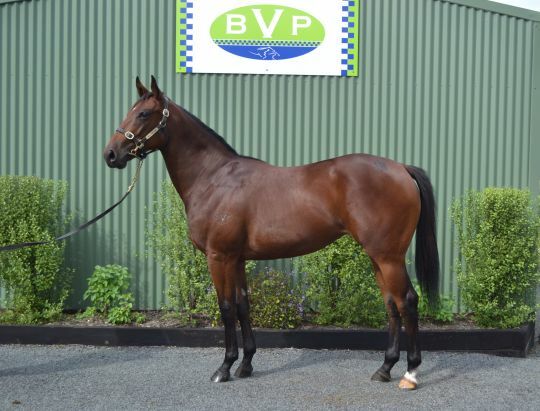 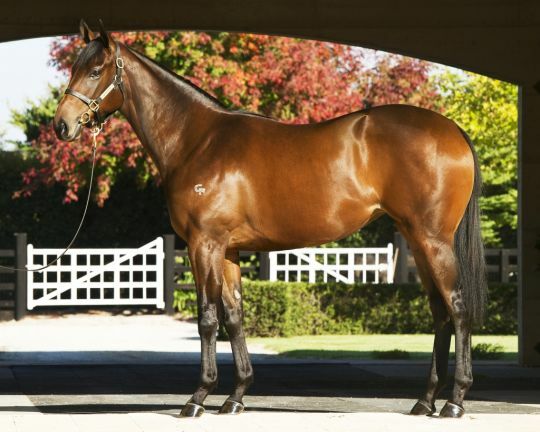 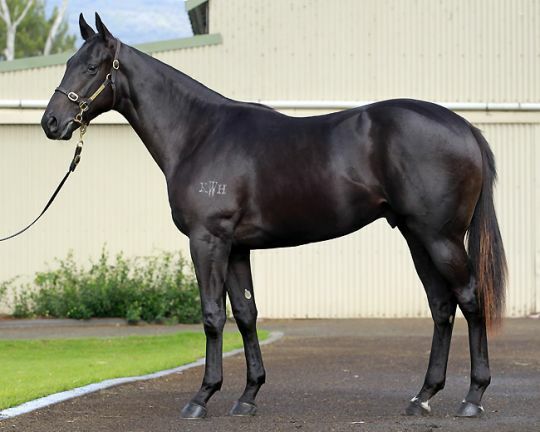 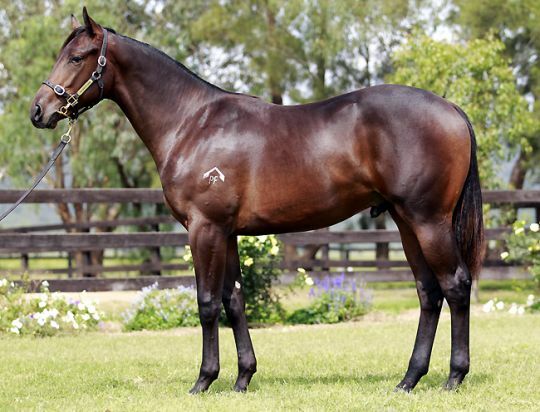 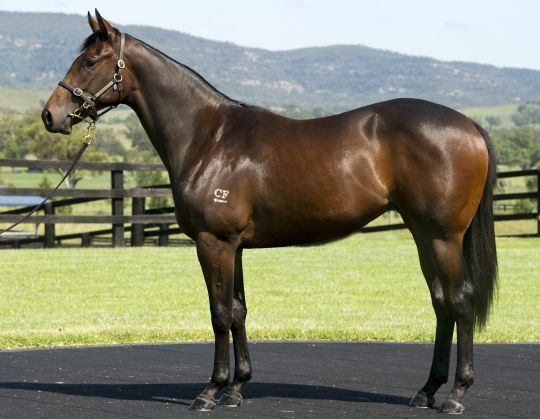 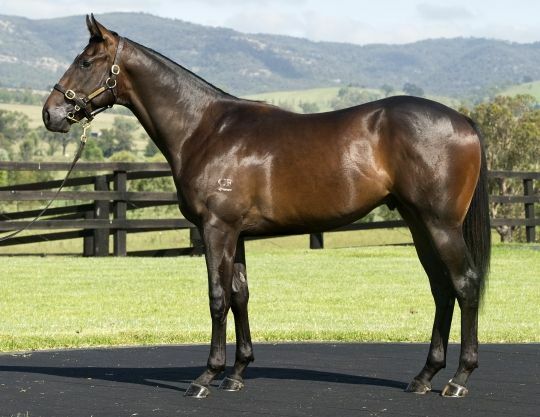 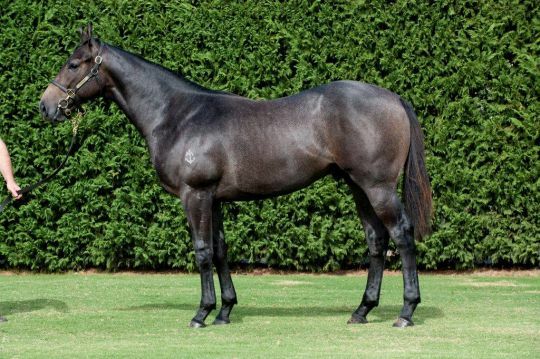 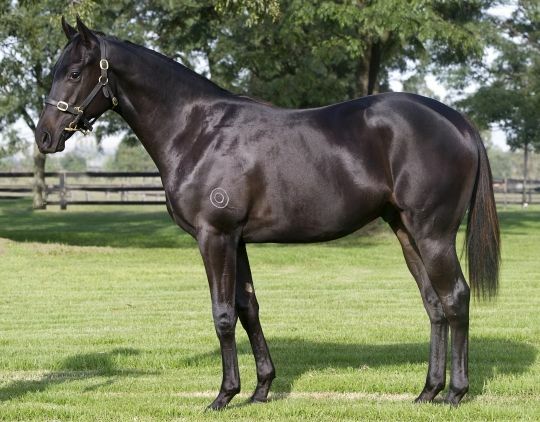 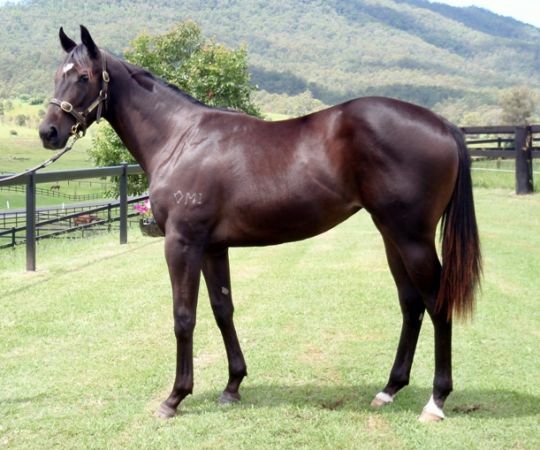 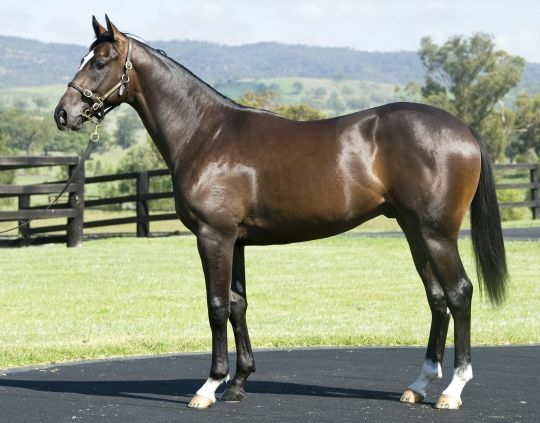 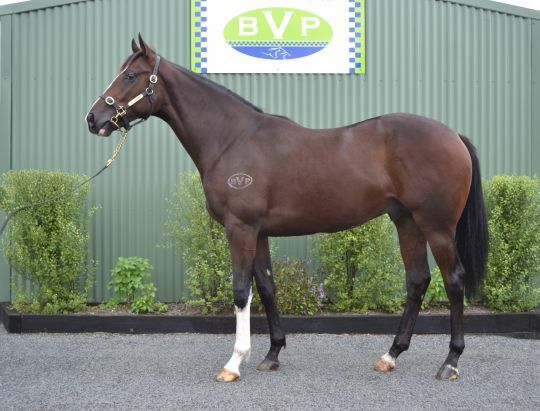 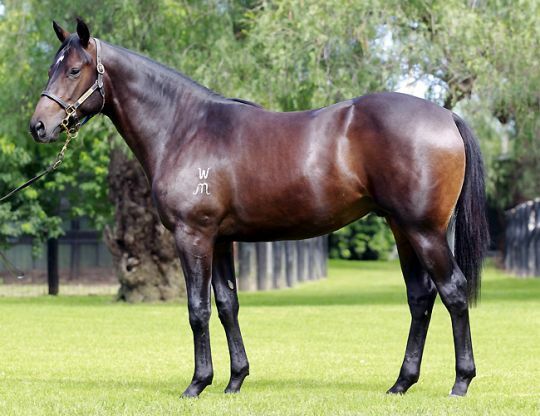 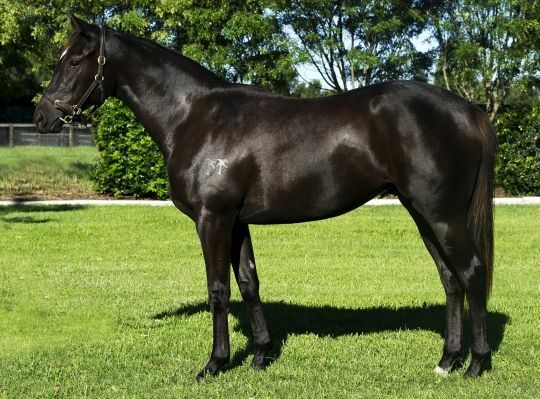 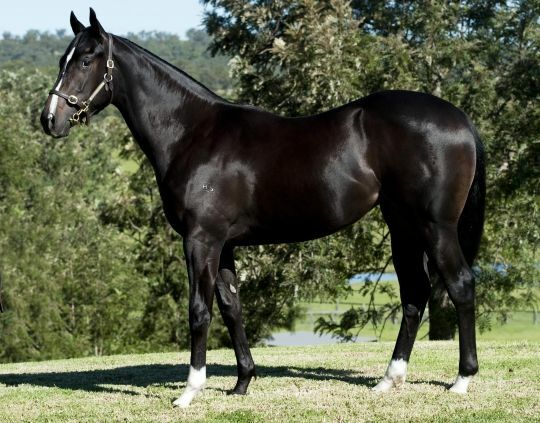 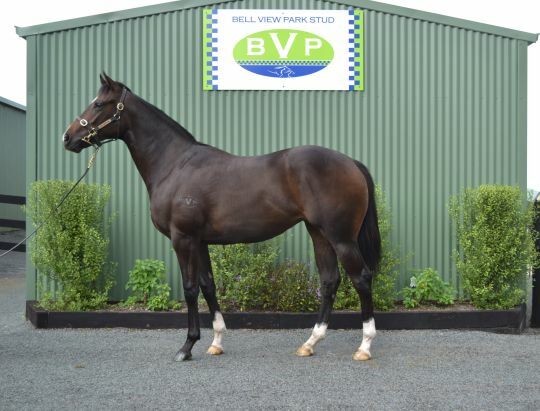 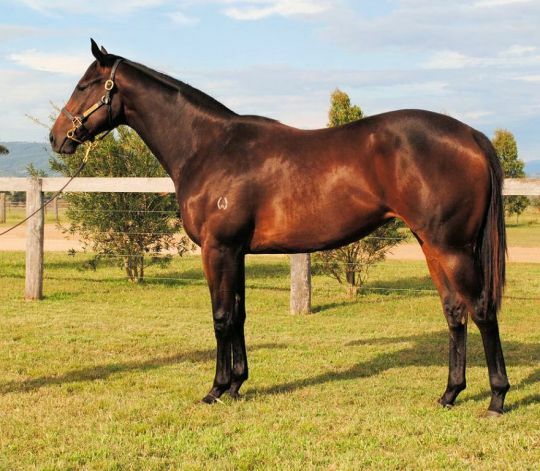 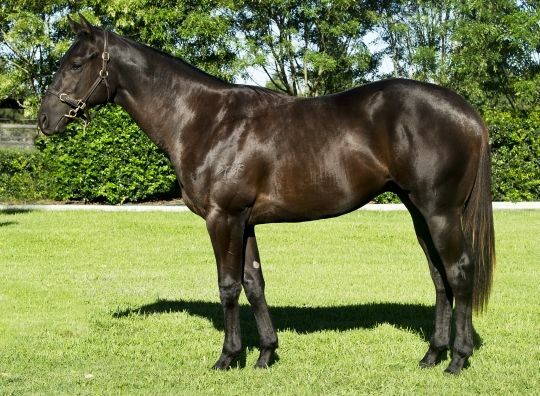 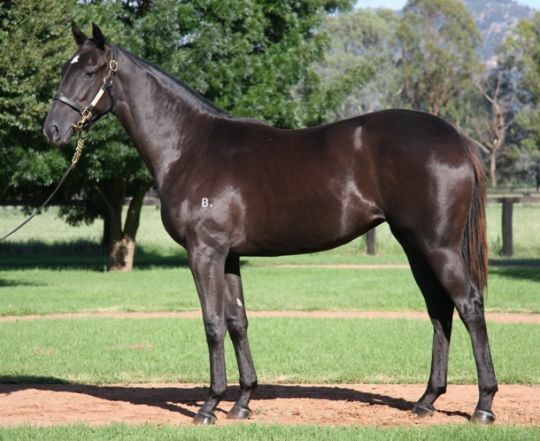 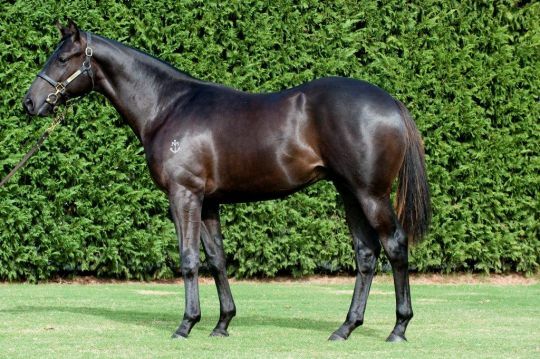 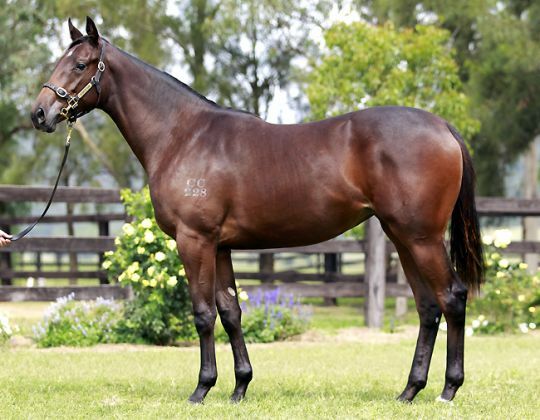 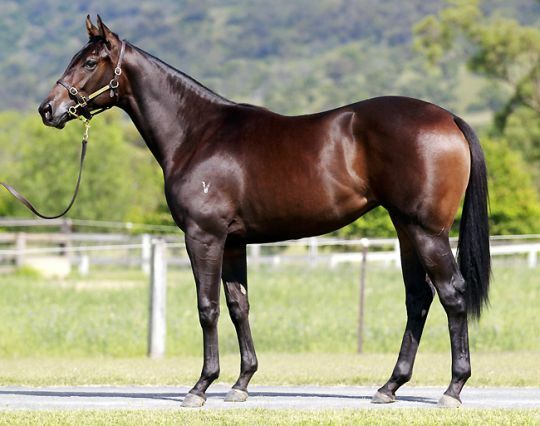 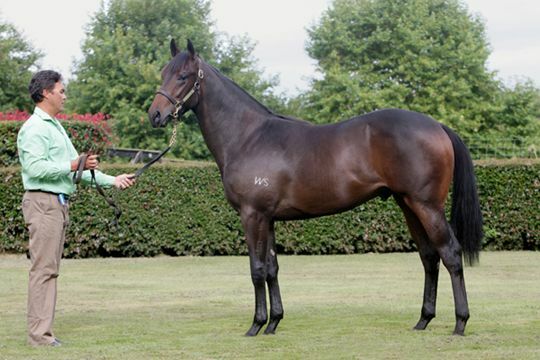 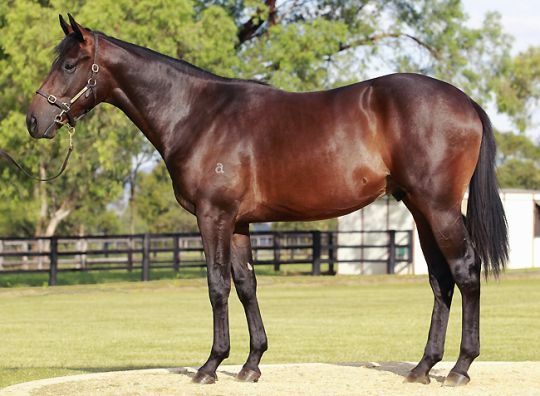 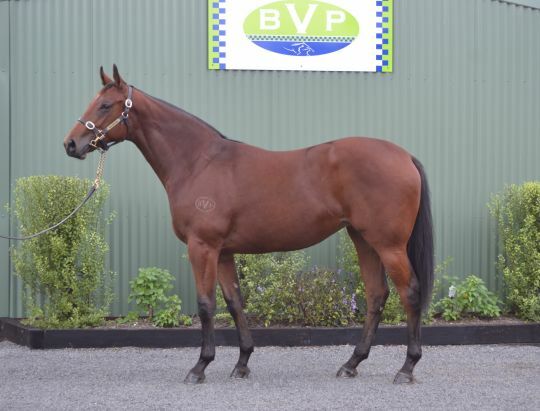 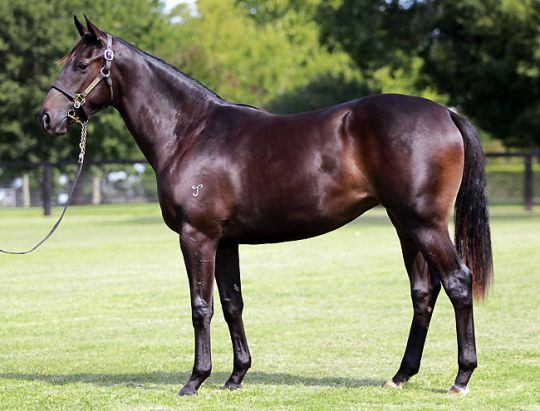 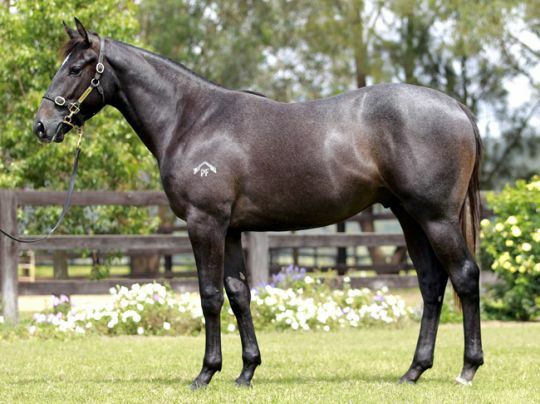 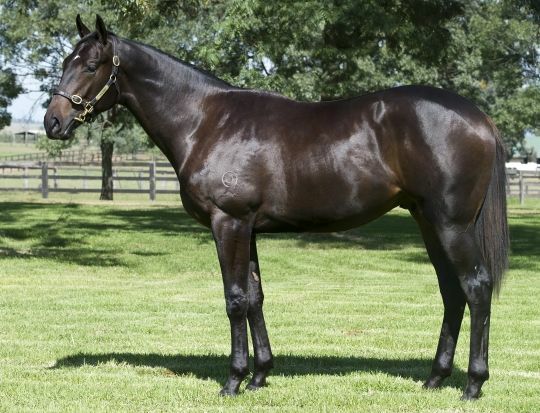 Trade increased on the second day of selling, with the yearling half-sister to World Champion Sprinter Black Caviar (Lot 200) recording to top price at the prestigious sale, when purchased by BC3 Thoroughbreds for $2.6million. 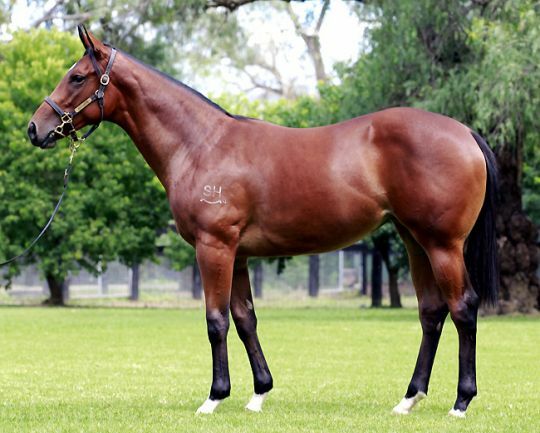 Makybe Diva’s half-brother by Street Cry (Lot 445) was the highlight of Day Three when sold to champion trainer Peter Moody for $1.2million. 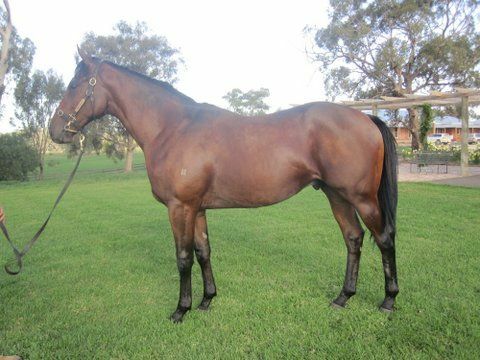 Session Two (Lots 452-579) also recorded the very strong clearance rate of 83%, with 88 sold at an average of $73,648 and median of $55,000. 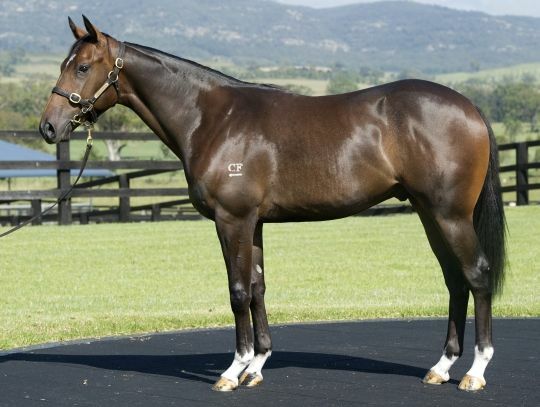 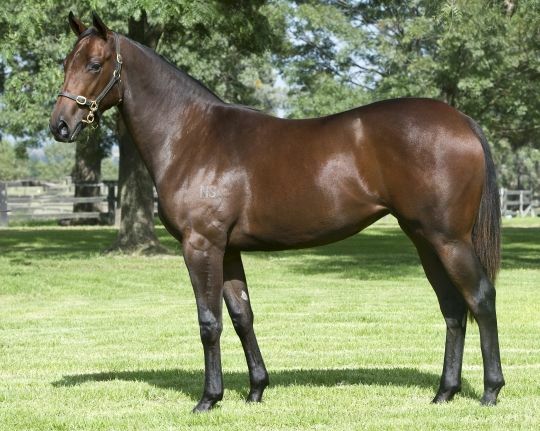 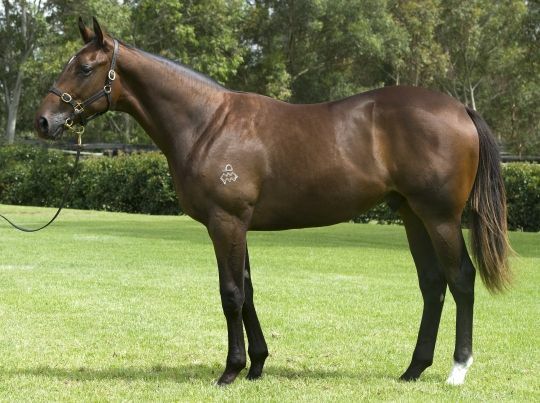 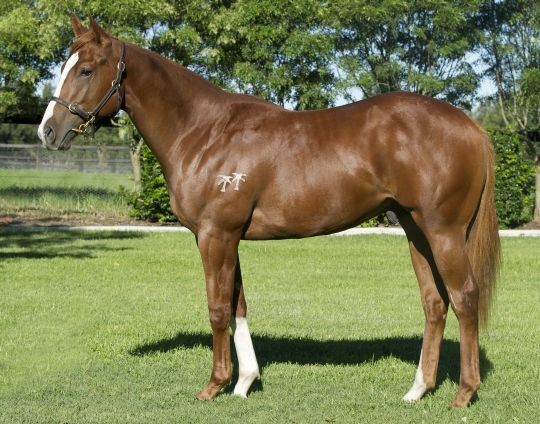 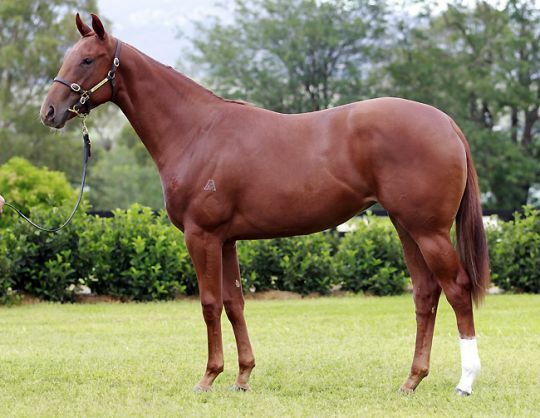 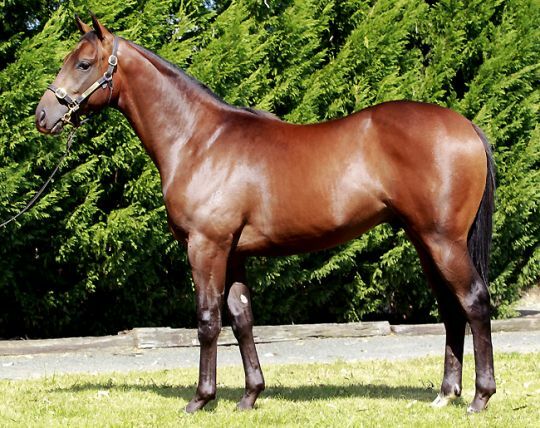 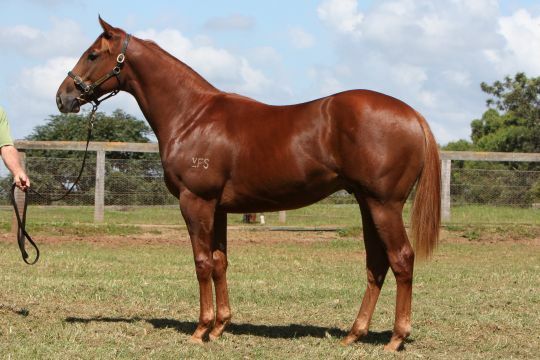 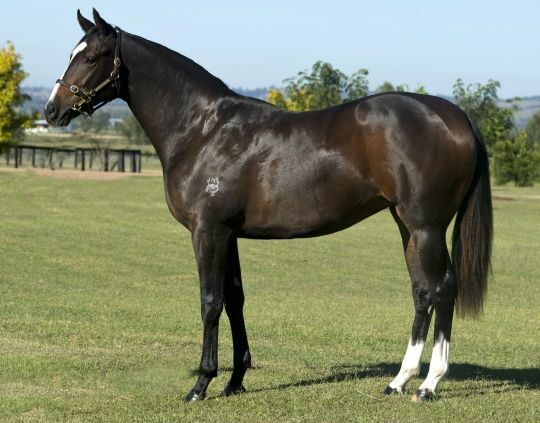 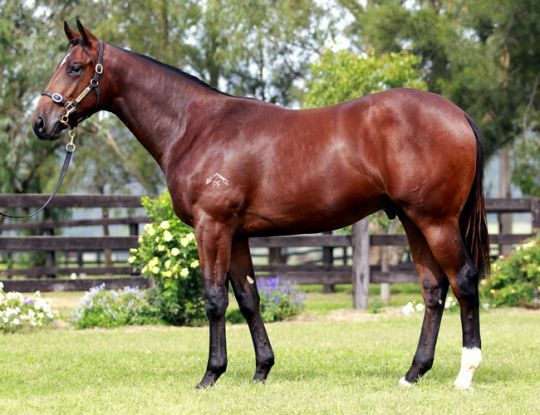 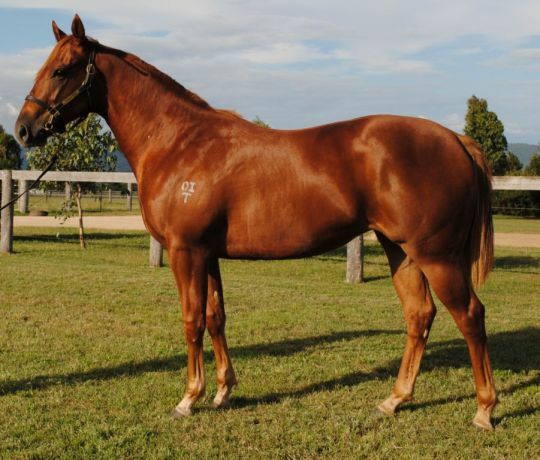 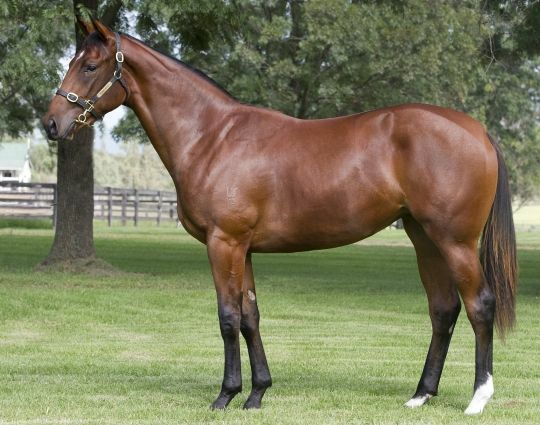 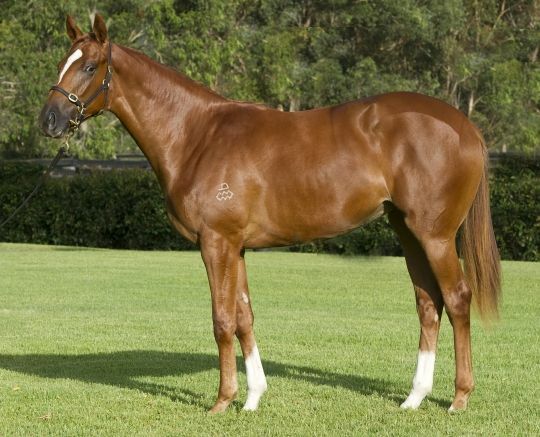 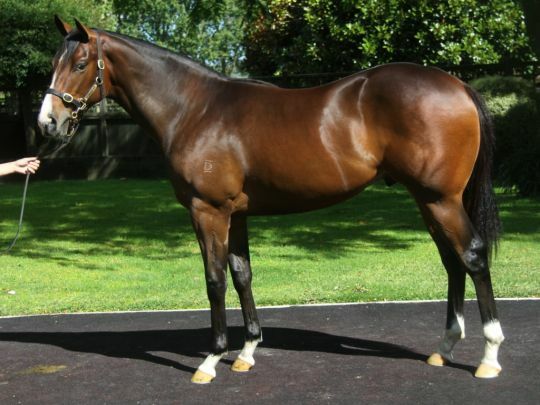 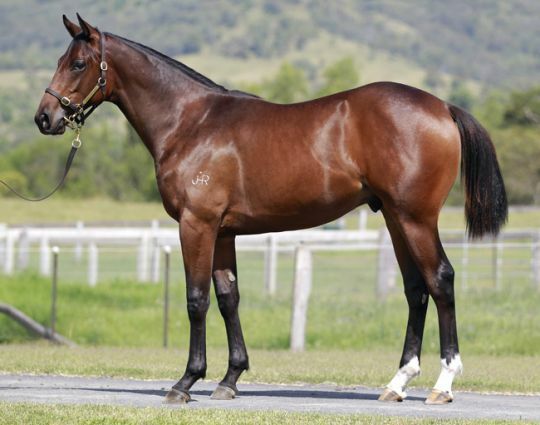 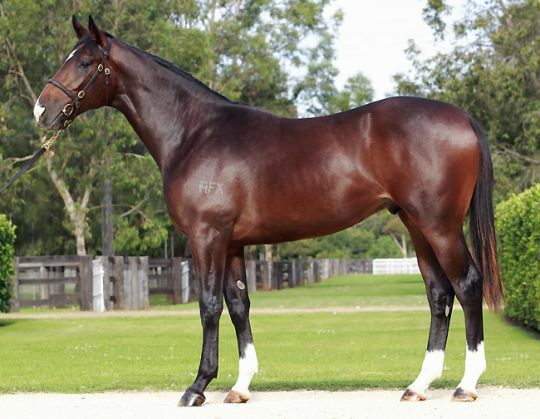 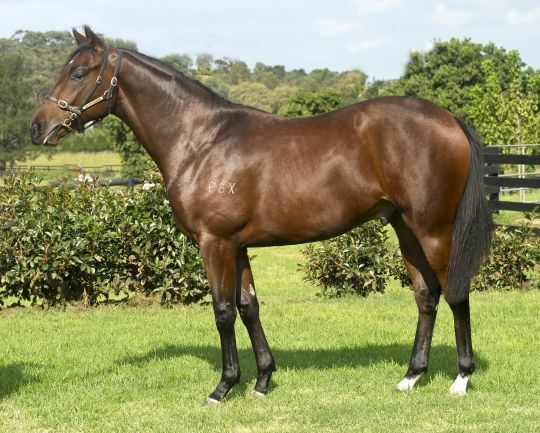 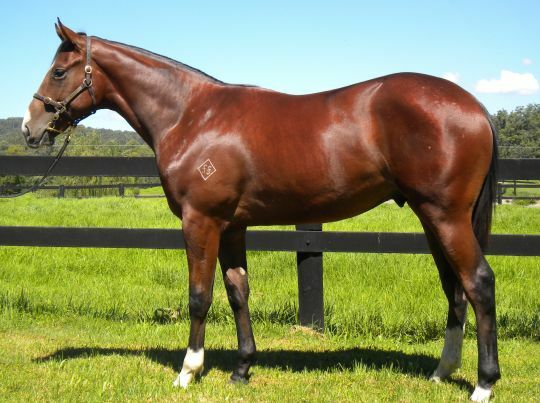 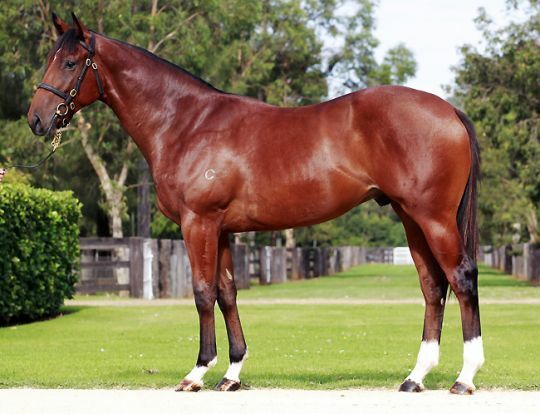 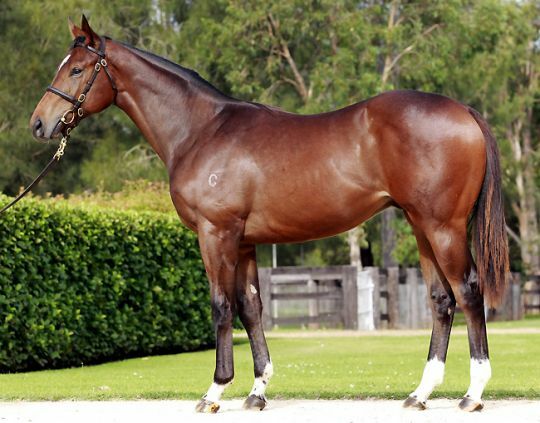 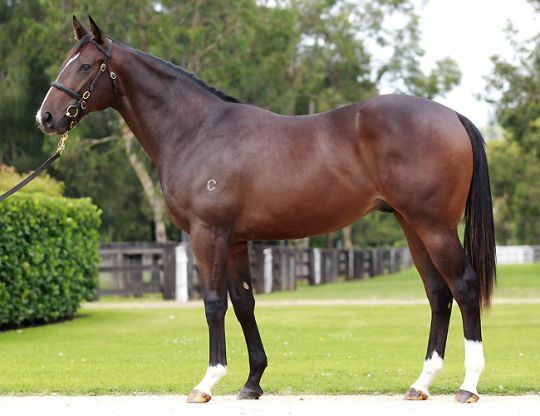 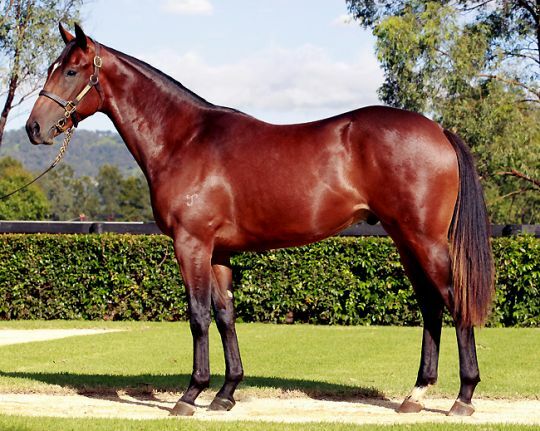 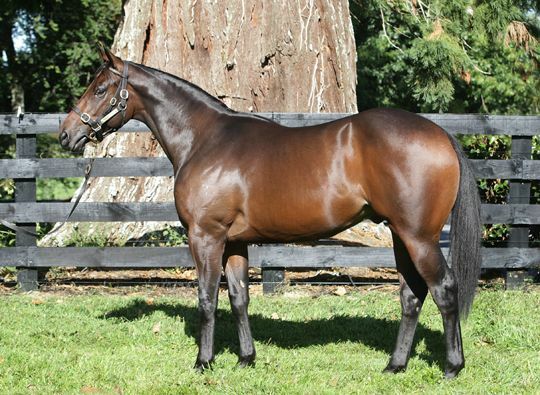 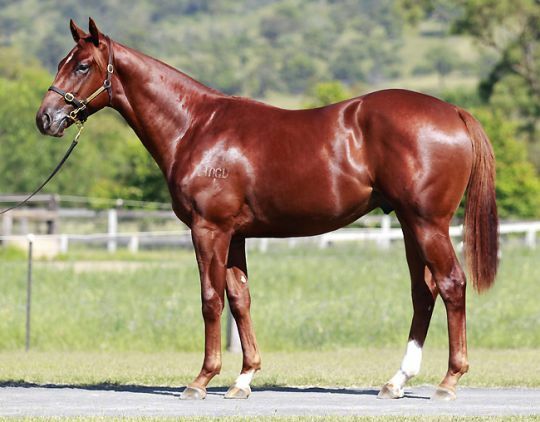 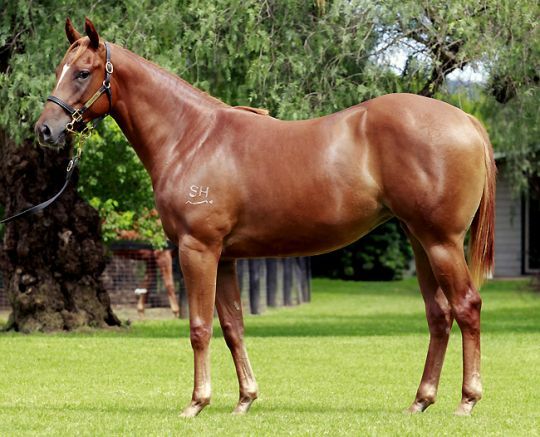 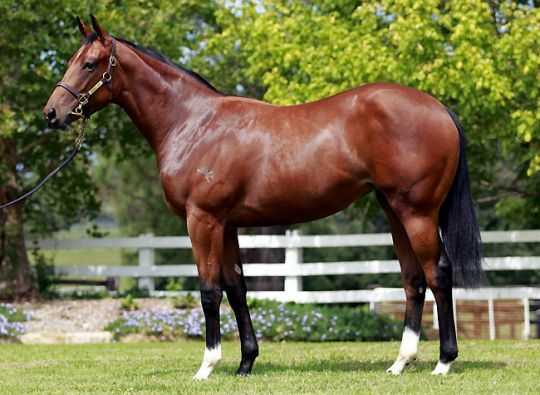 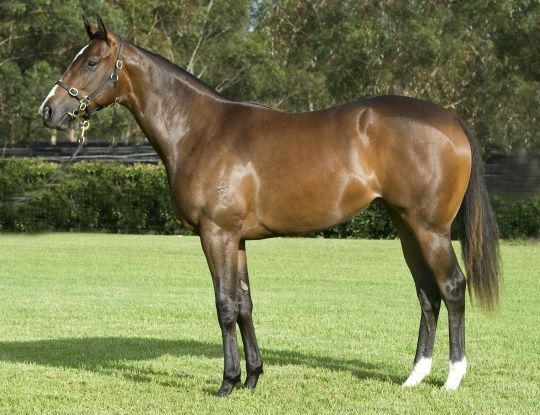 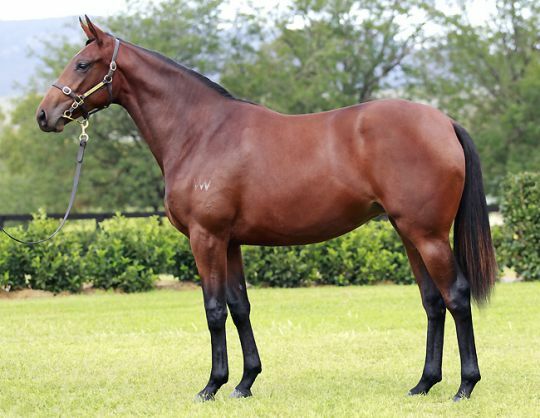 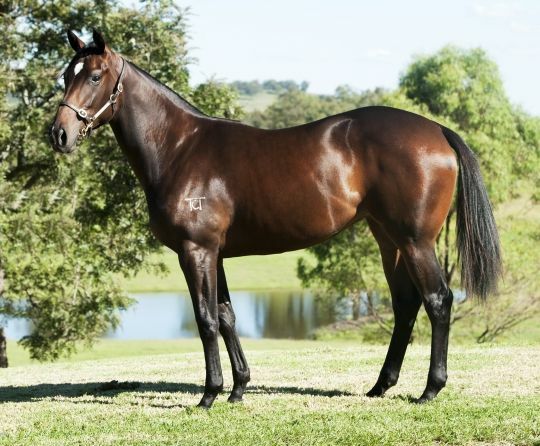 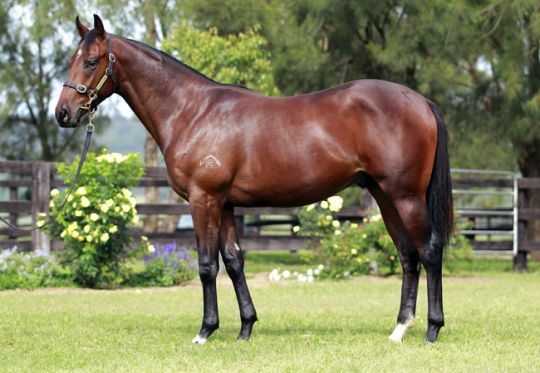 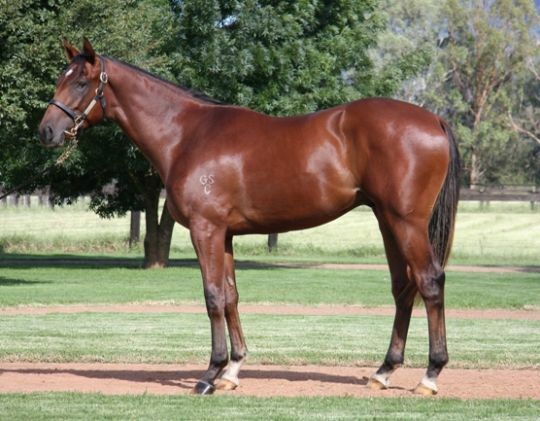 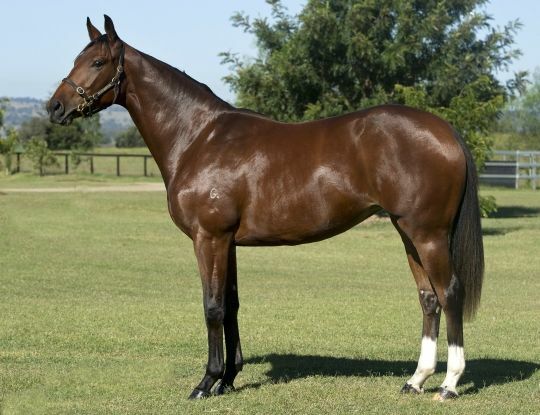 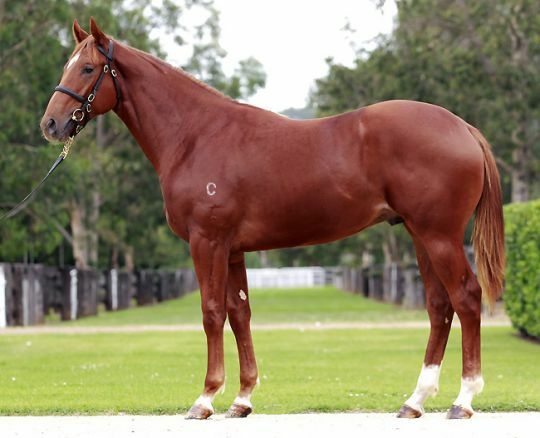 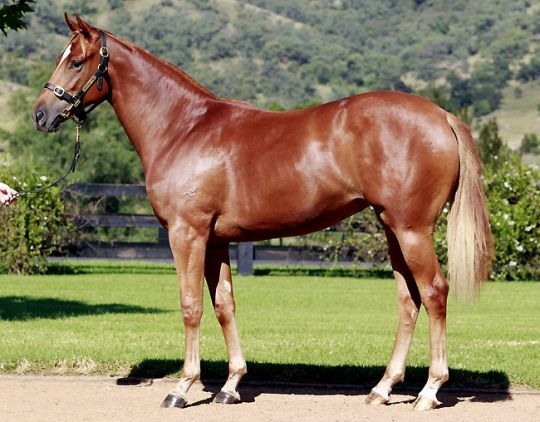 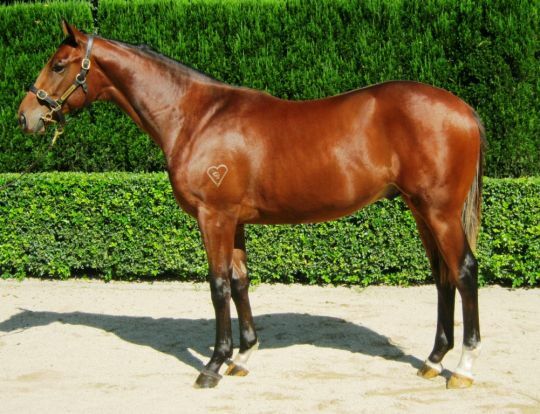 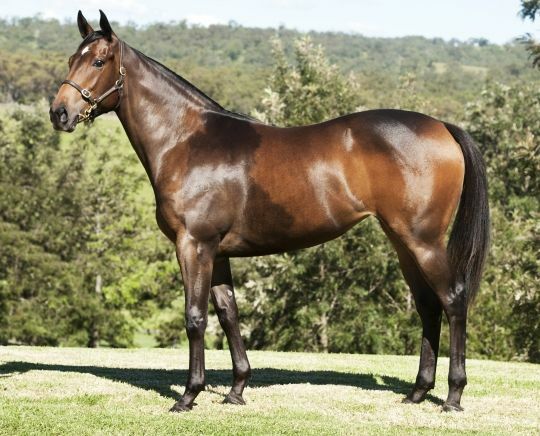 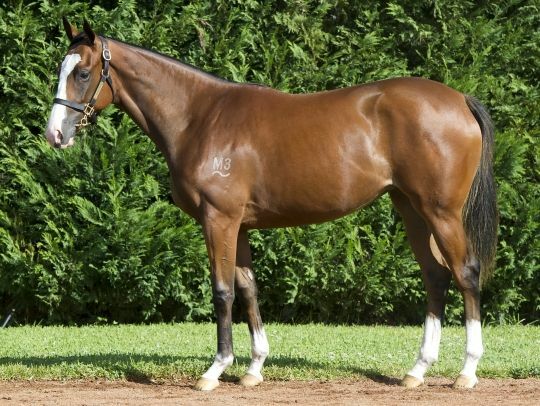 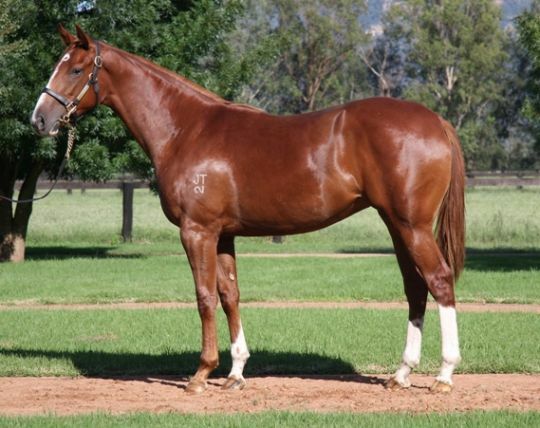 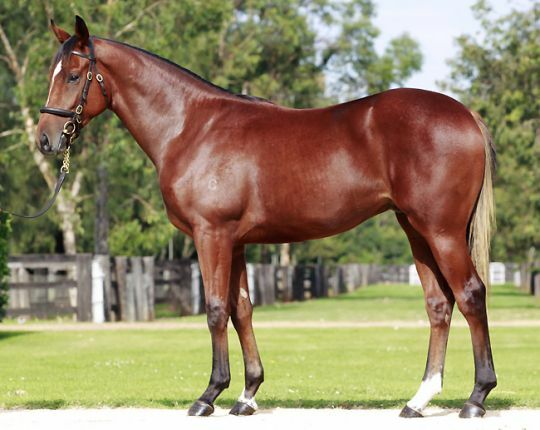 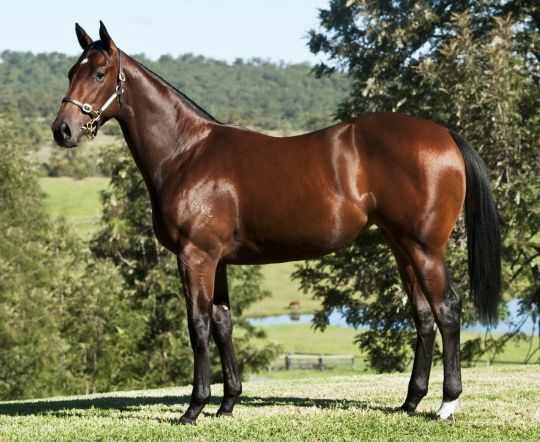 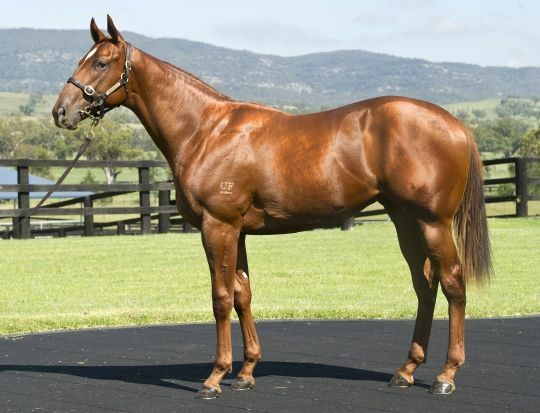 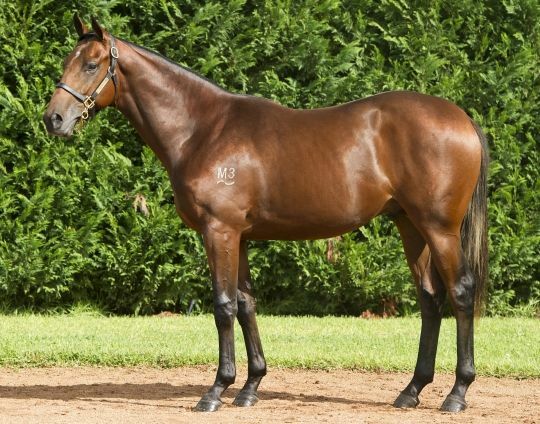 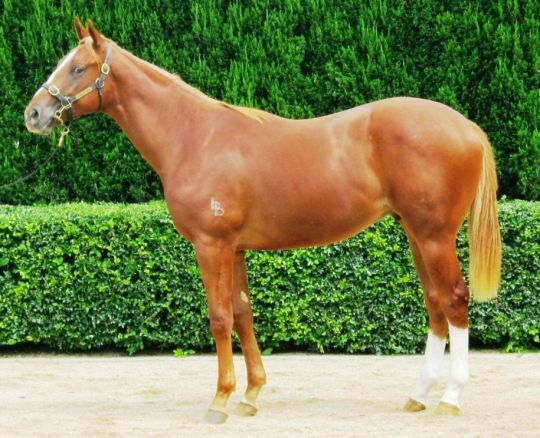 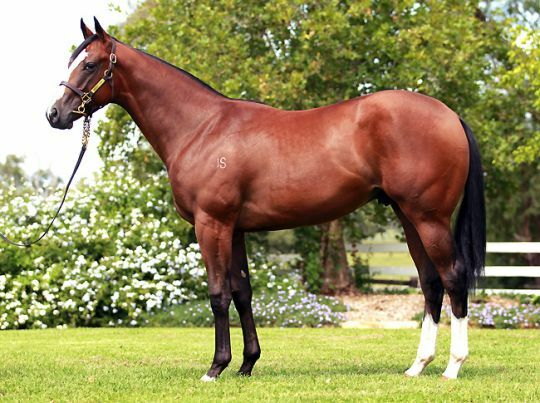 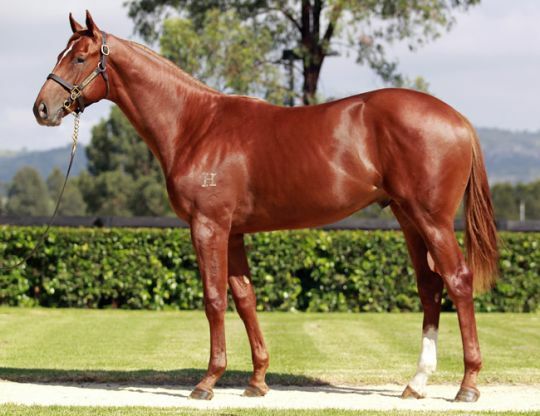 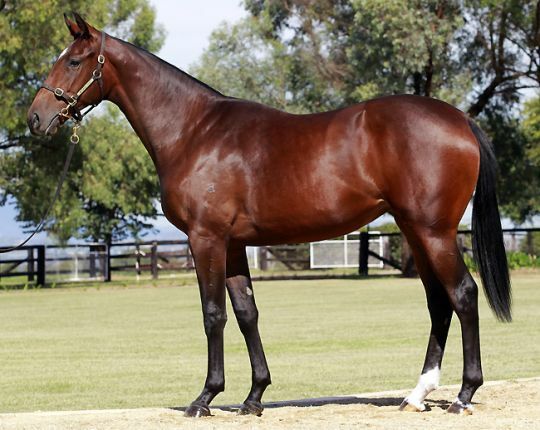 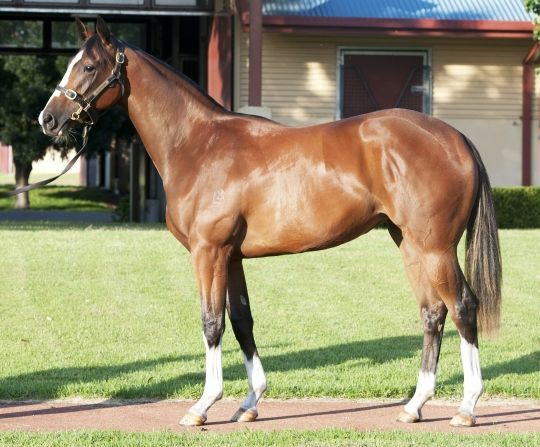 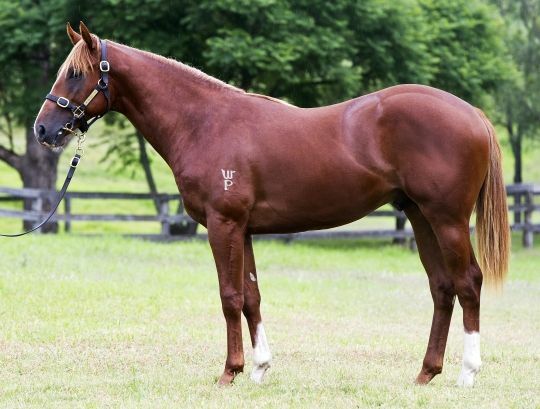 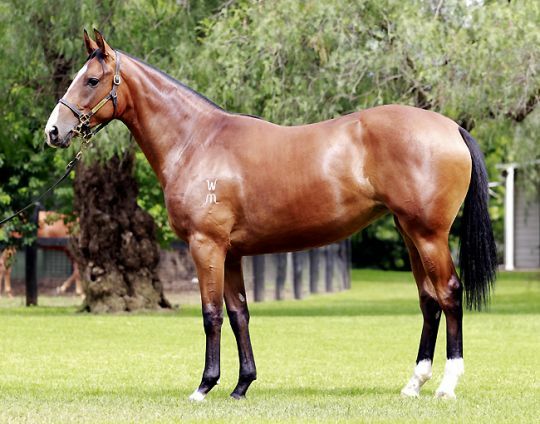 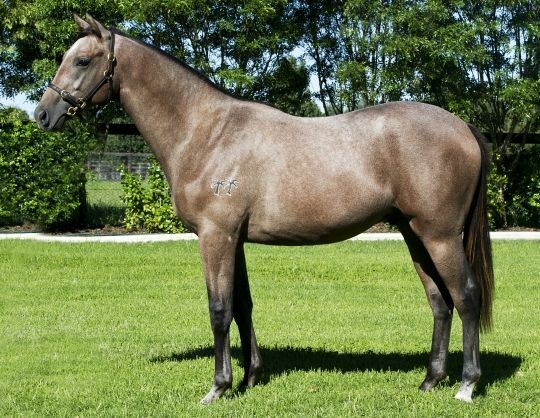 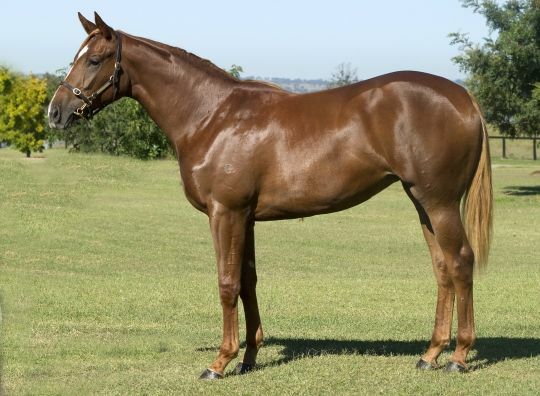 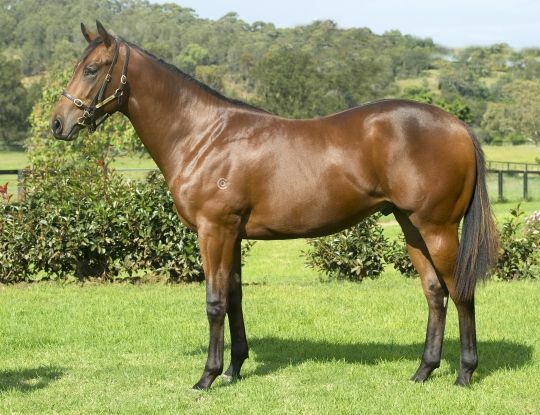 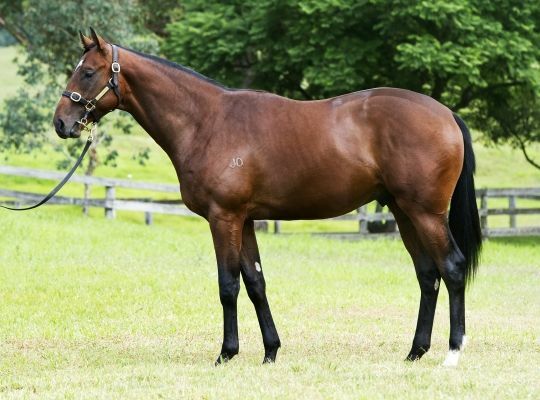 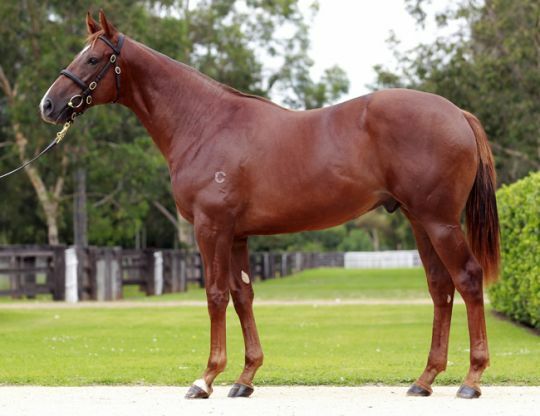 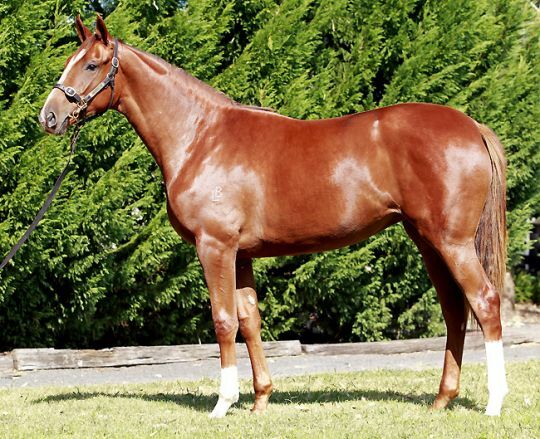 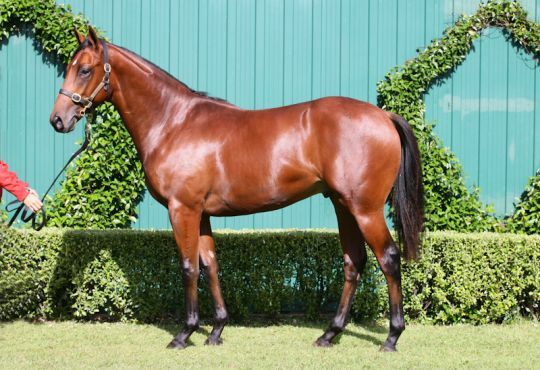 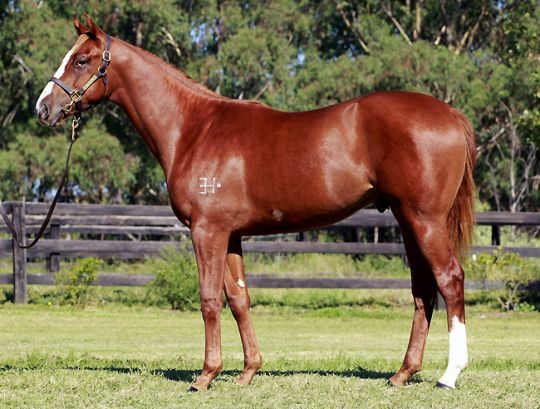 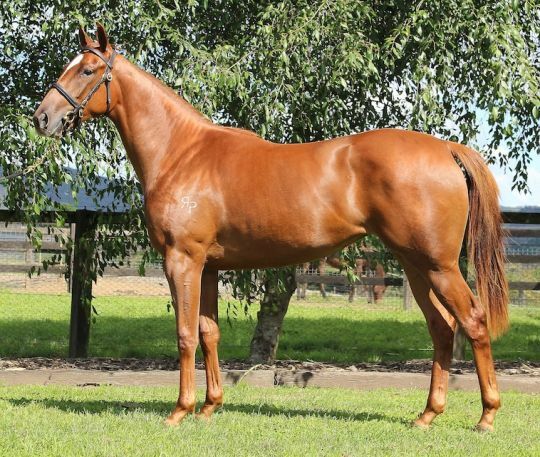 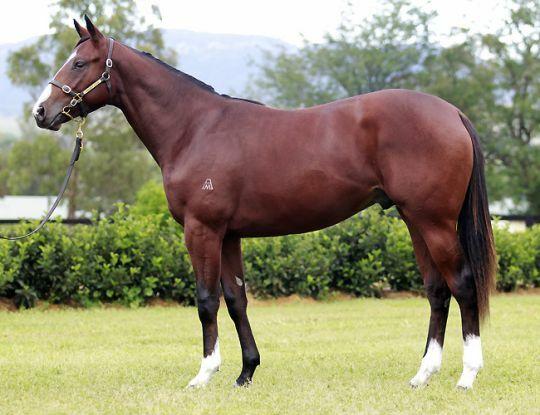 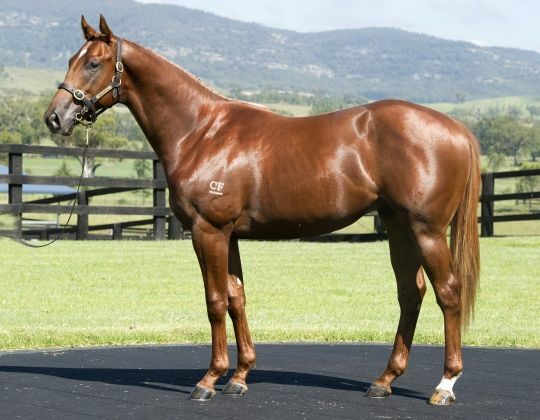 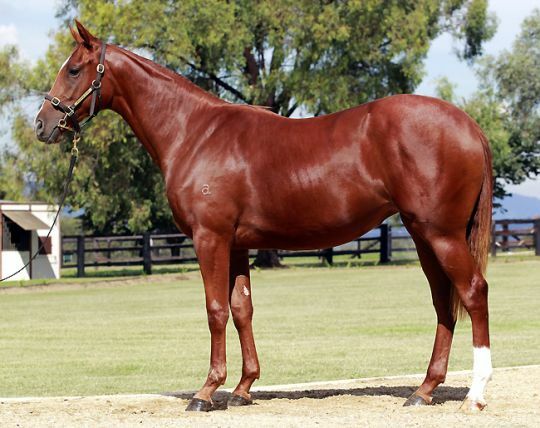 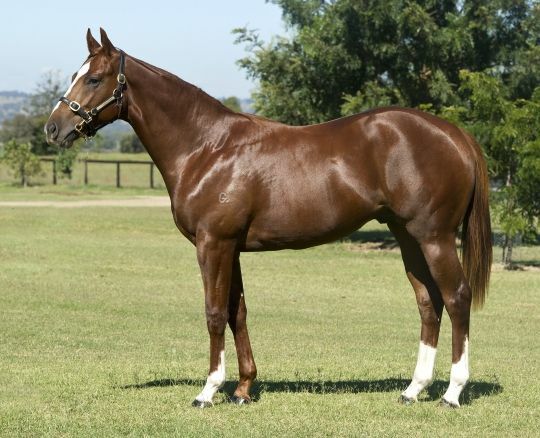 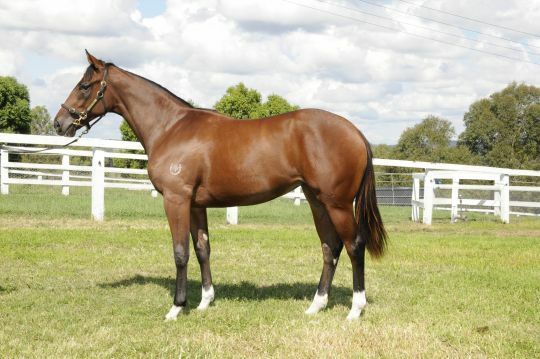 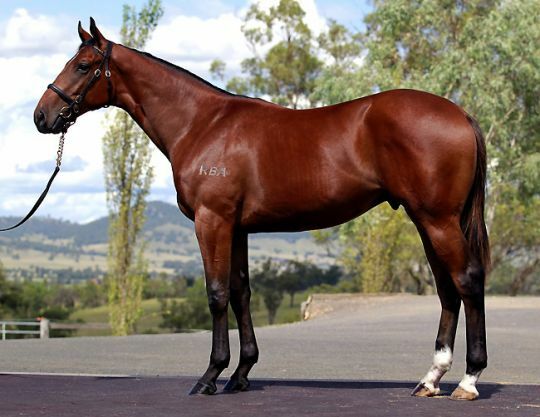 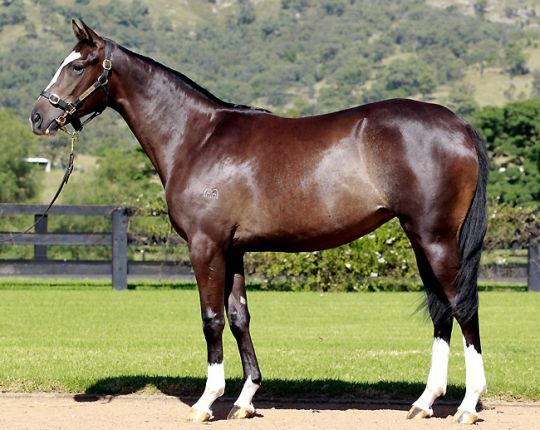 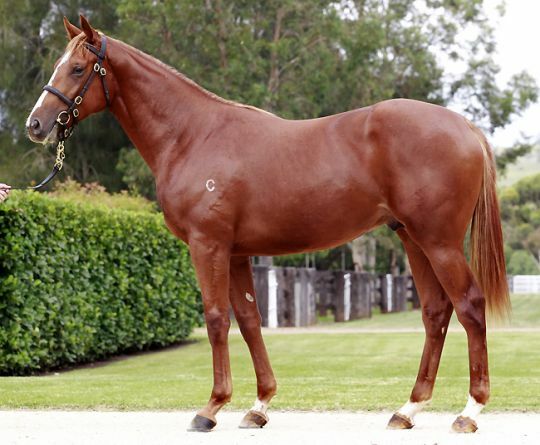 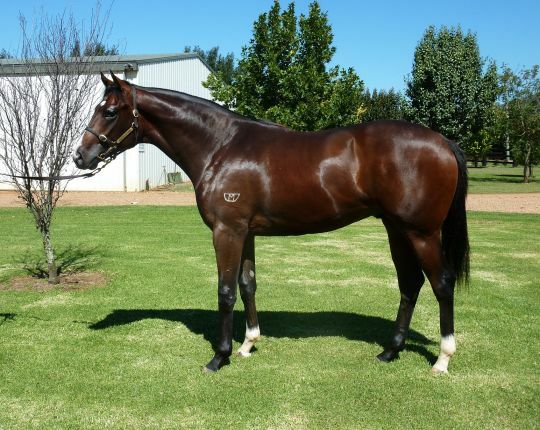 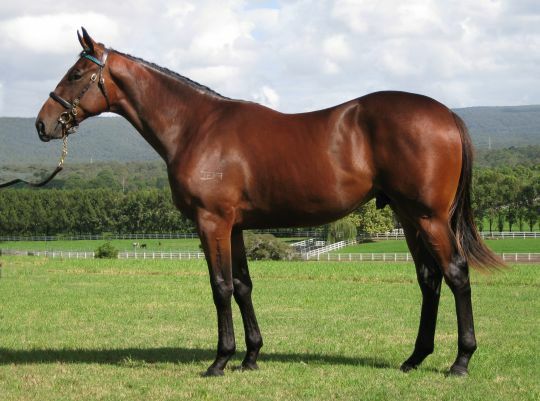 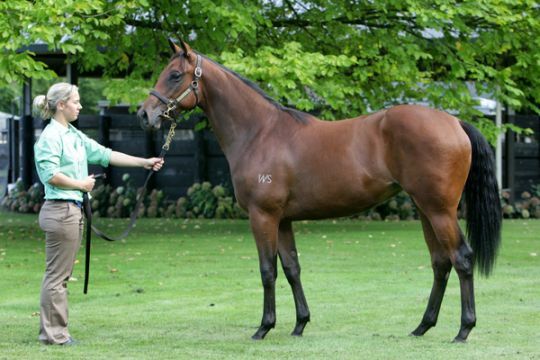 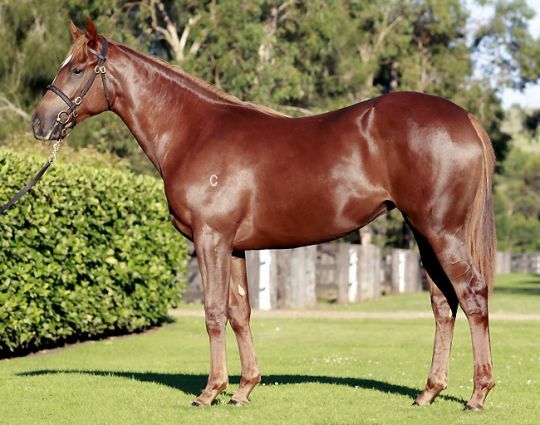 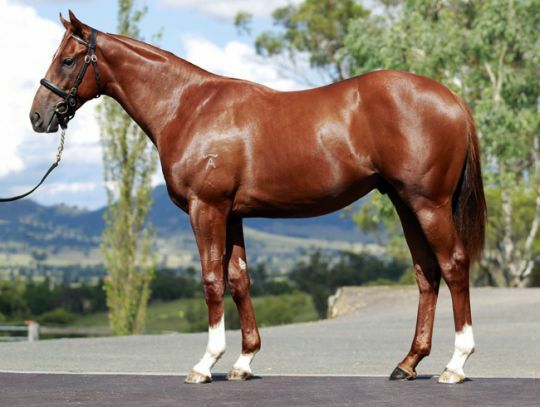 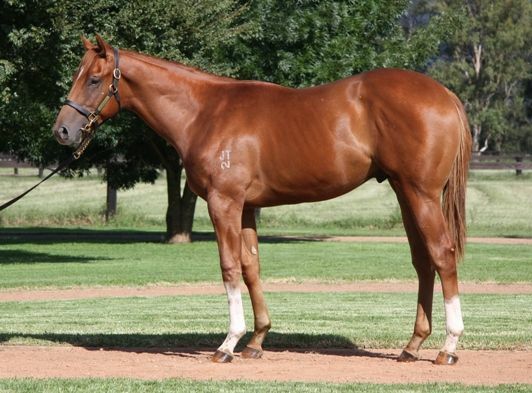 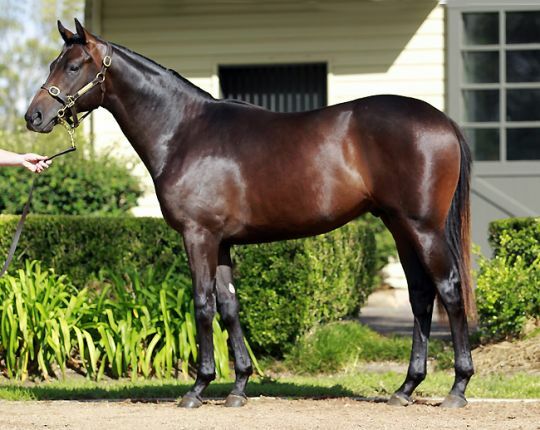 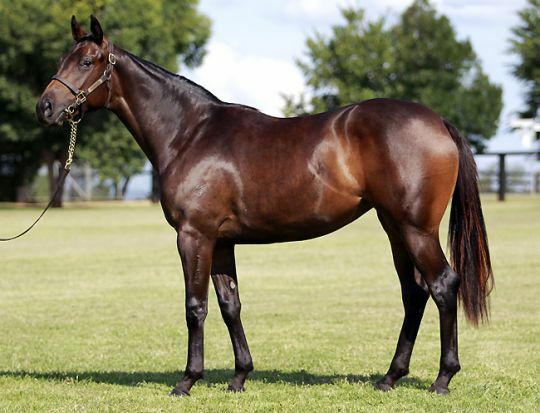 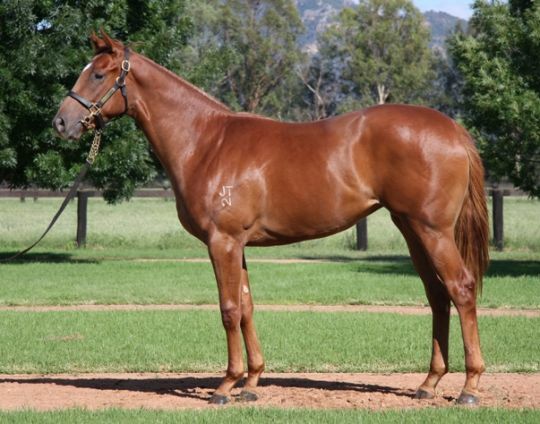 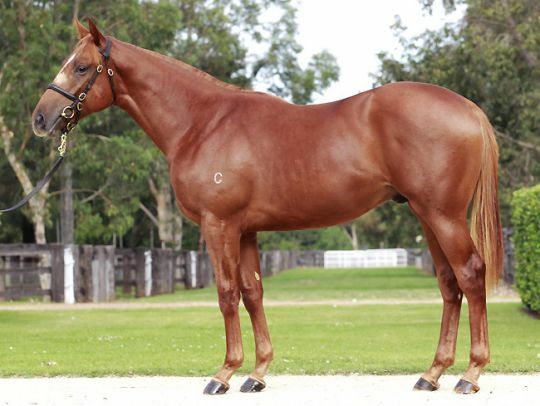 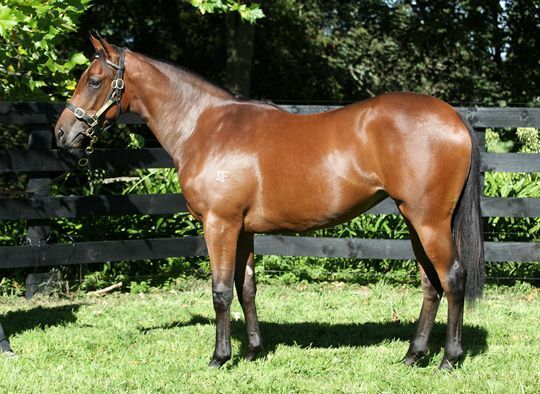 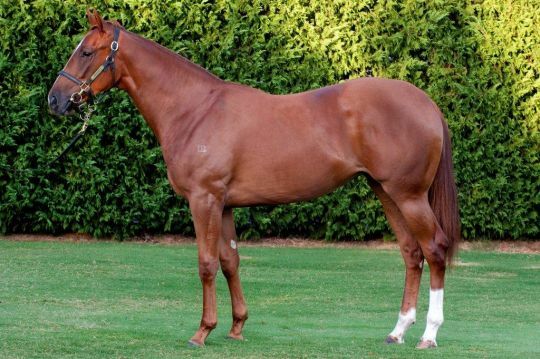 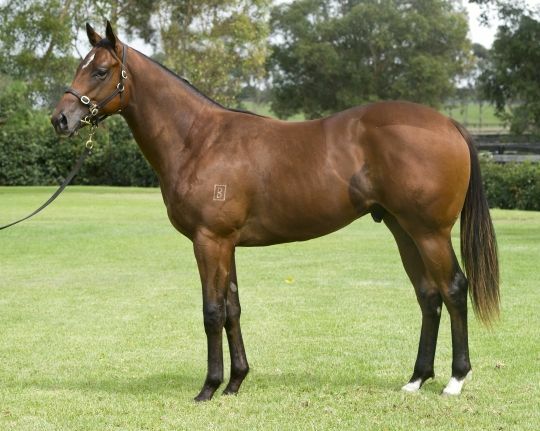 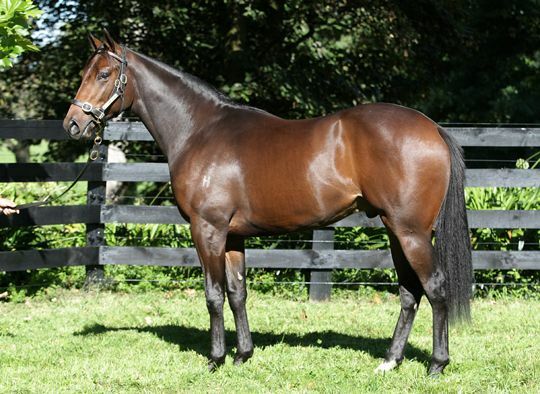 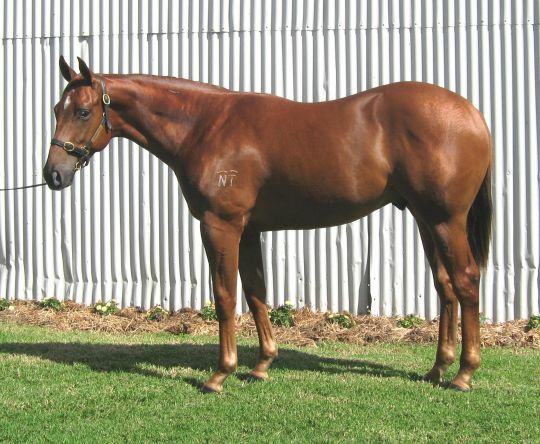 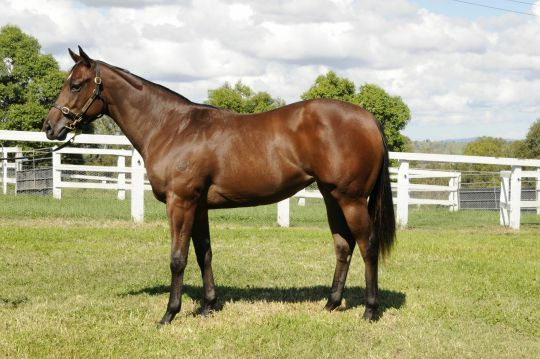 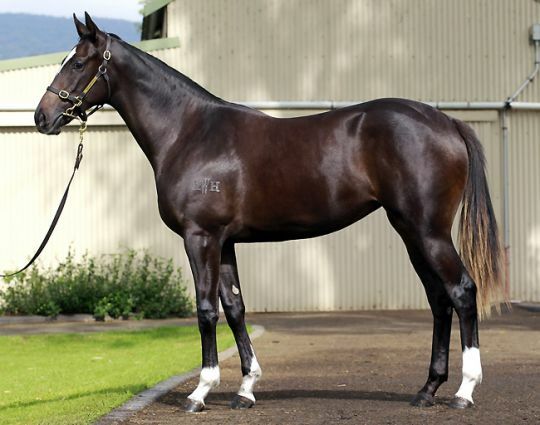 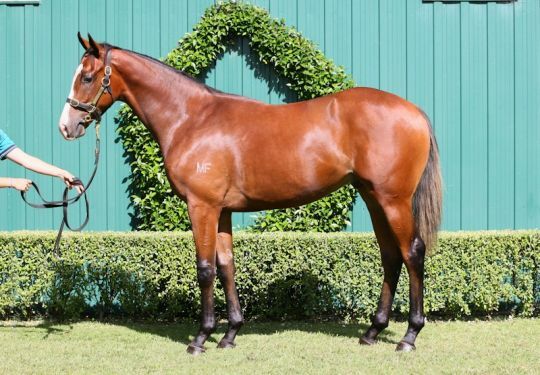 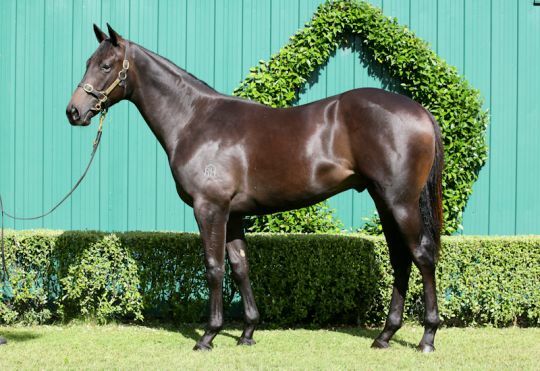 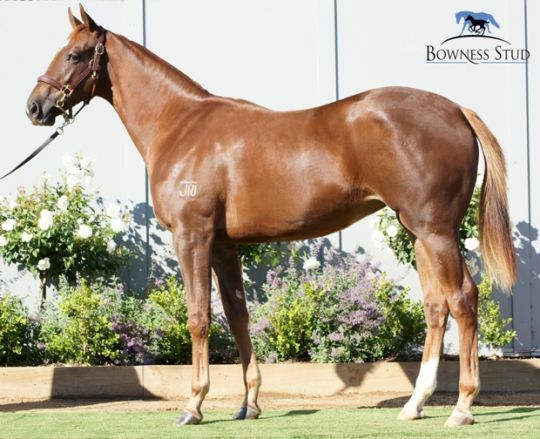 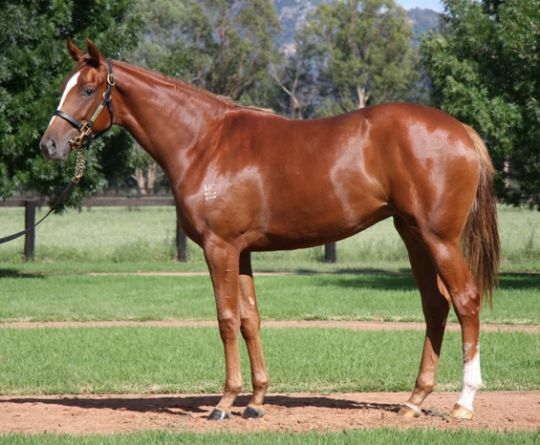 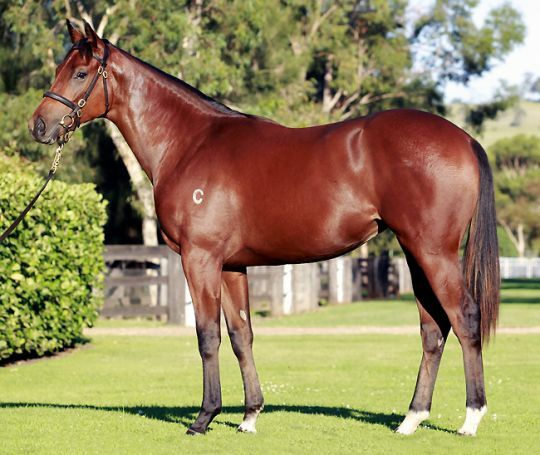 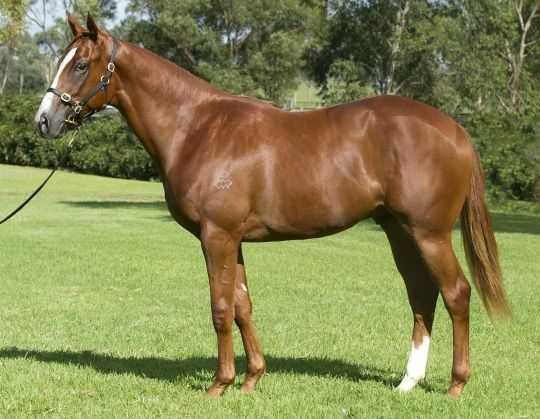 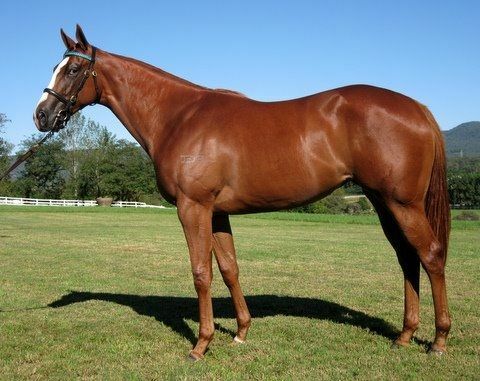 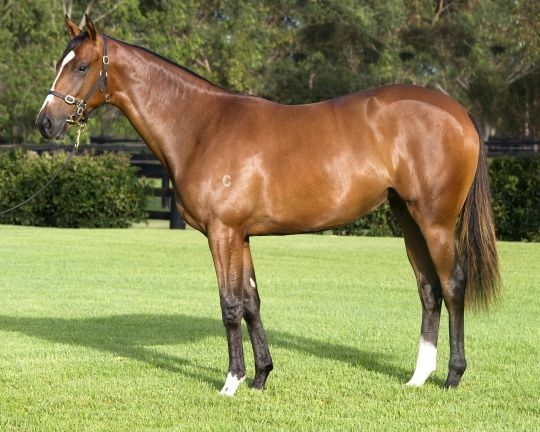 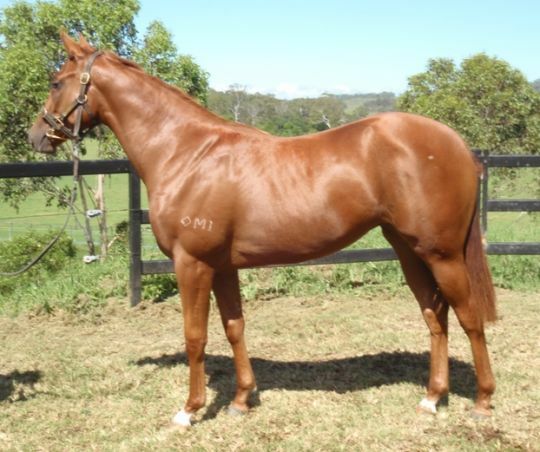 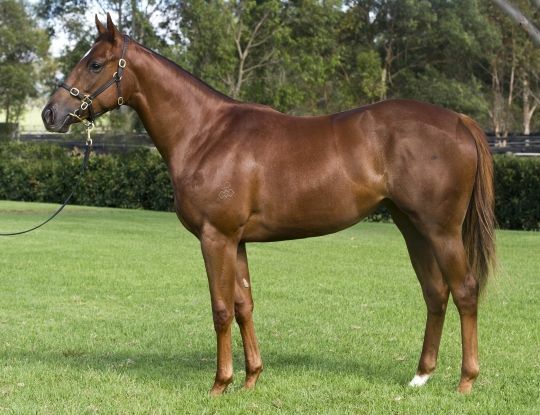 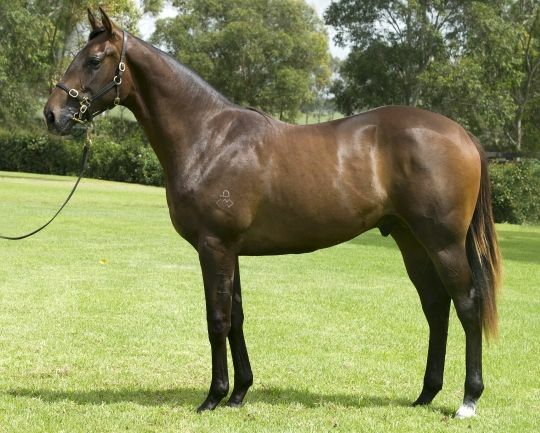 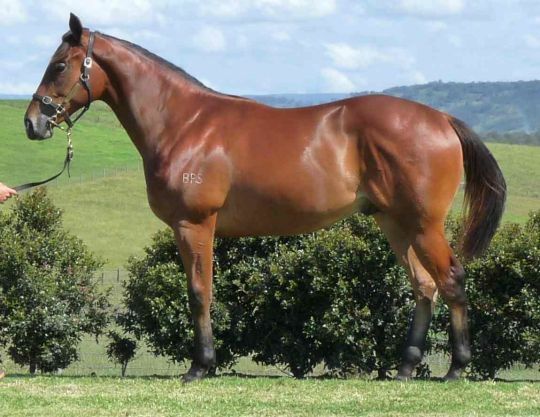 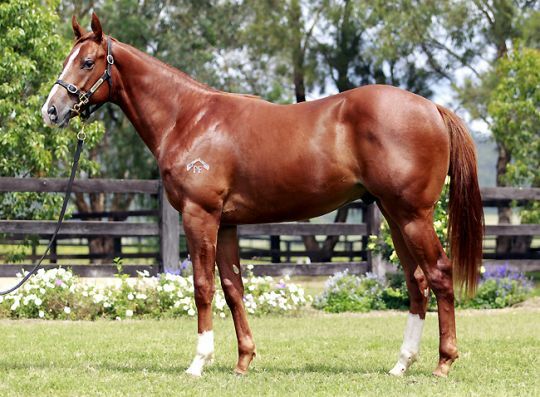 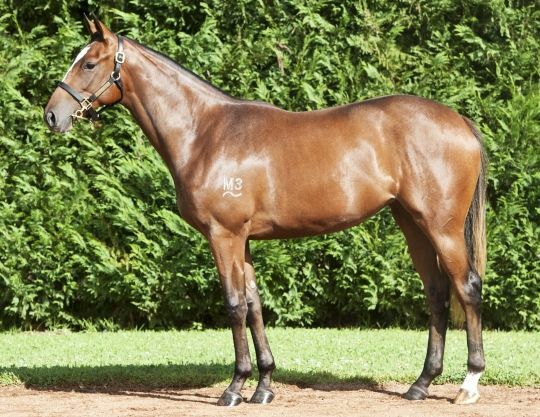 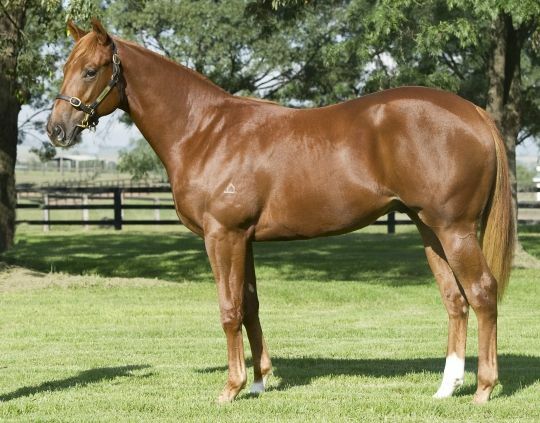 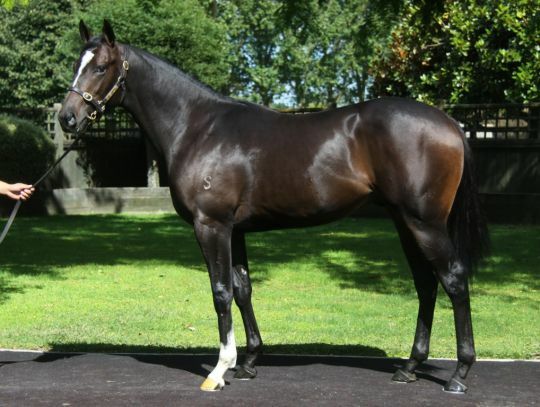 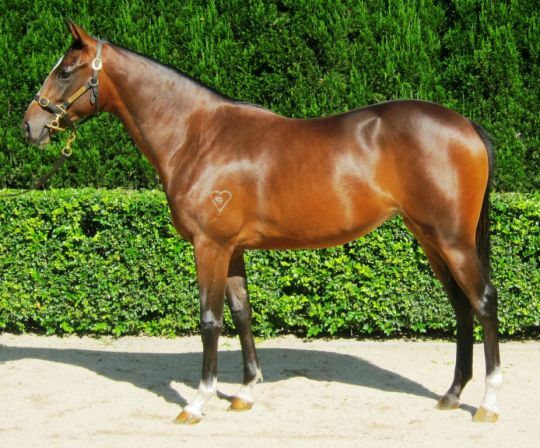 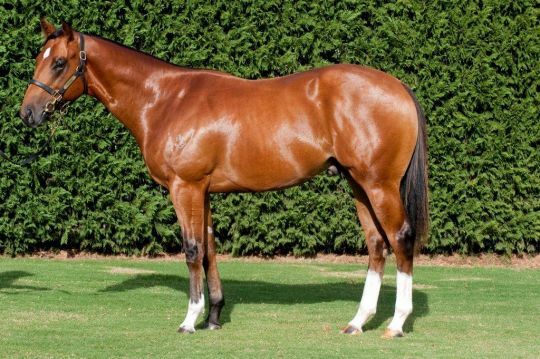 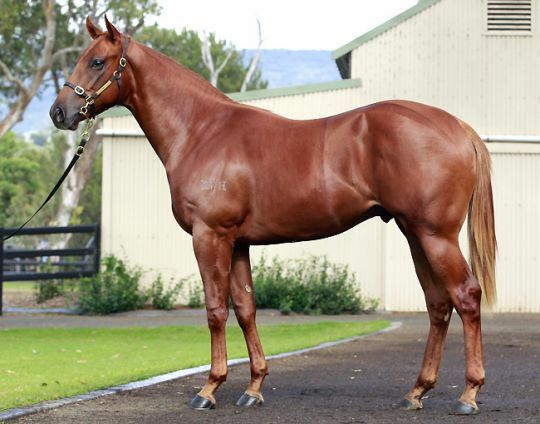 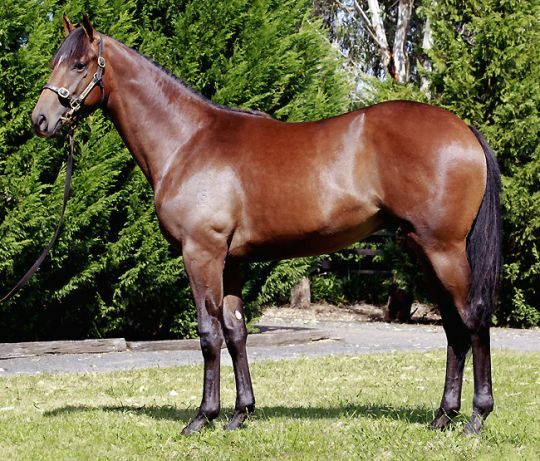 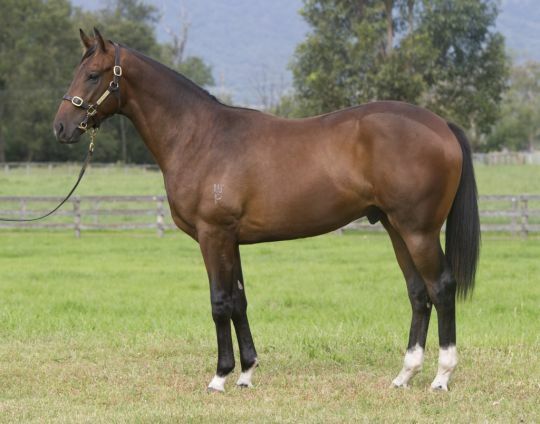 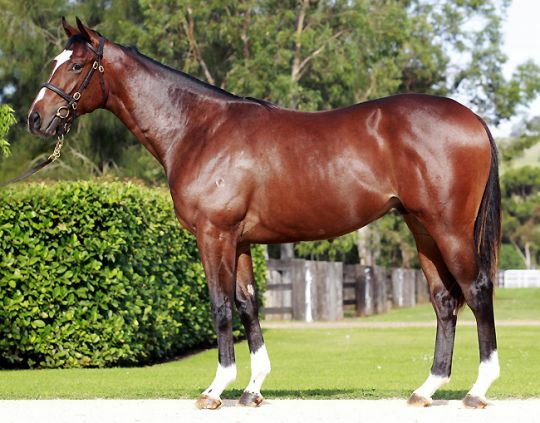 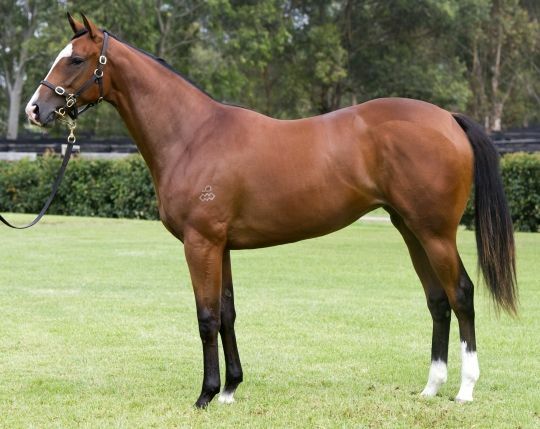 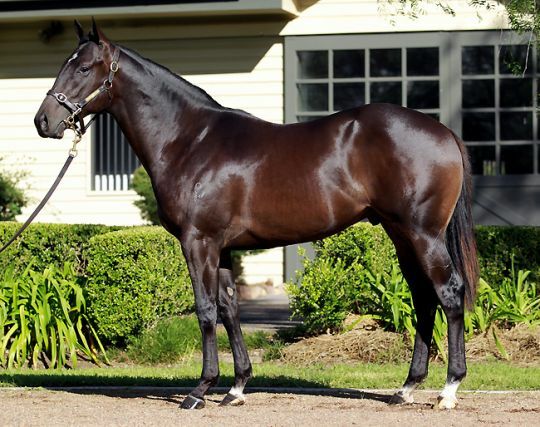 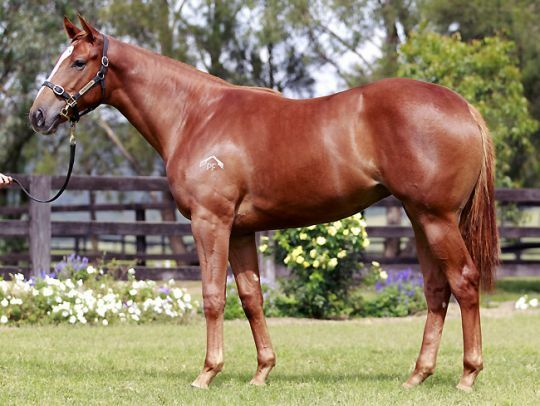 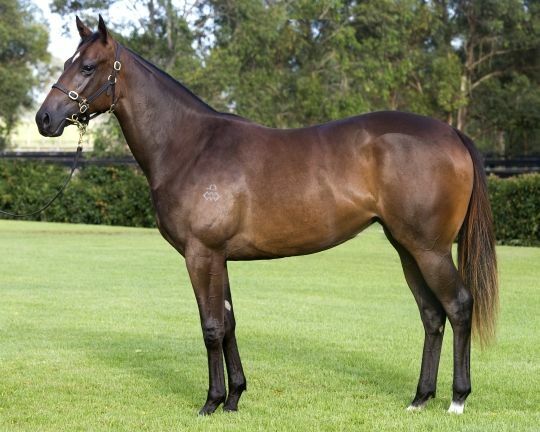 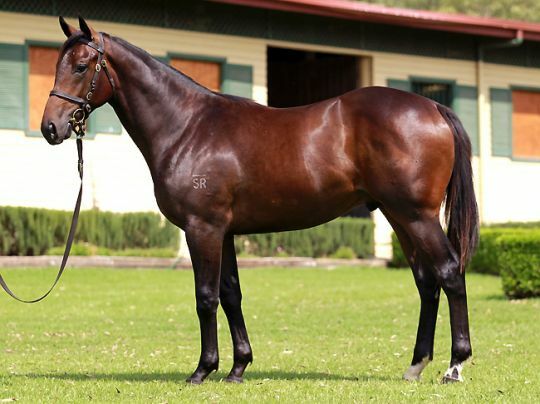 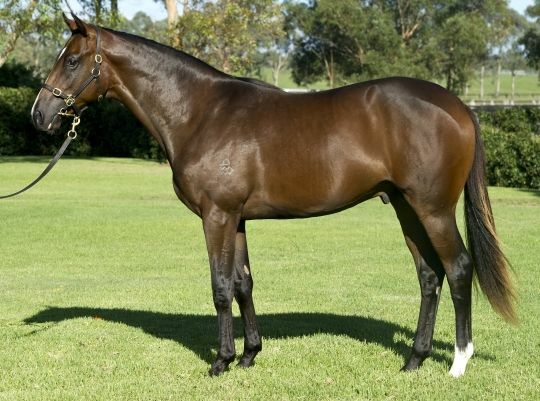 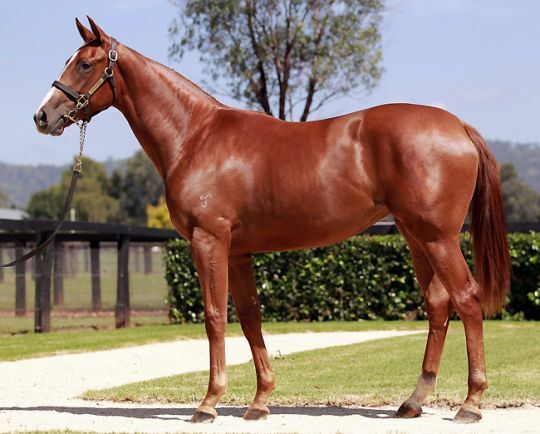 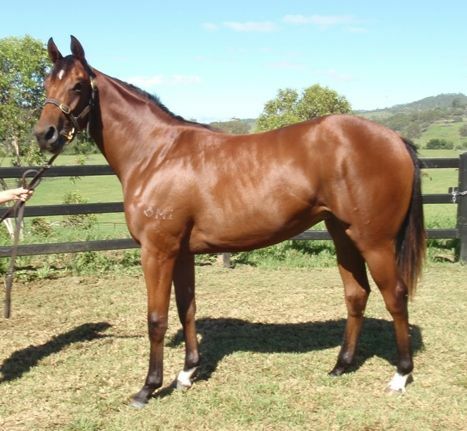 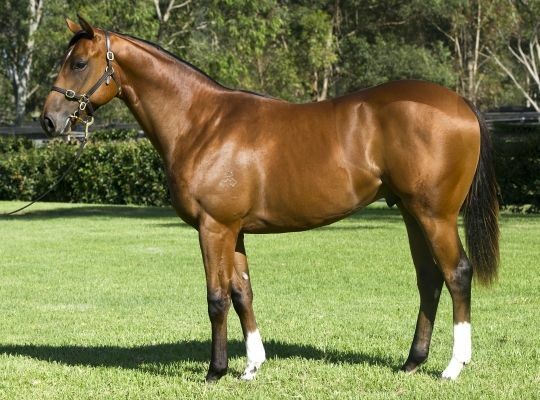 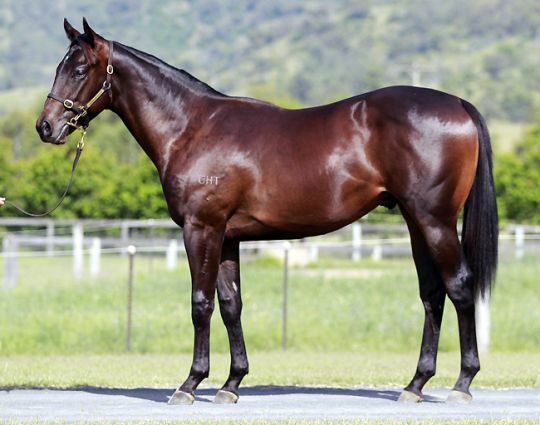 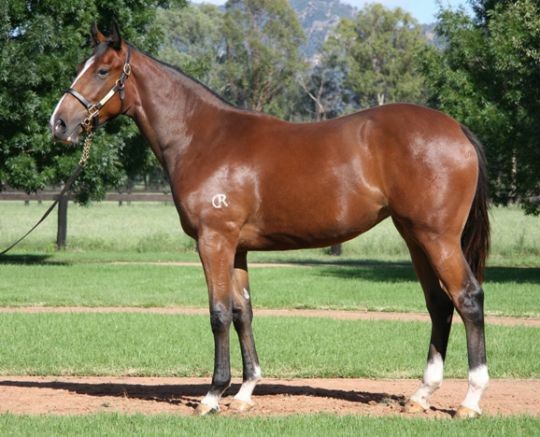 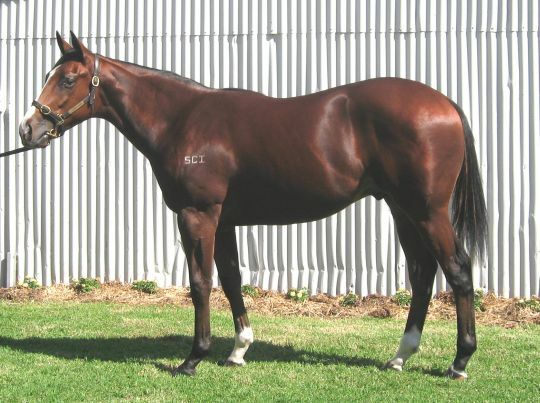 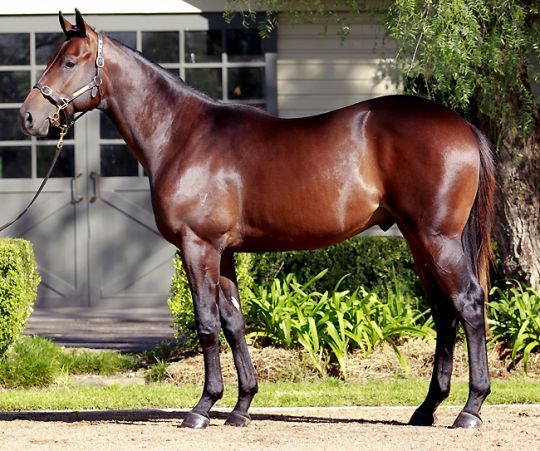 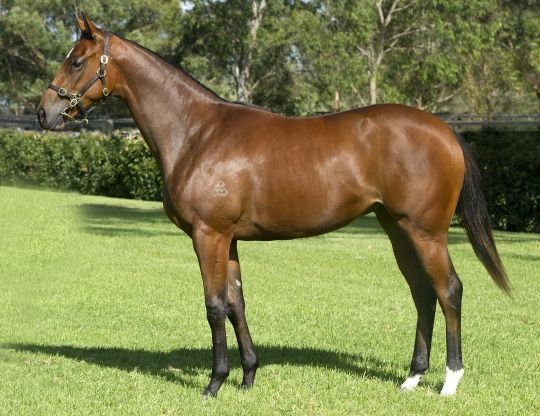 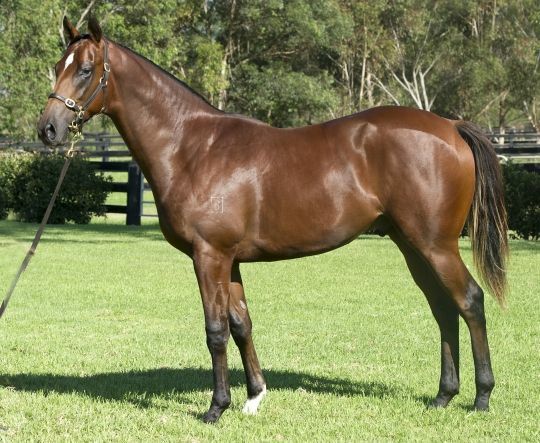 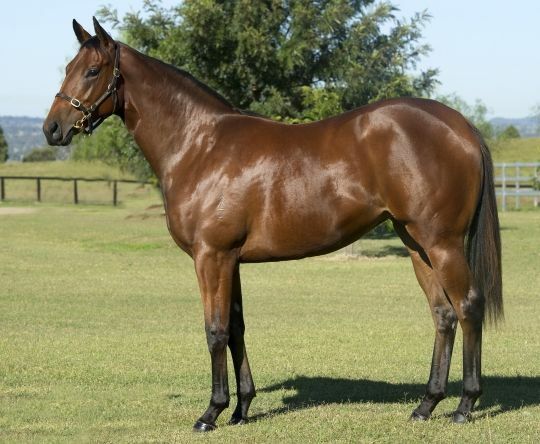 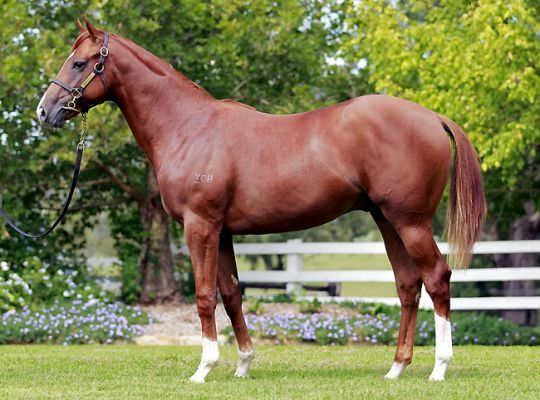 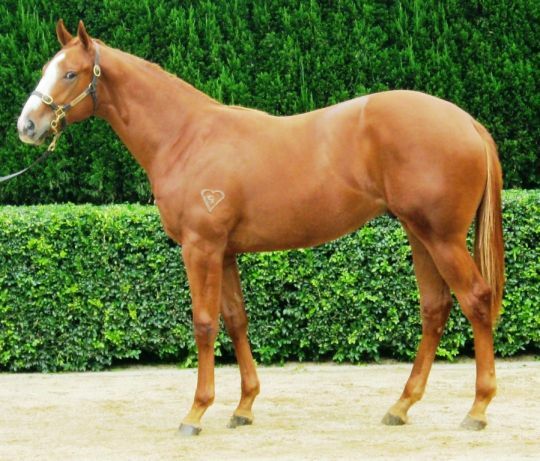 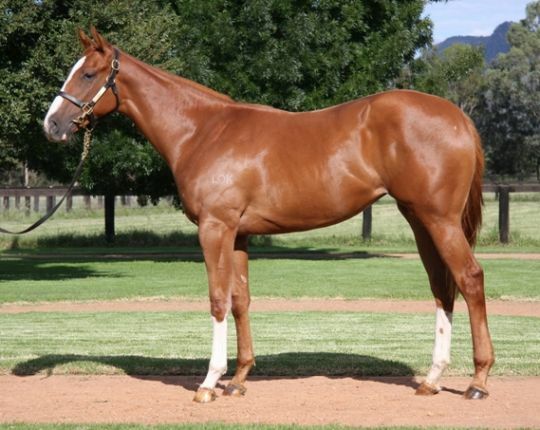 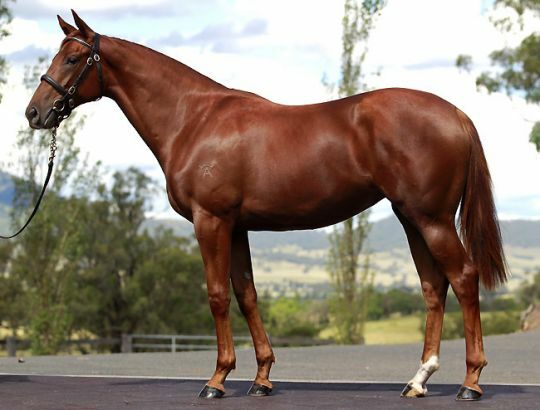 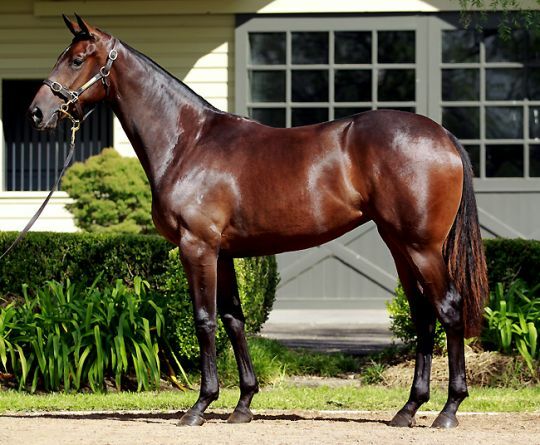 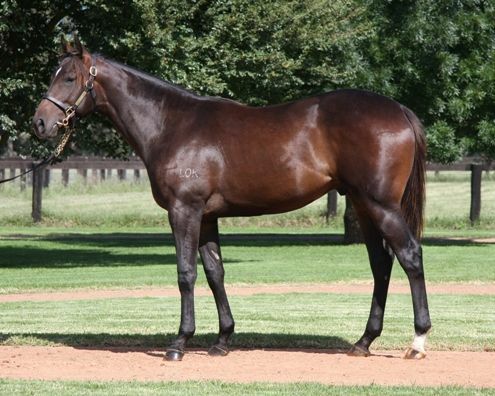 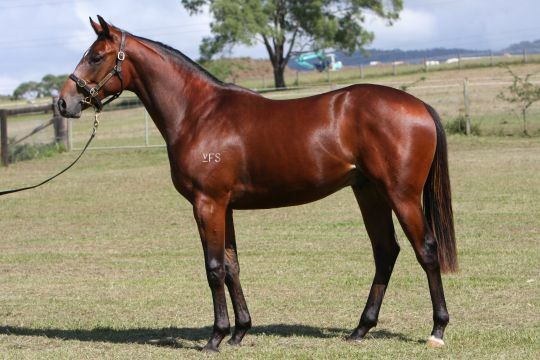 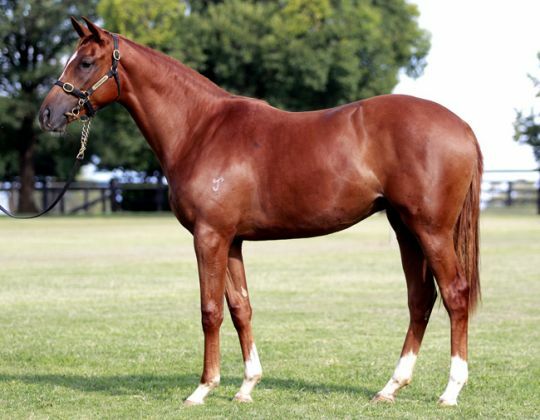 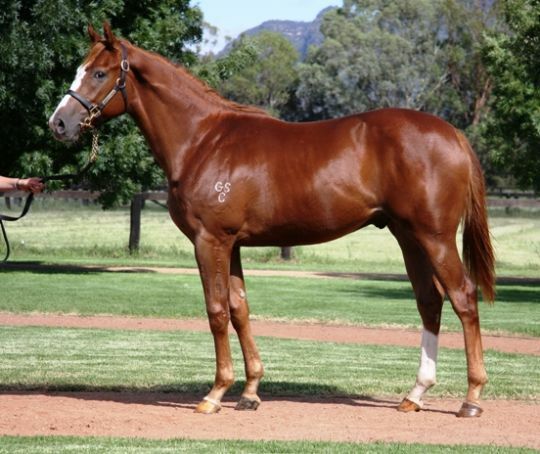 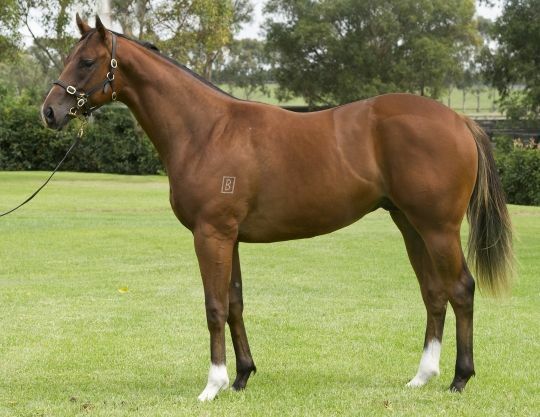 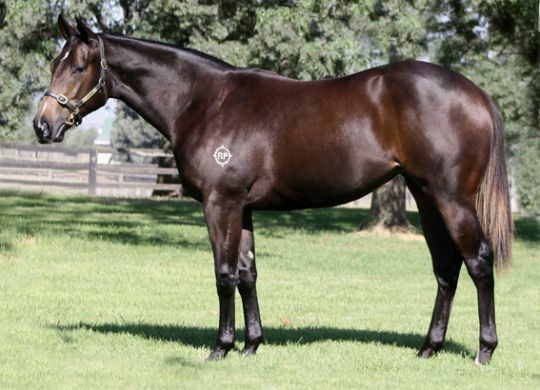 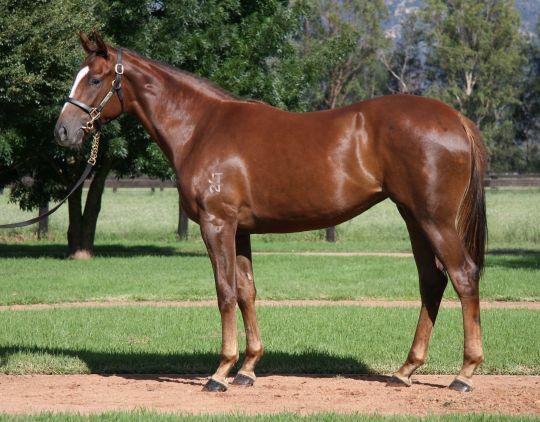 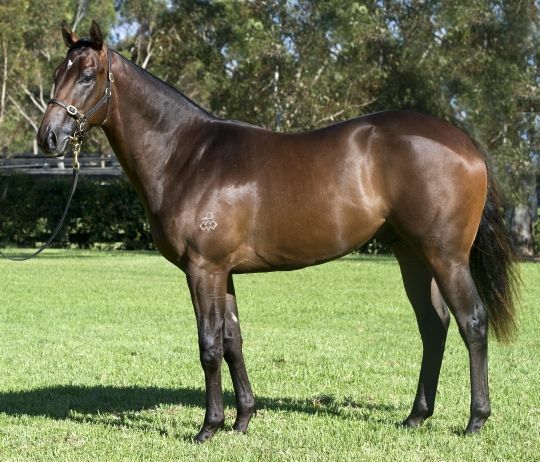 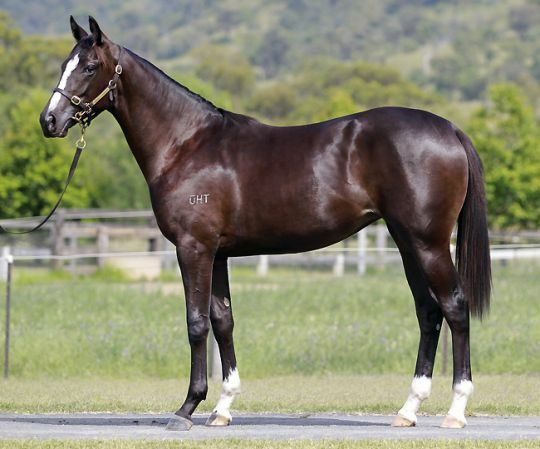 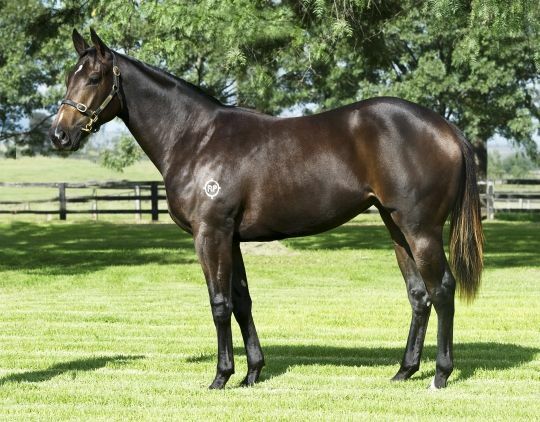 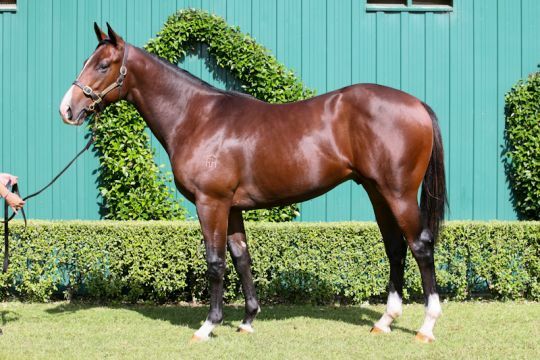 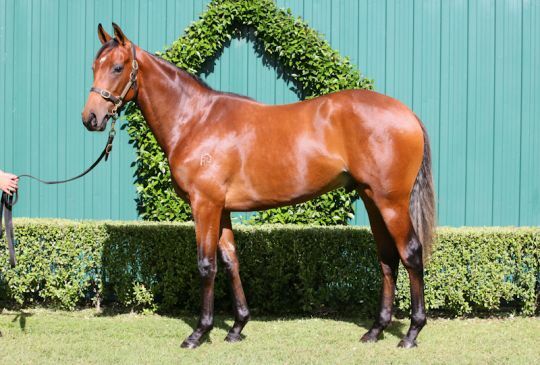 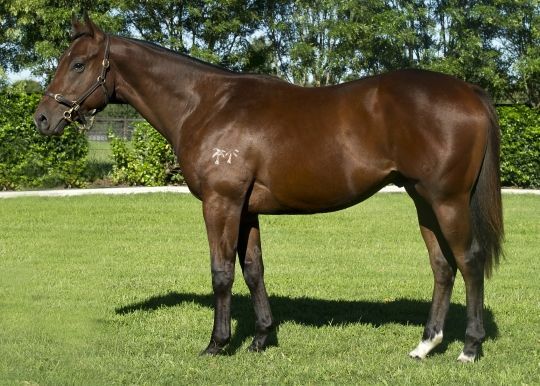 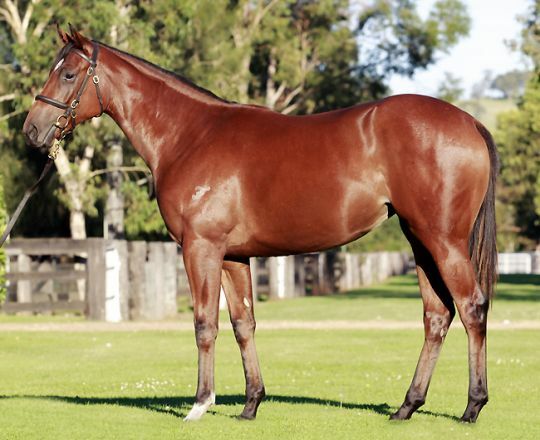 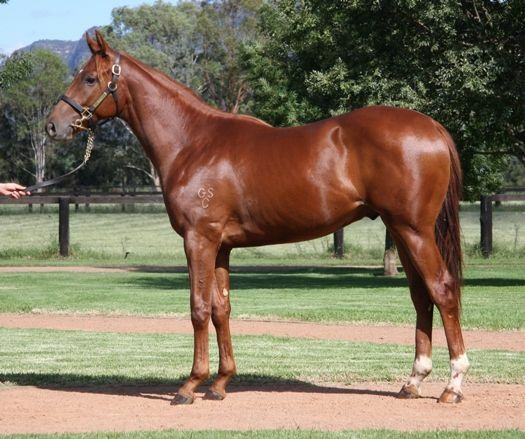 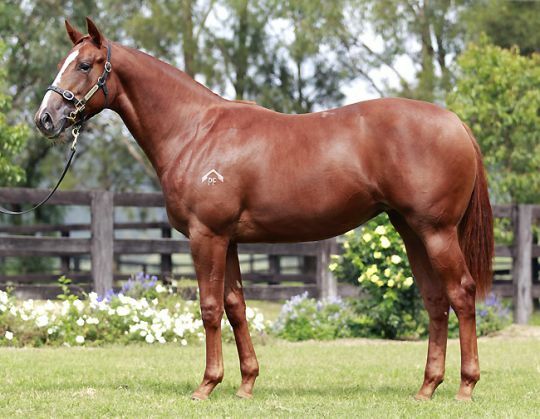 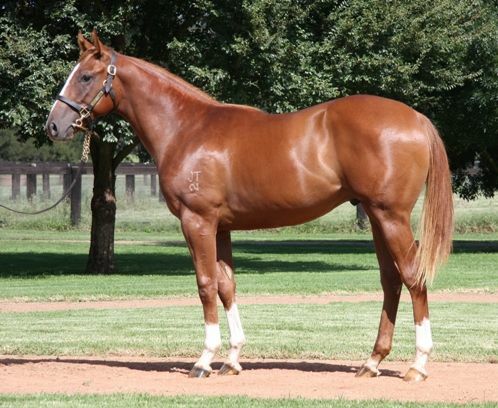 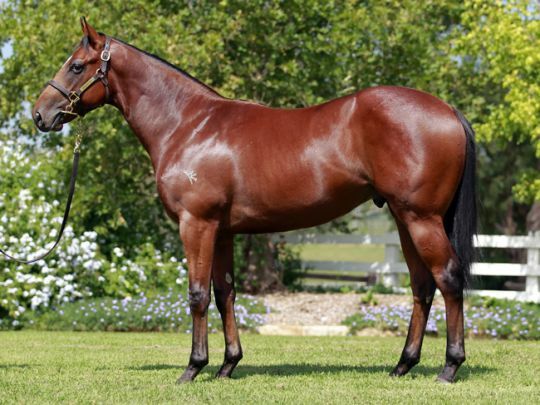 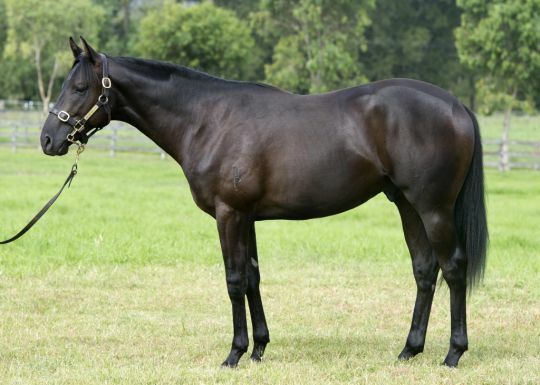 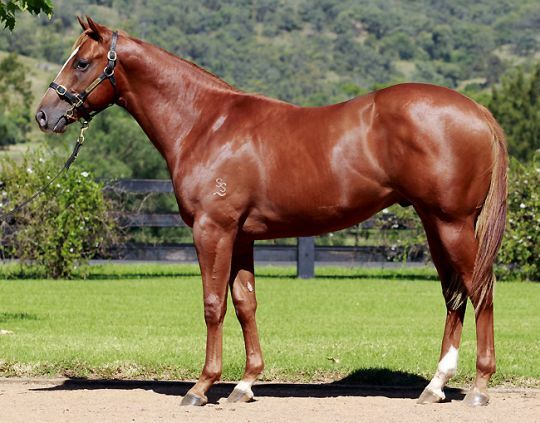 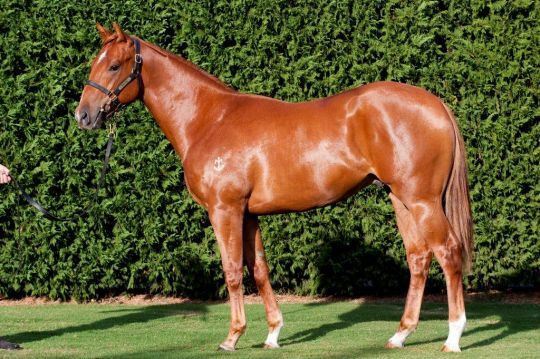 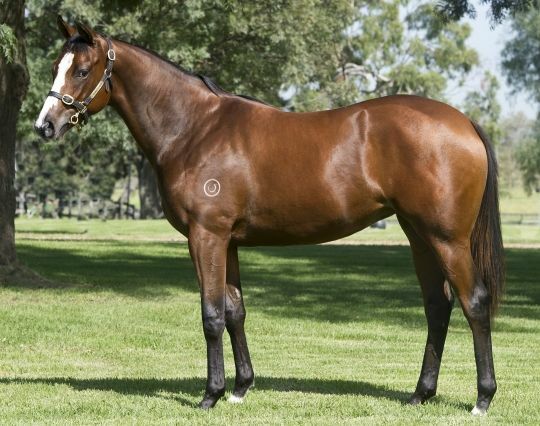 A new record price for an Easter Session Two yearling was recorded when Lot 463, Edinglassie Stud’s More Than Ready-Faith Hill filly, was sold to John O’Shea for $360,000. 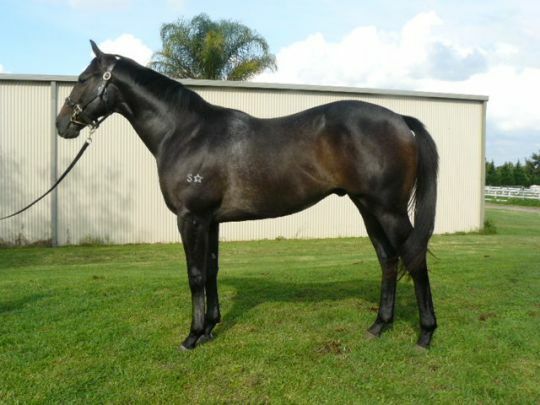 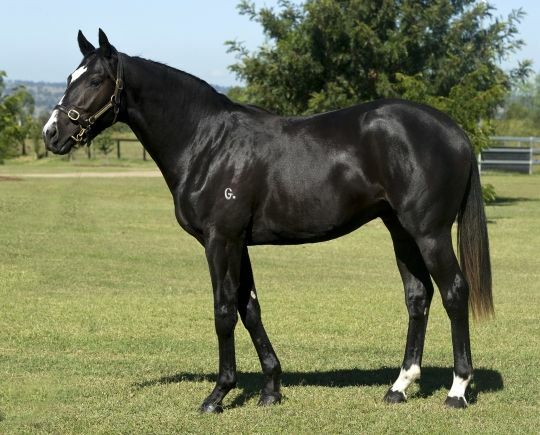 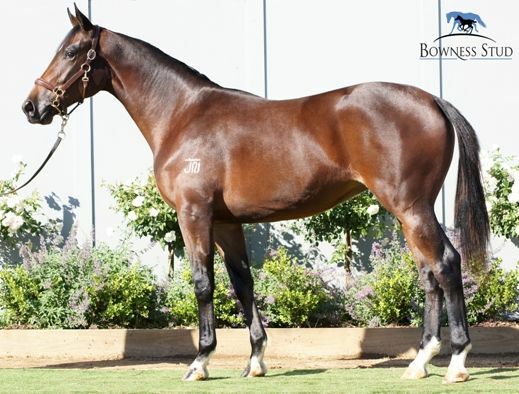 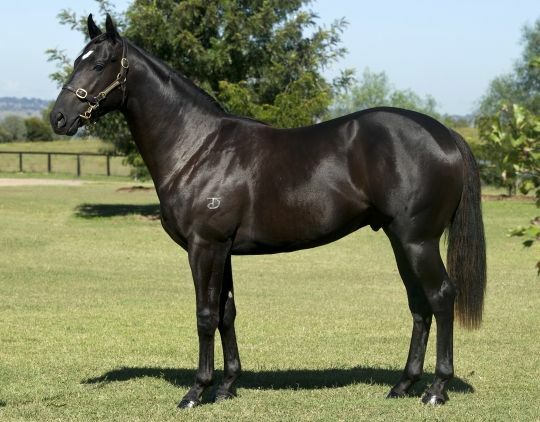 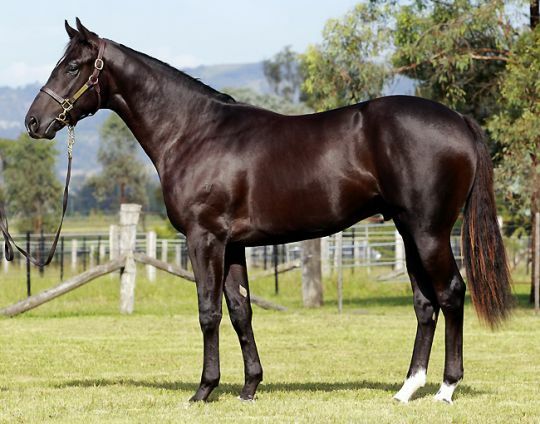 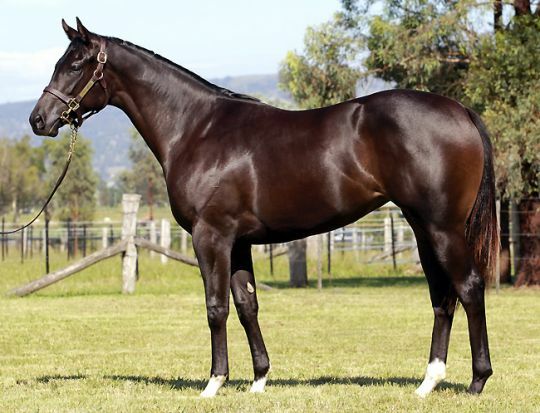 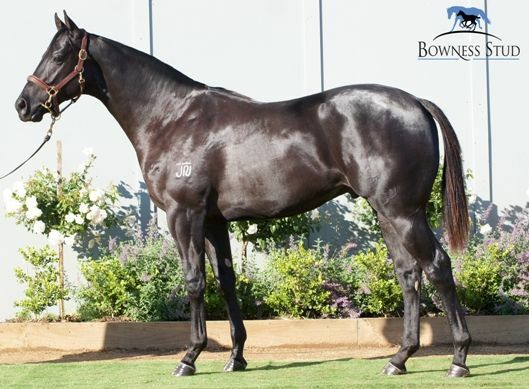 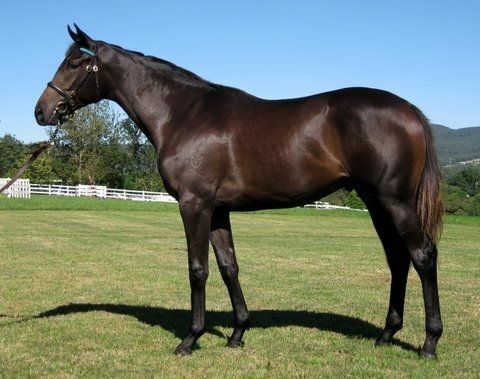 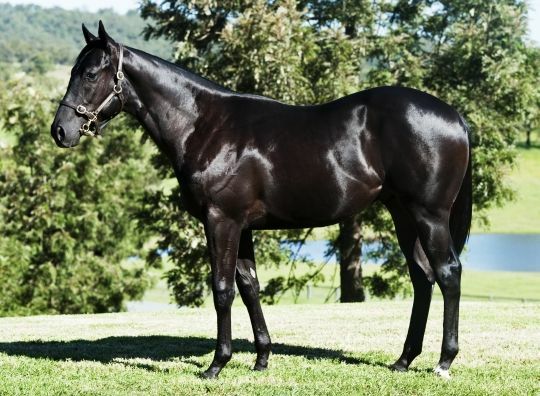 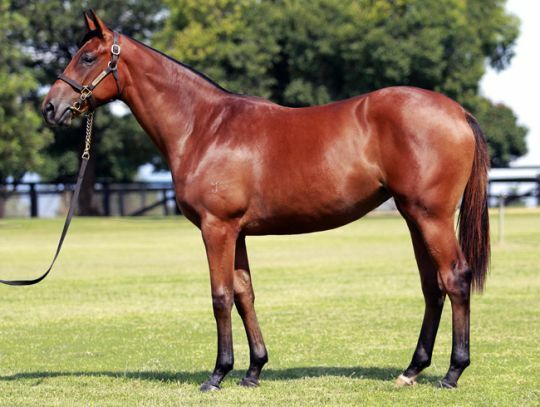 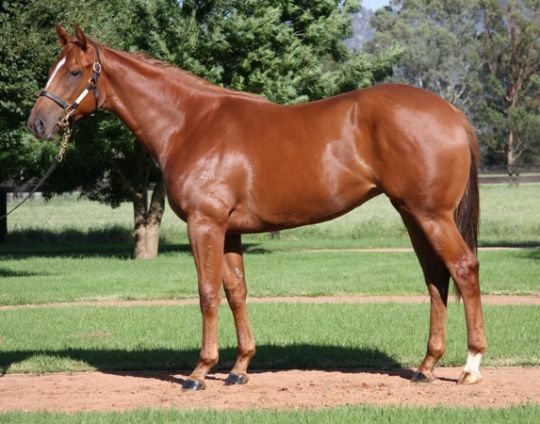 James Bester / Demi O’Byrne Bloodstock finished the 2012 Easter Sale are the leading individual buyer, signing for eight yearlings for a total spend of $3,695,000. 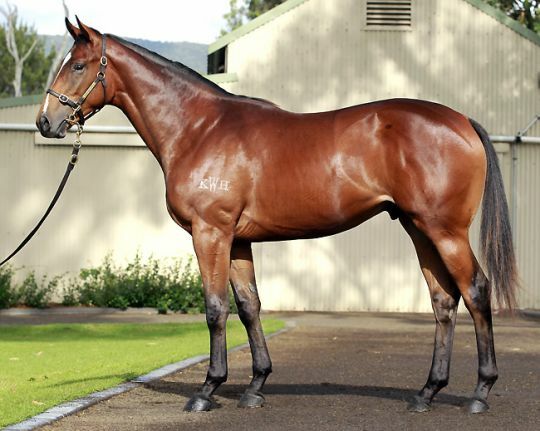 The Hong Kong Jockey Club were welcome sight back to Easter, with the team securing eight high class prospects for $2,190,000. 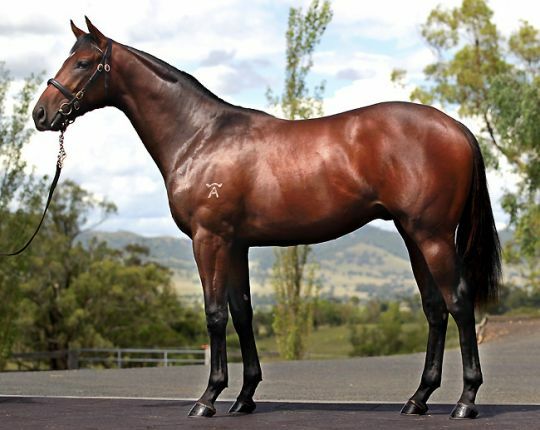 Coolmore Stud closed the sale as the leading vendor by aggregate, having sold 36 for $6,912,000. 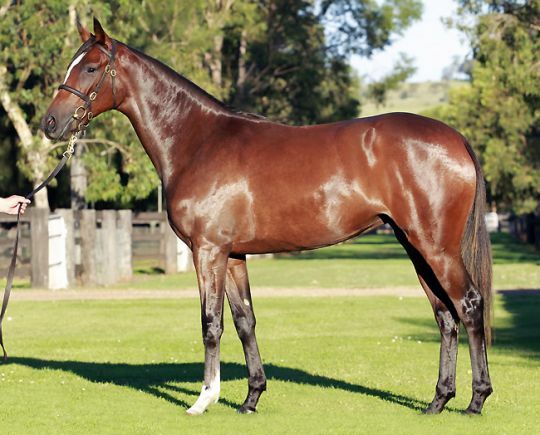 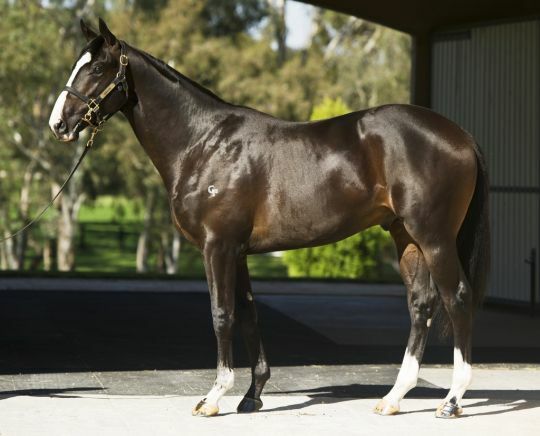 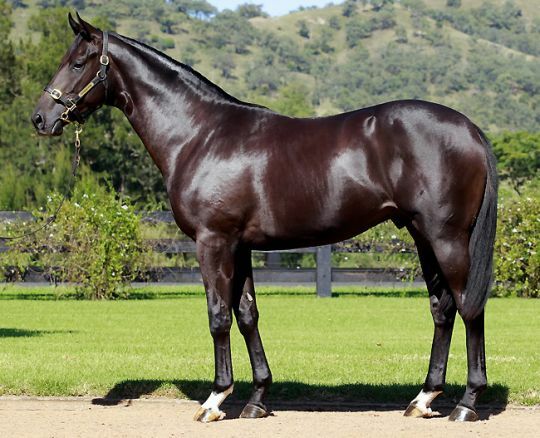 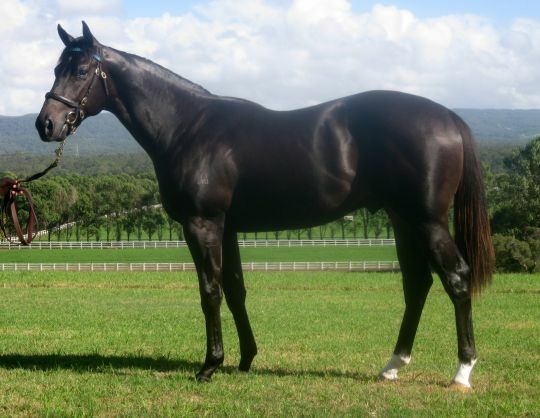 Tony Santic’s Makybe operations had another strong Easter Sale, selling nine yearlings for $5,220,000 including the siblings to Black Caviar and Makybe Diva for $2.6million and $1.2million respectively. 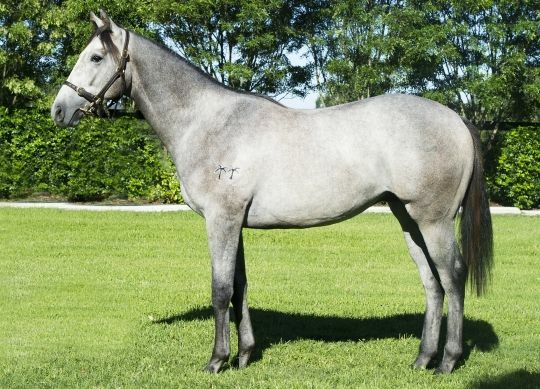 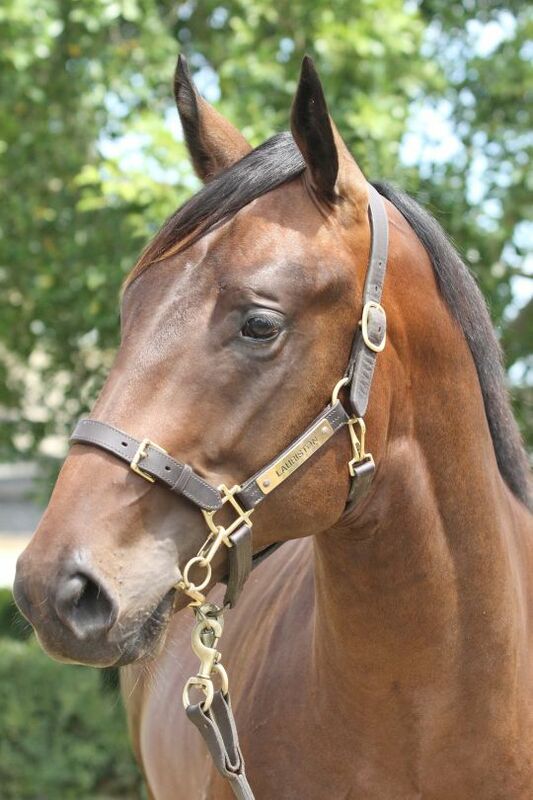 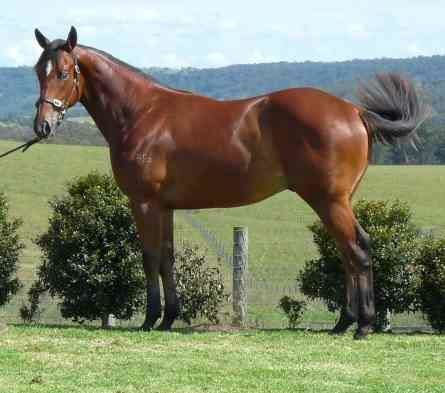 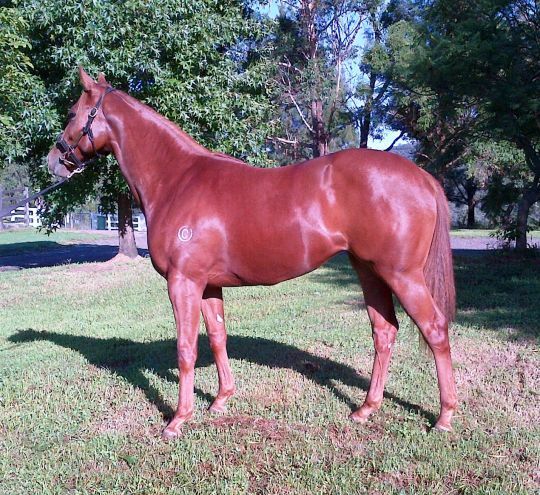 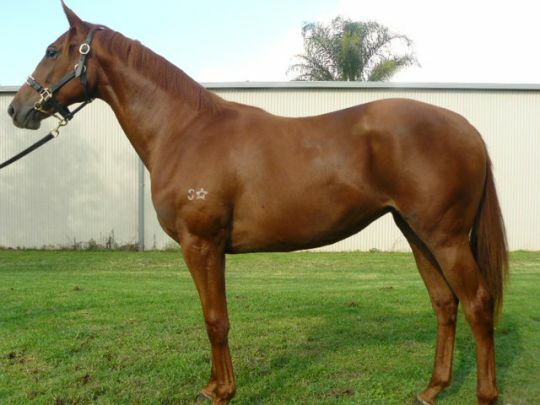 The Gnarwarre operations average of $550,000 was the best recorded at the sale. 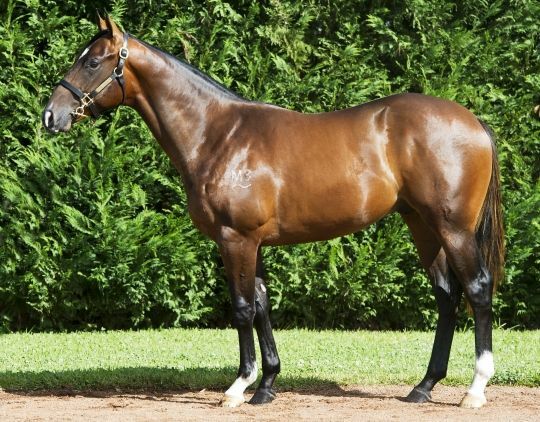 The Mitchell Family’s Yarraman Park Stud have an outstanding selling record at Easter and the tradition continued again in 2012, will all 22 offered by the Scone operation sold. 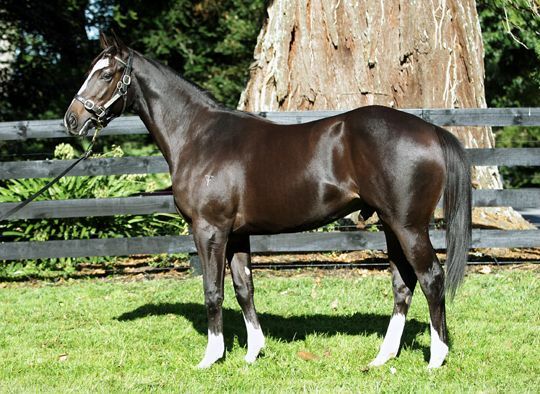 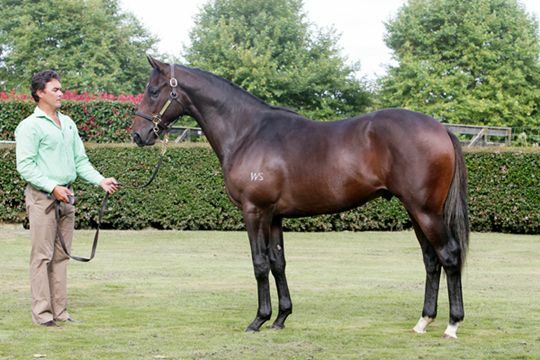 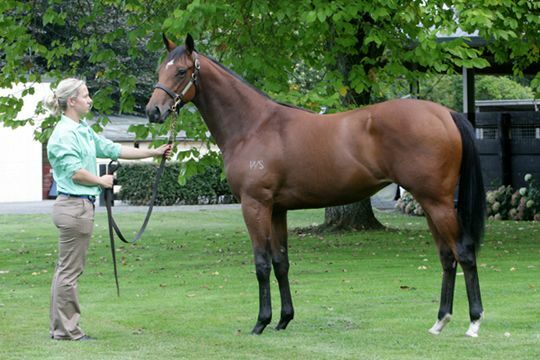 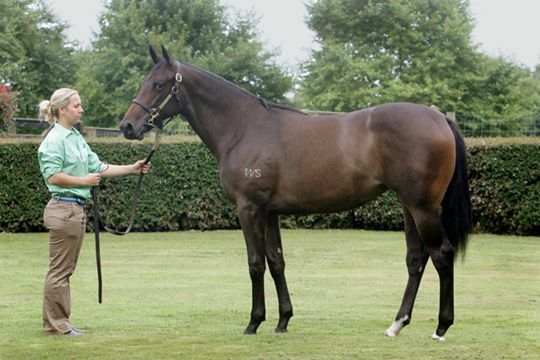 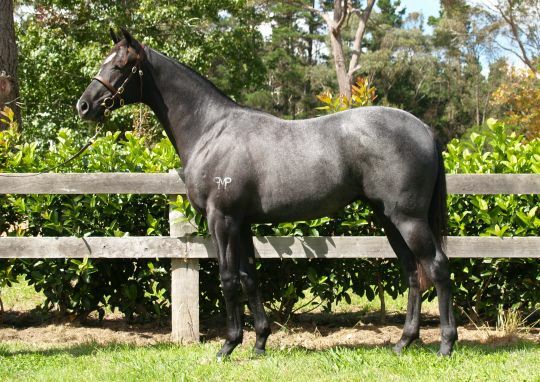 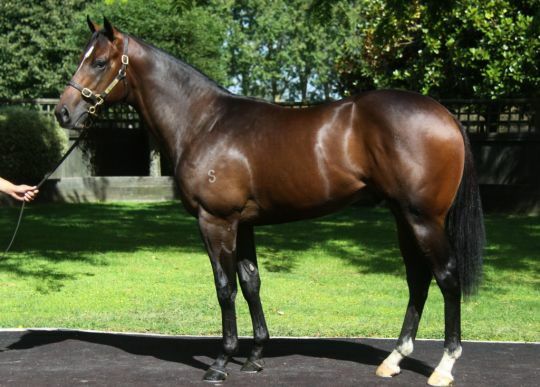 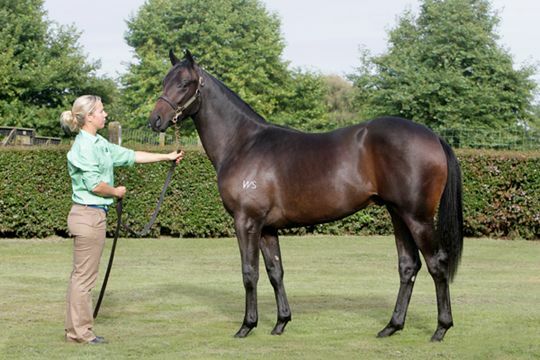 Other stud to record a 100% clearance rate at Easter (for 3 or more sold) include Windsor Park Stud, Waikato Stud, Tyreel Stud, Twin Palms Stud, Turangga Farm, Trelawney Stud, Strawberry Hill Stud, Sledmere Stud, Reavill Farm, Kia-Ora Stud, Highgrove Stud, Goodwood Farm, Crowning Stone, Broadwater Thoroughbreds, Blandford Lodge and Almavale Bloodstock. 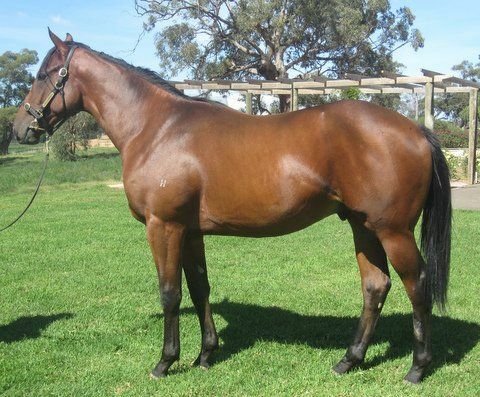 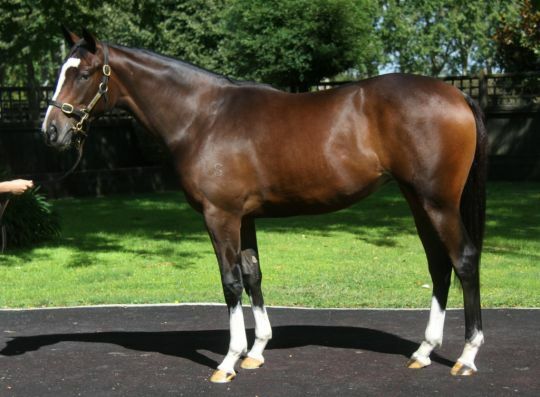 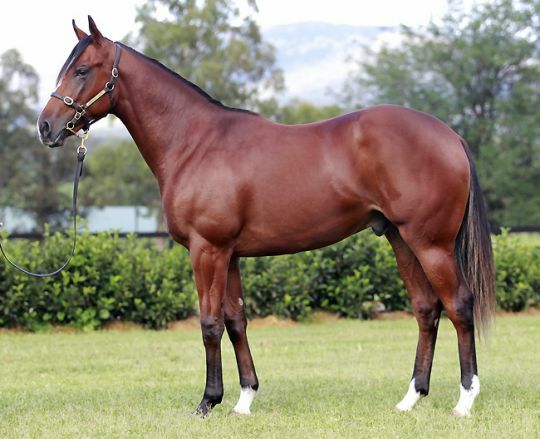 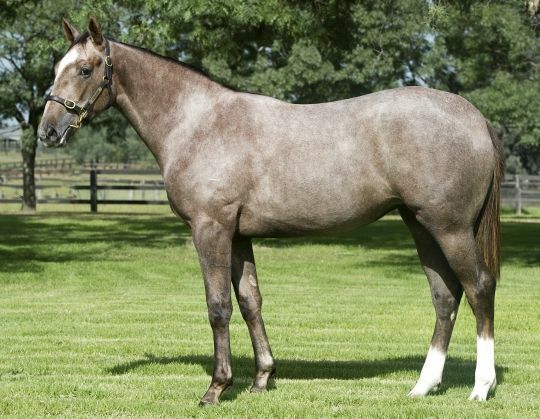 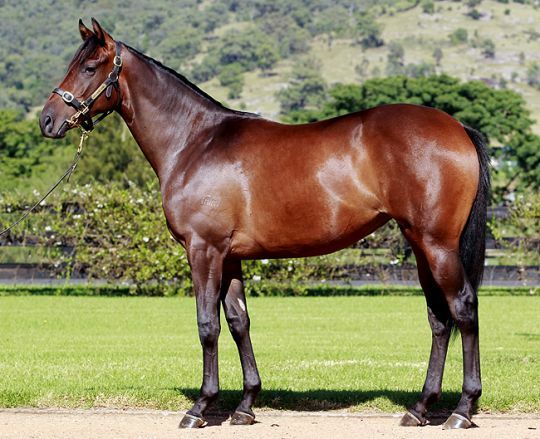 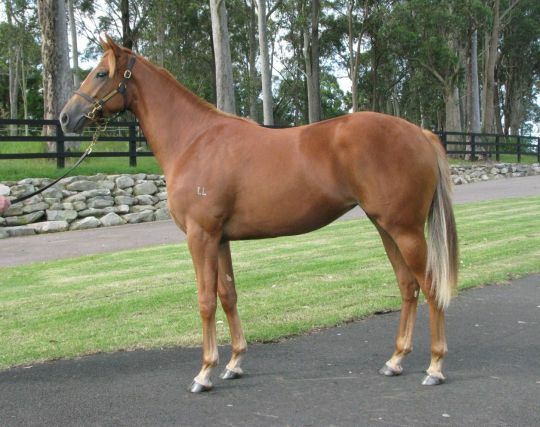 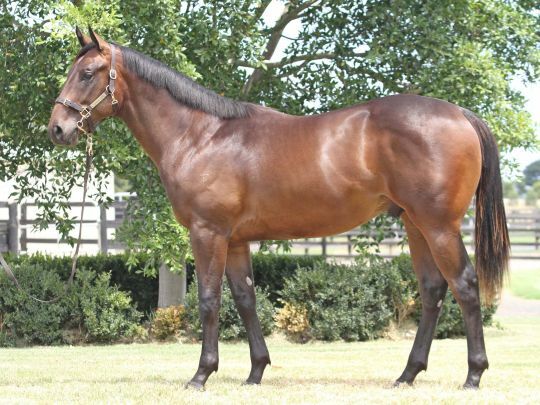 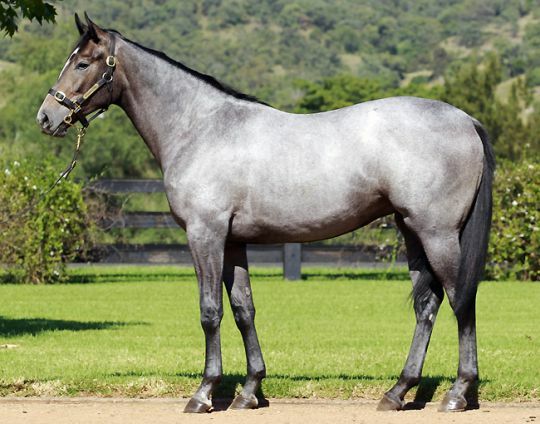 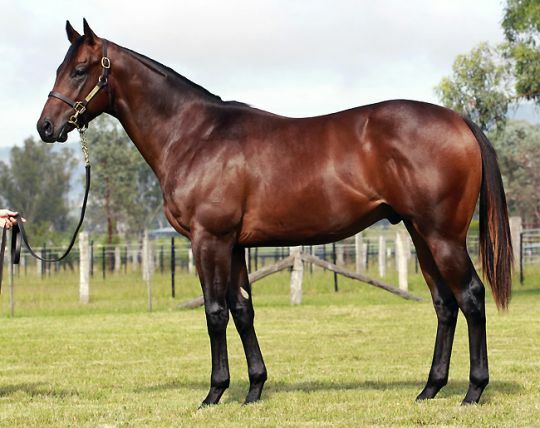 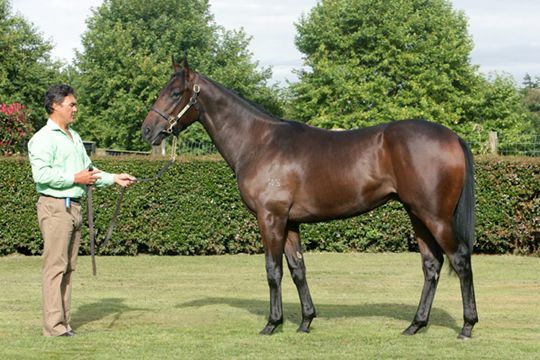 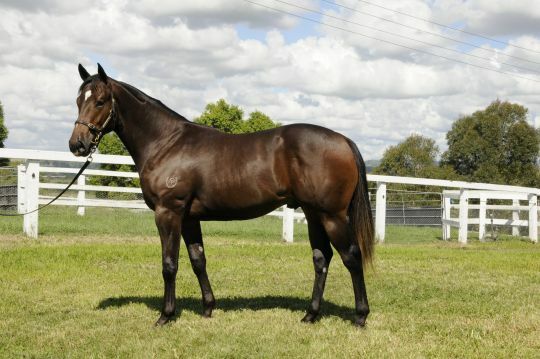 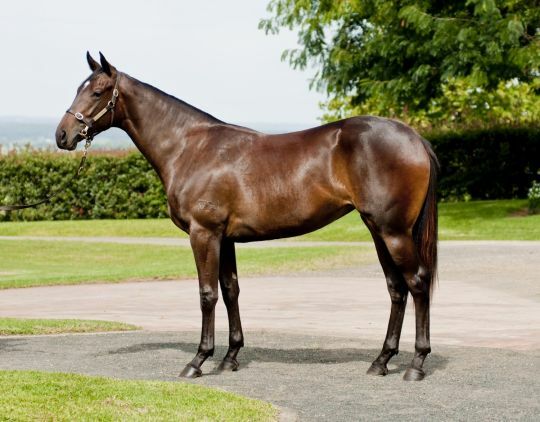 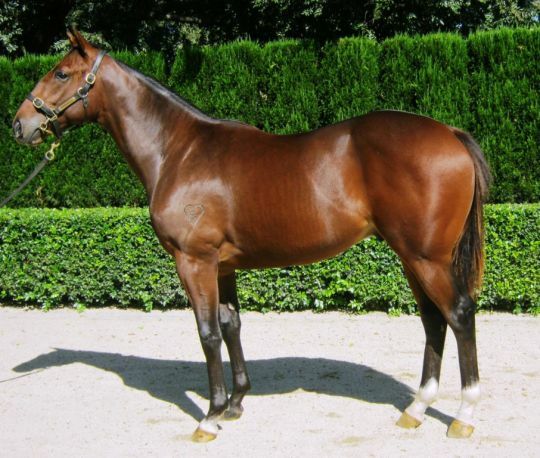 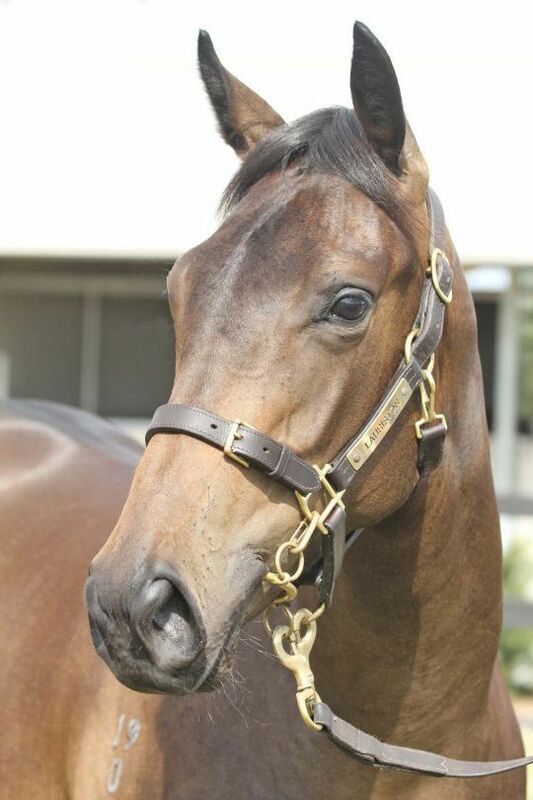 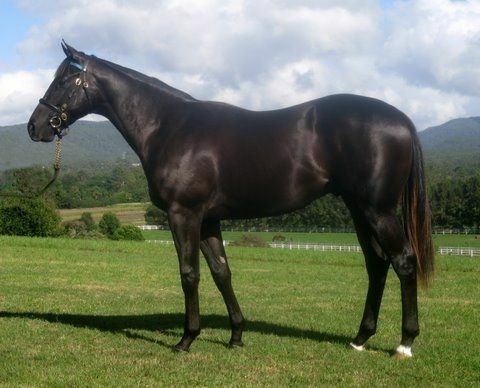 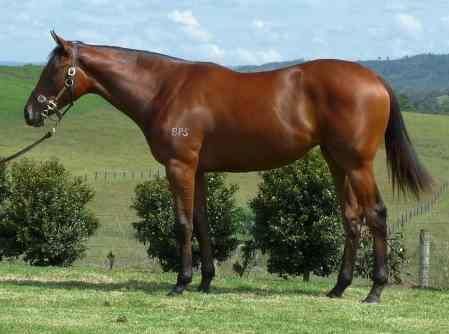 Read our annual 2012 Easter Yearling Sale Preview	catalogue online now!